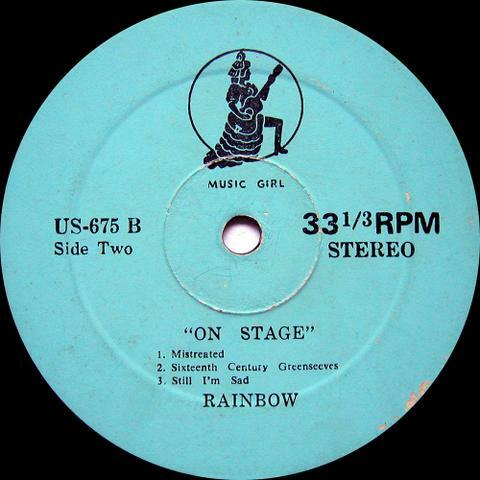 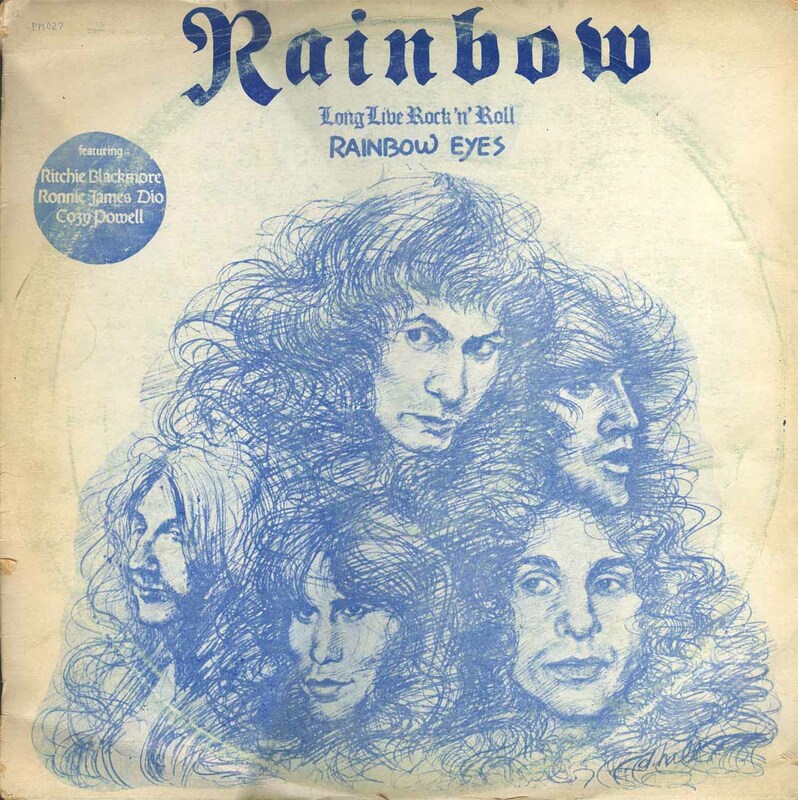 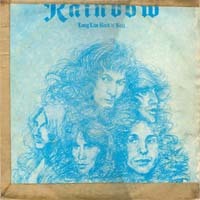 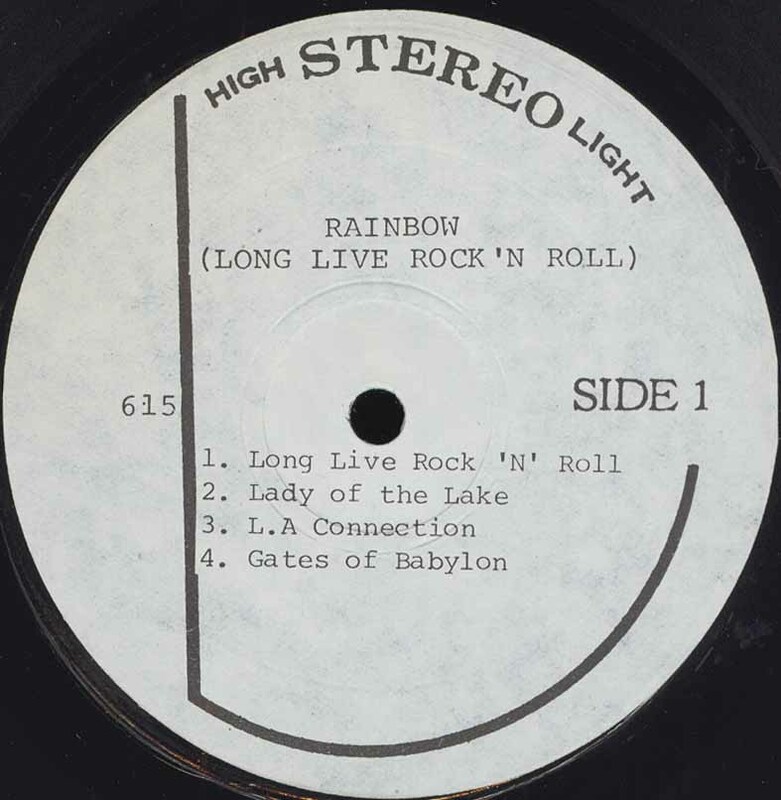 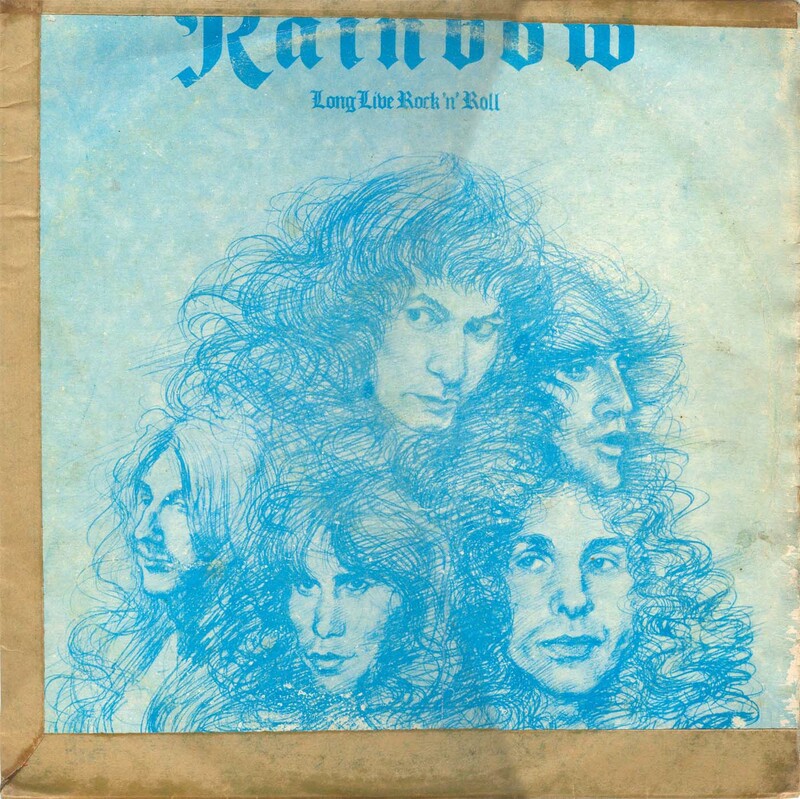 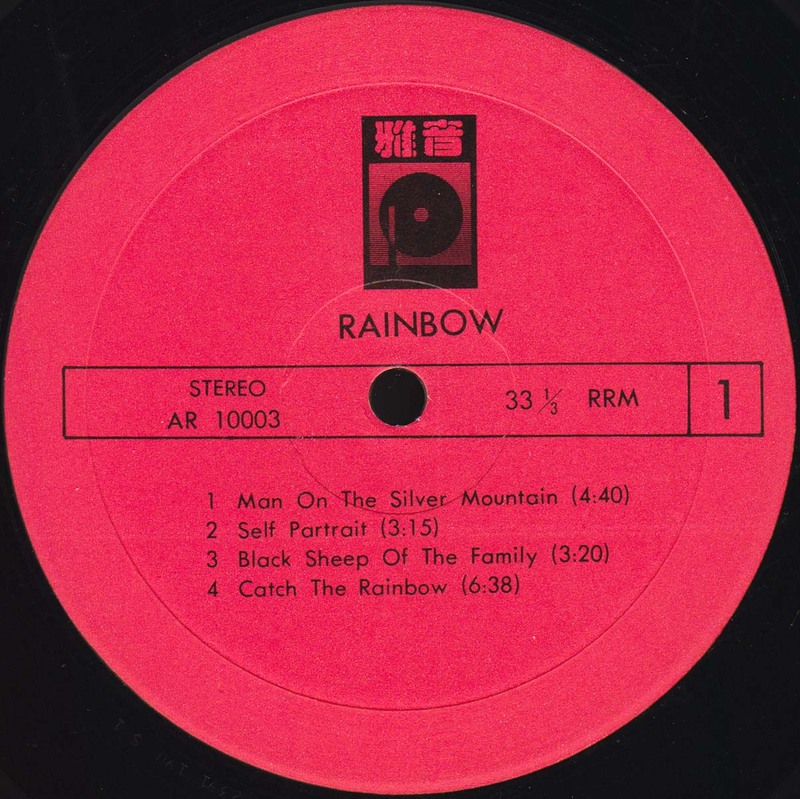 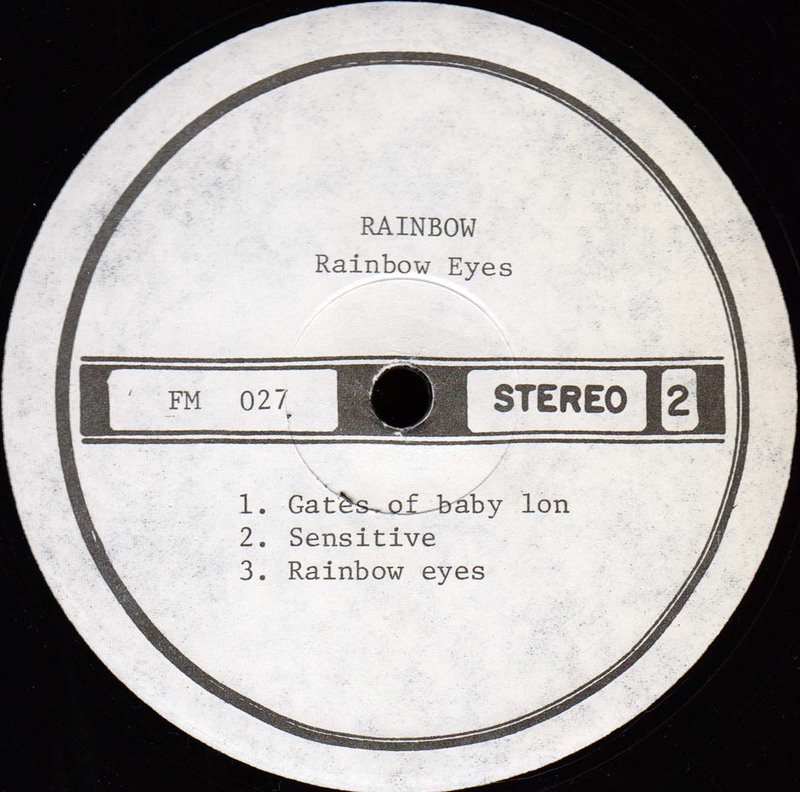 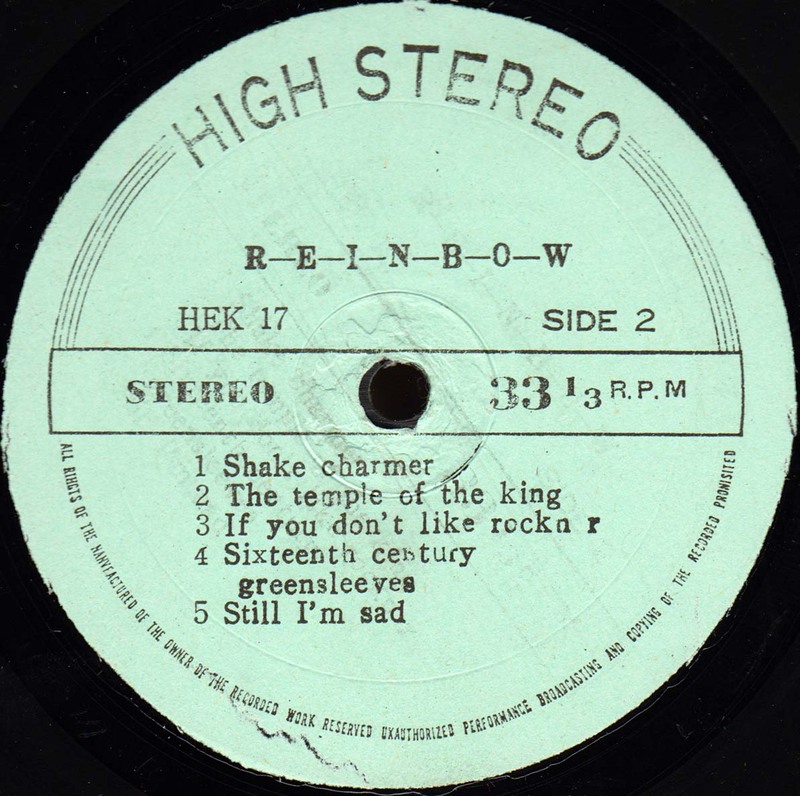 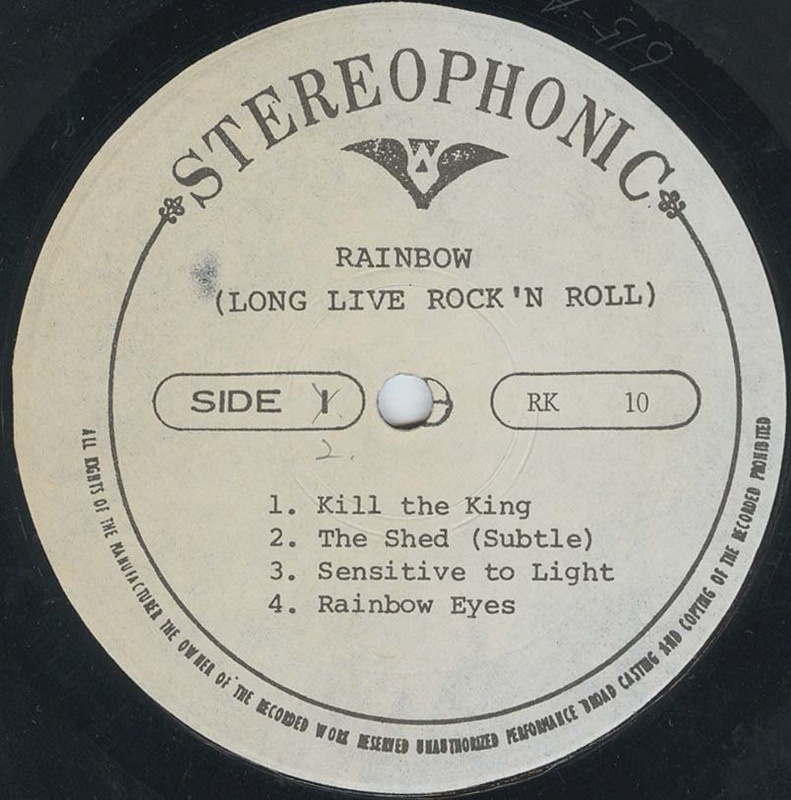 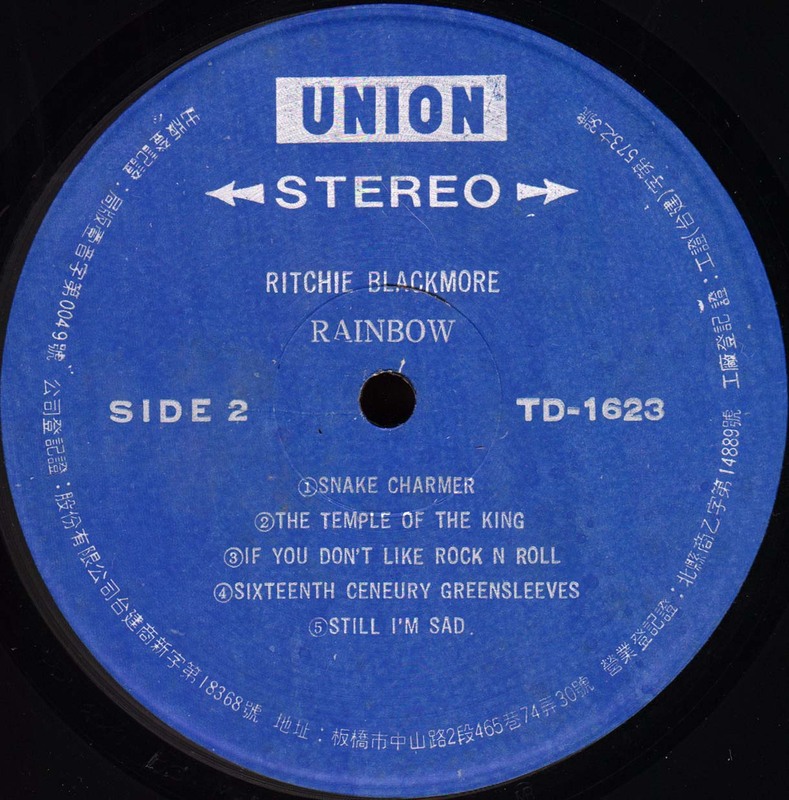 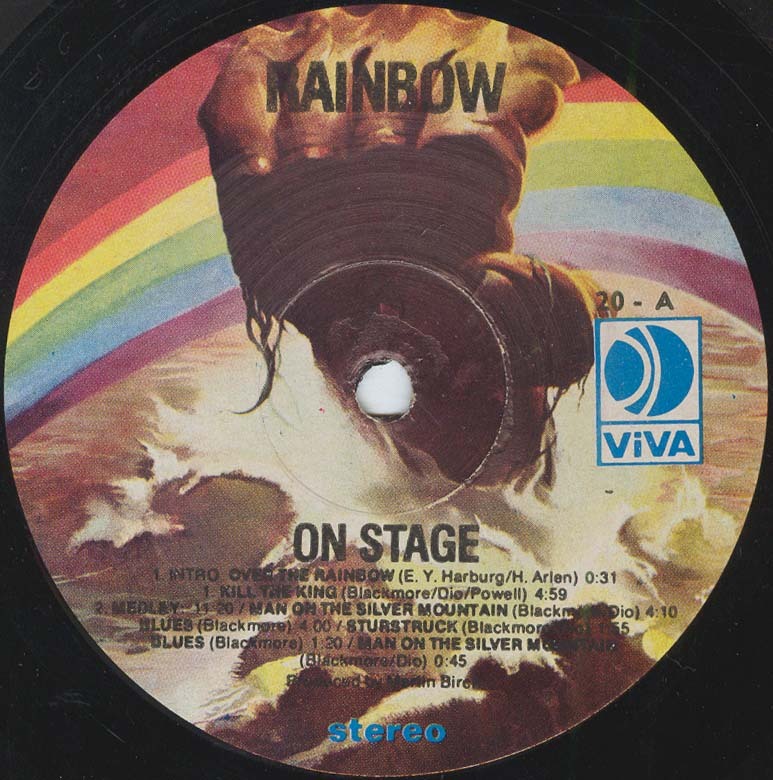 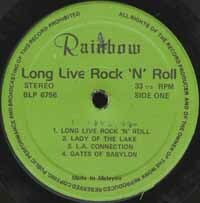 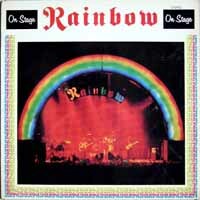 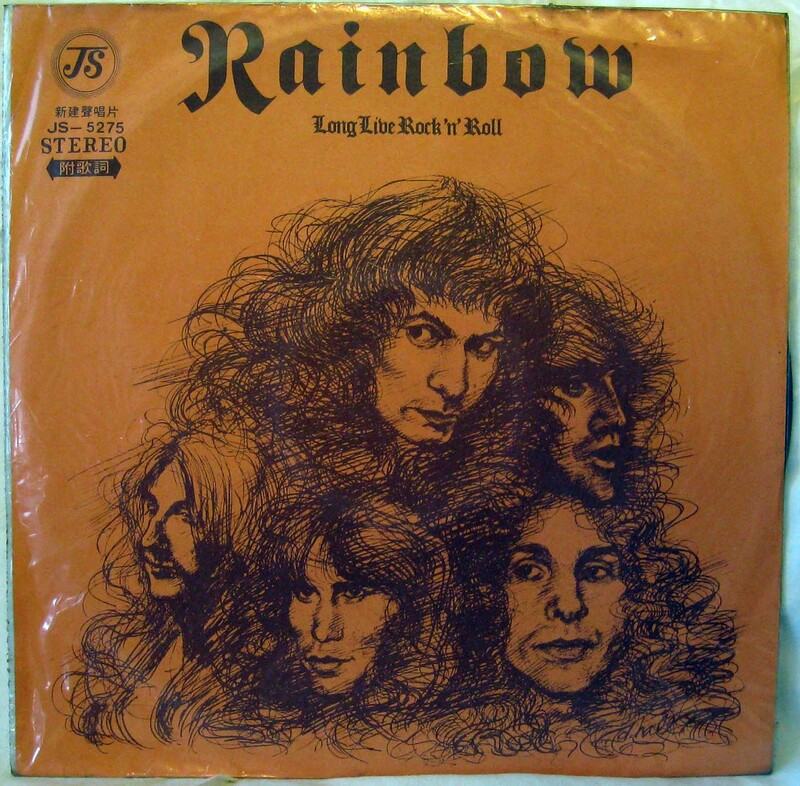 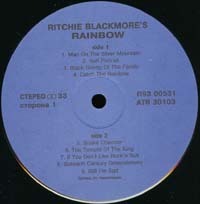 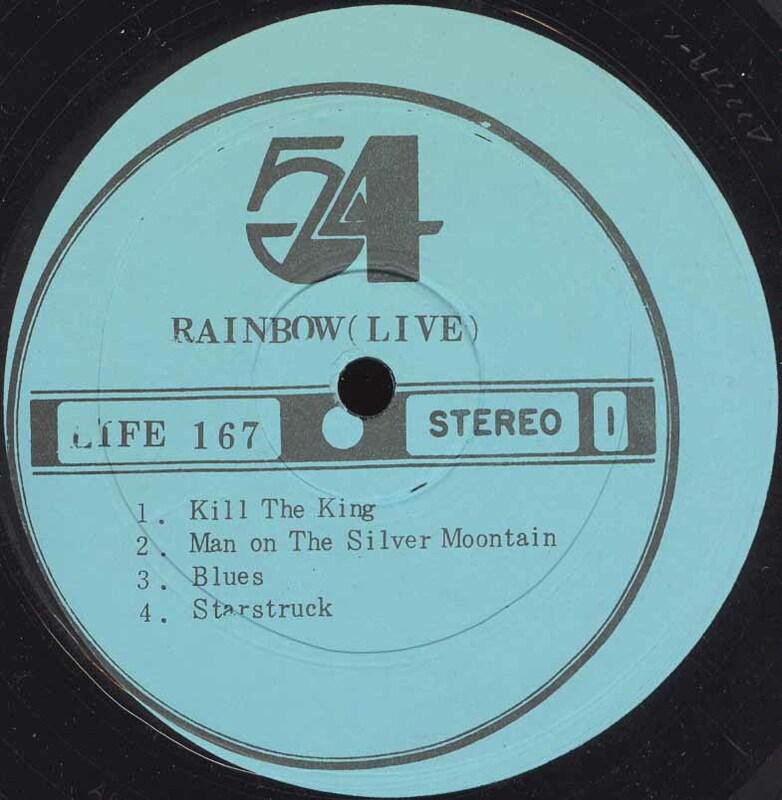 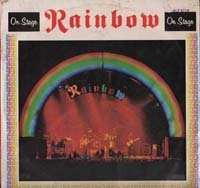 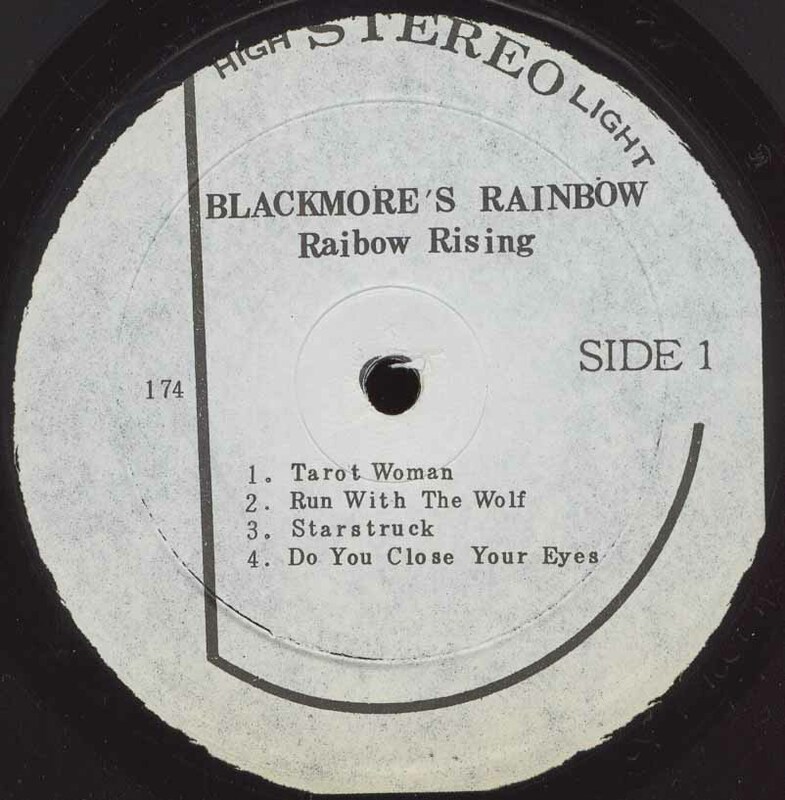 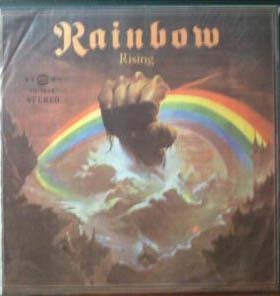 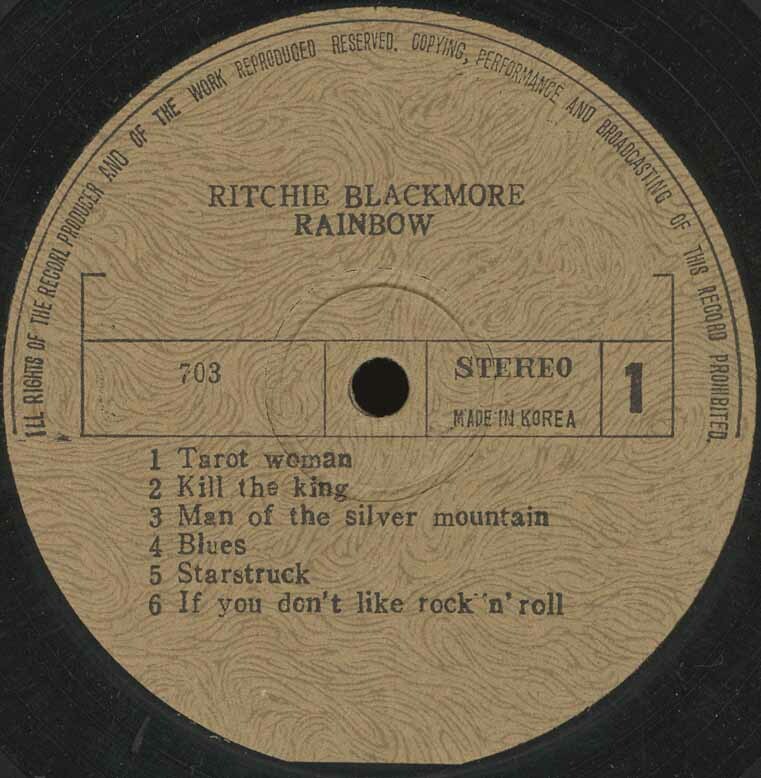 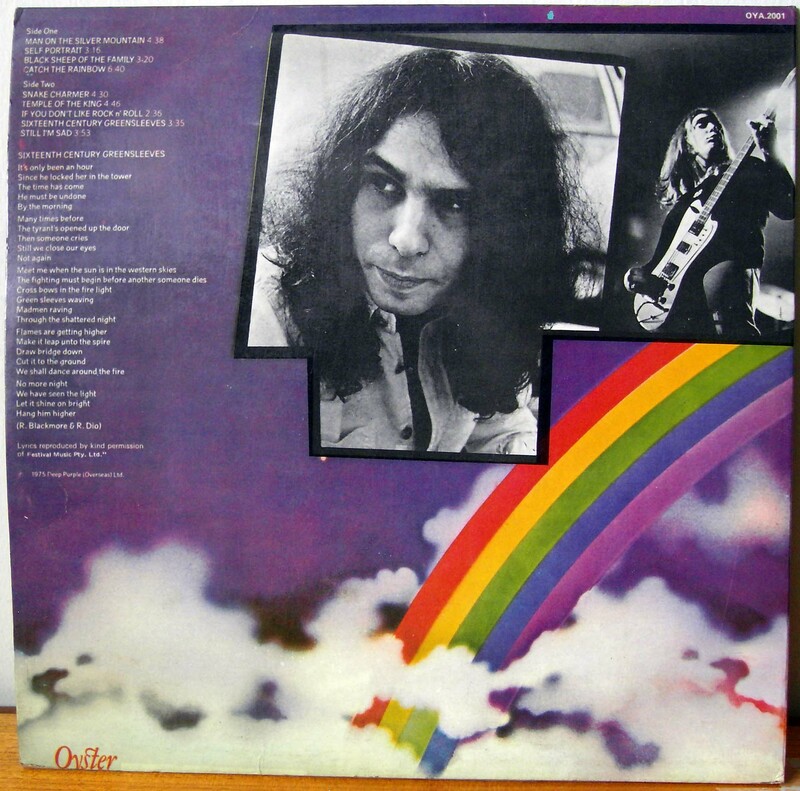 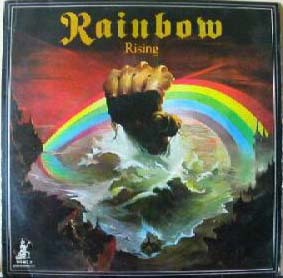 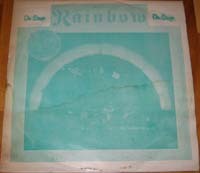 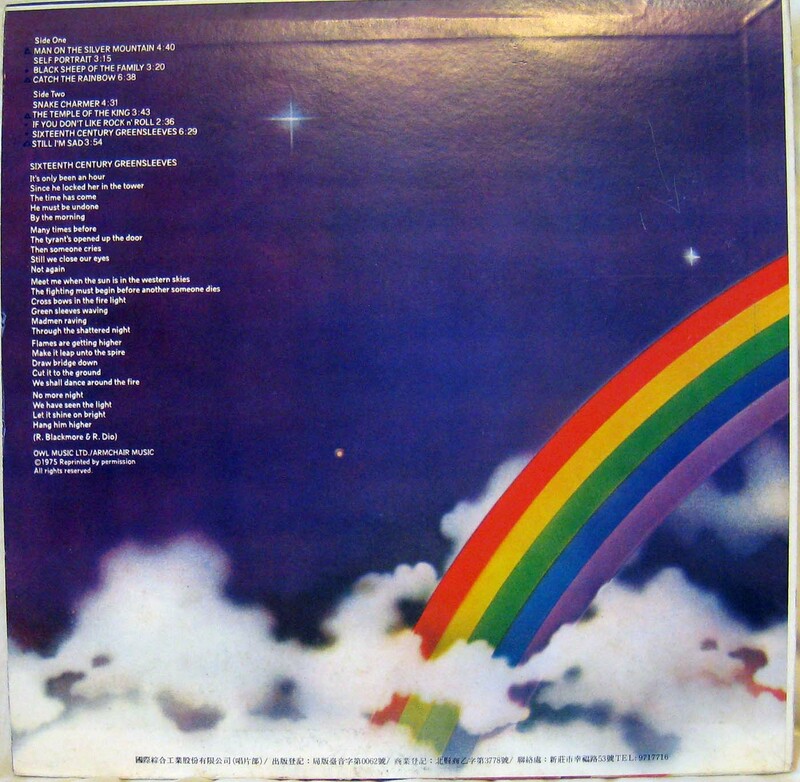 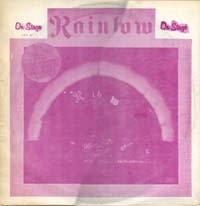 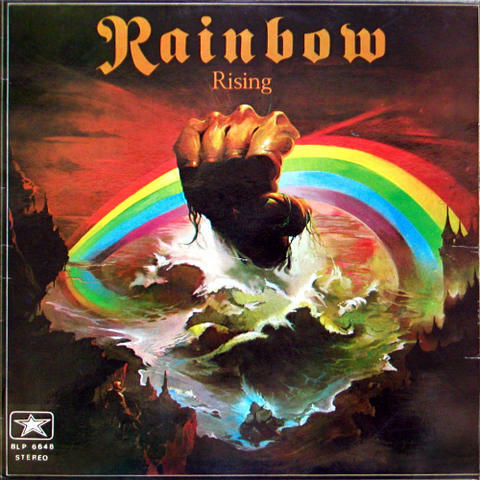 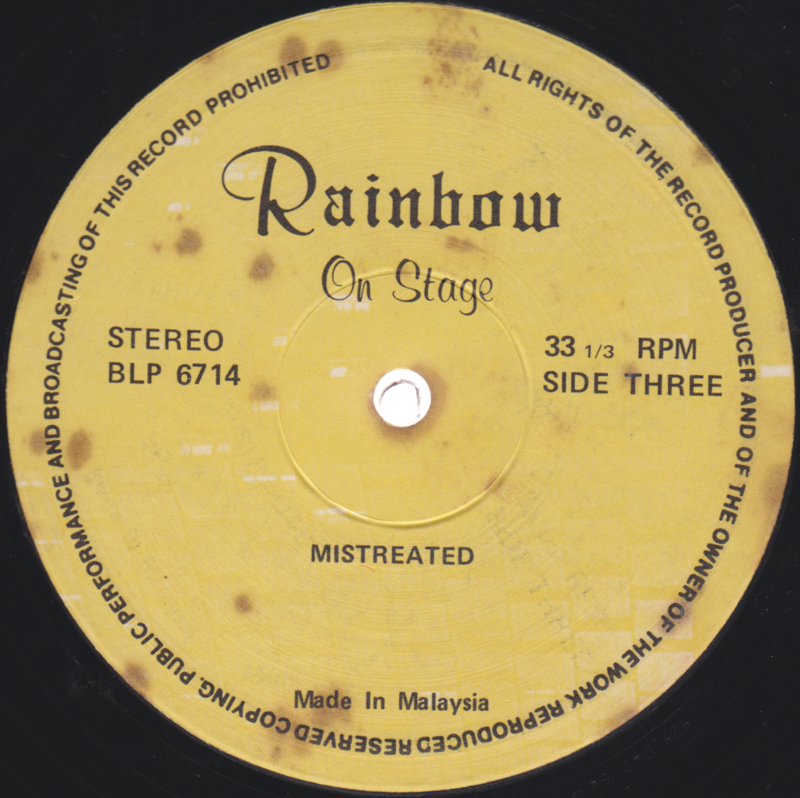 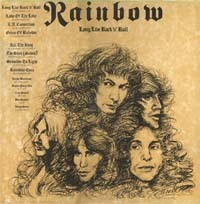 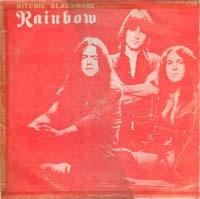 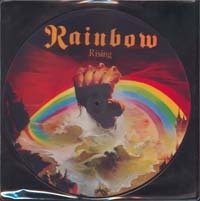 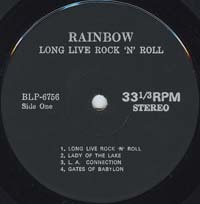 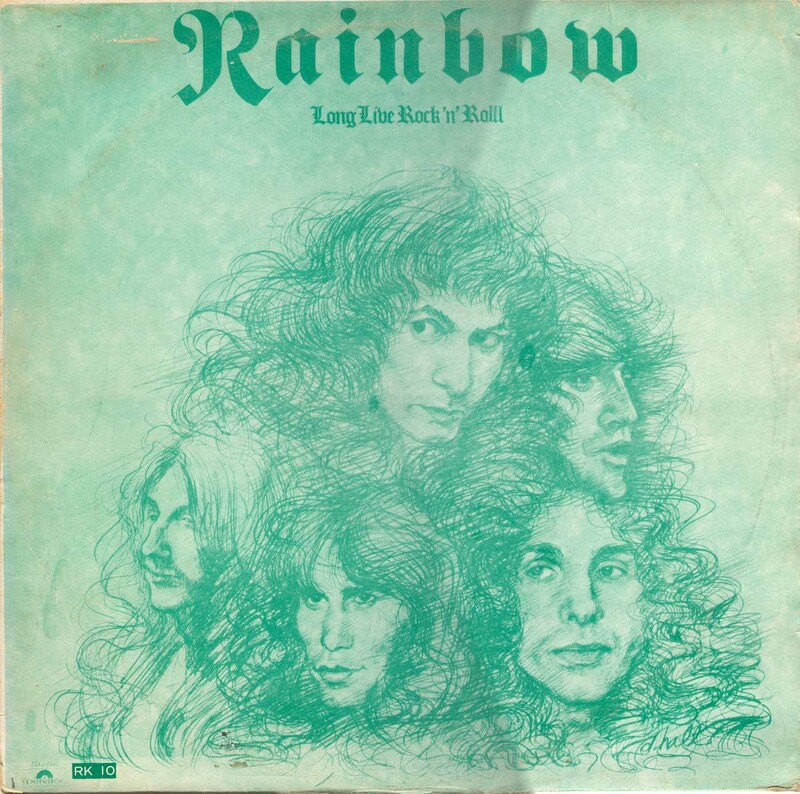 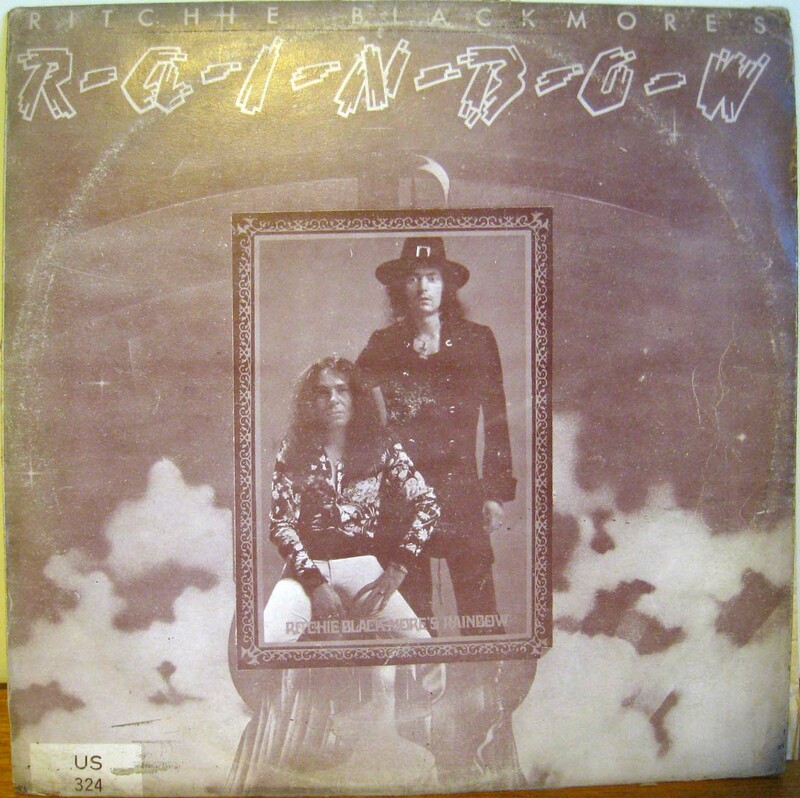 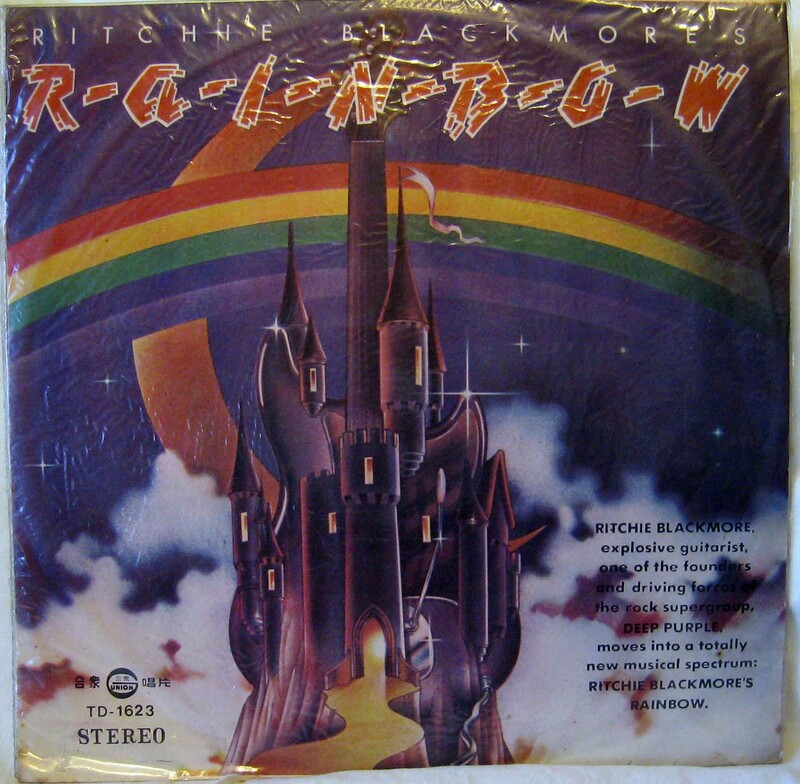 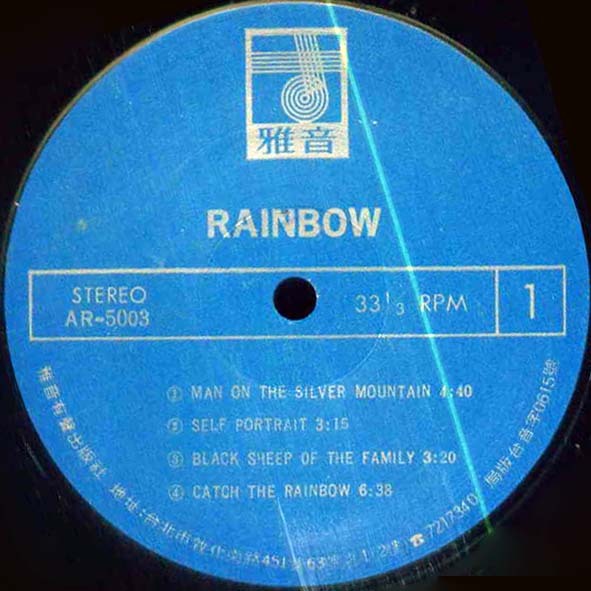 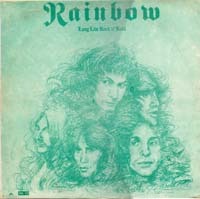 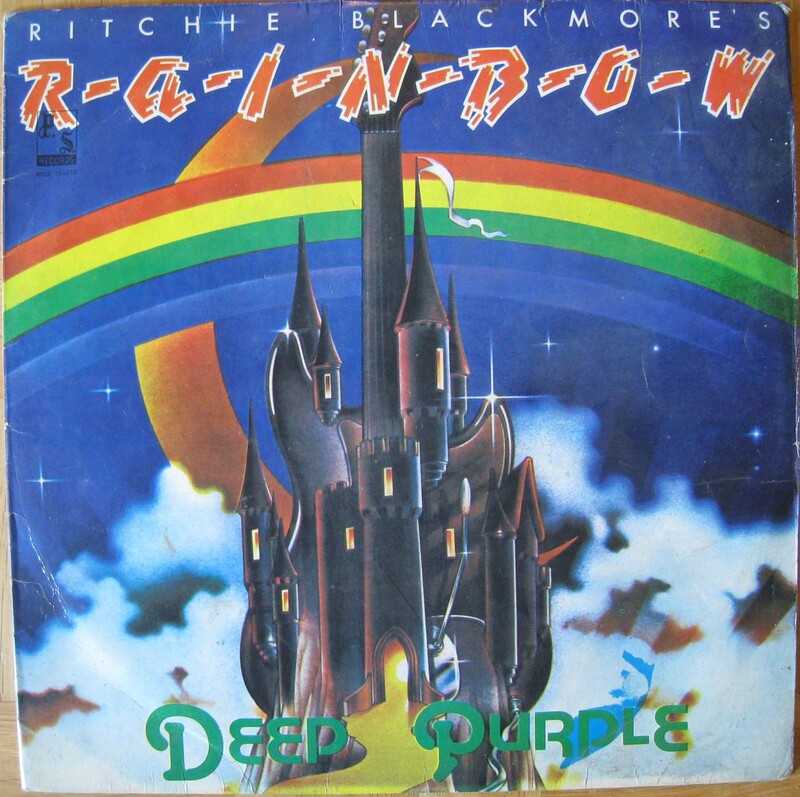 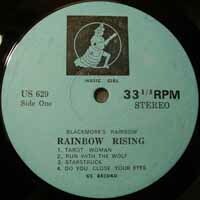 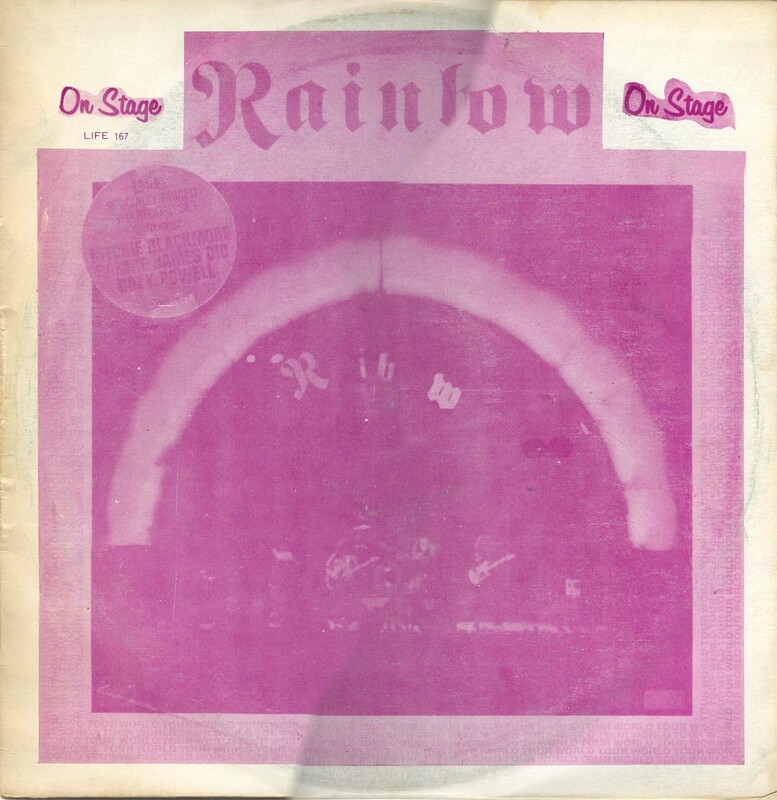 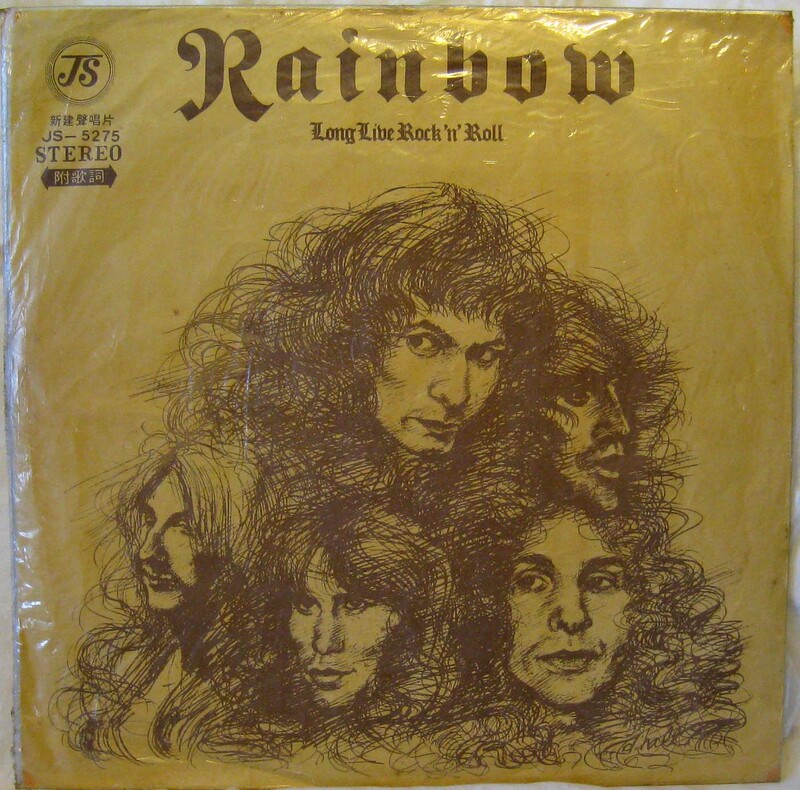 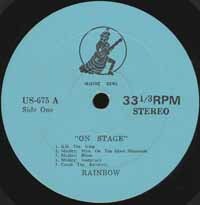 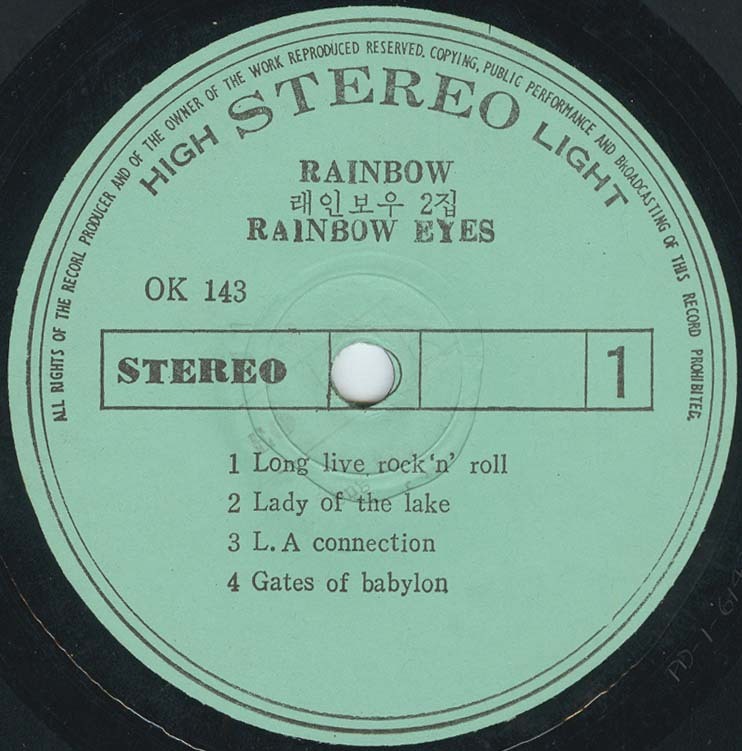 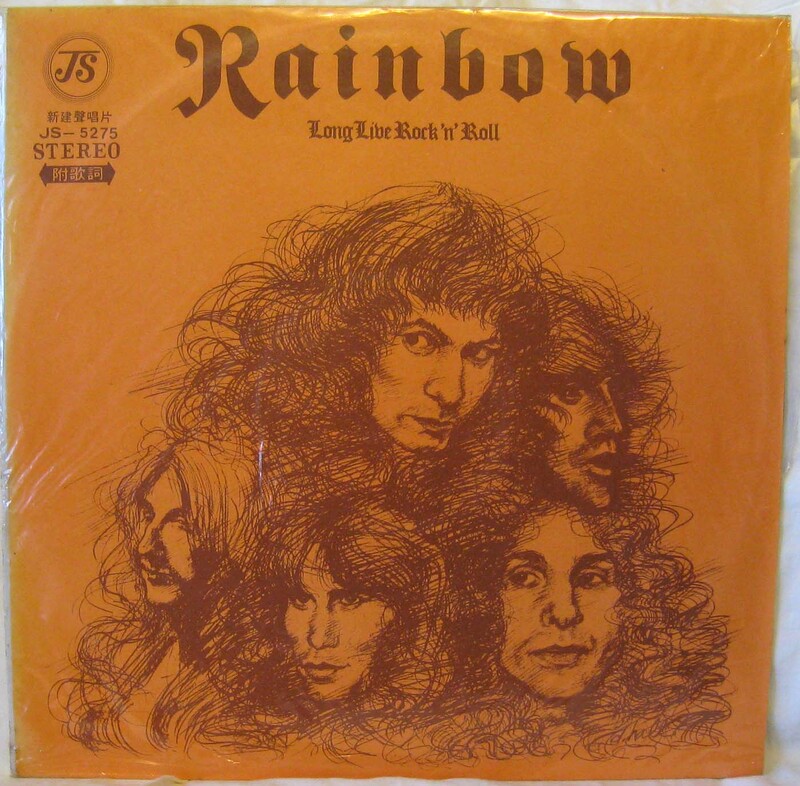 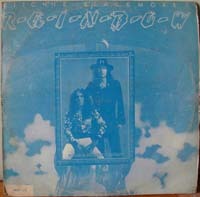 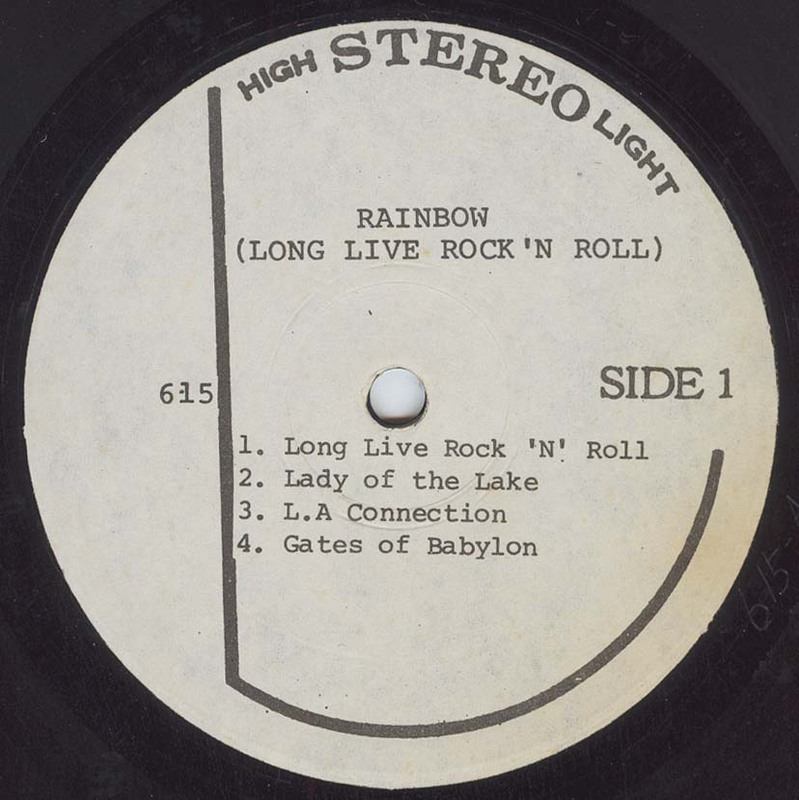 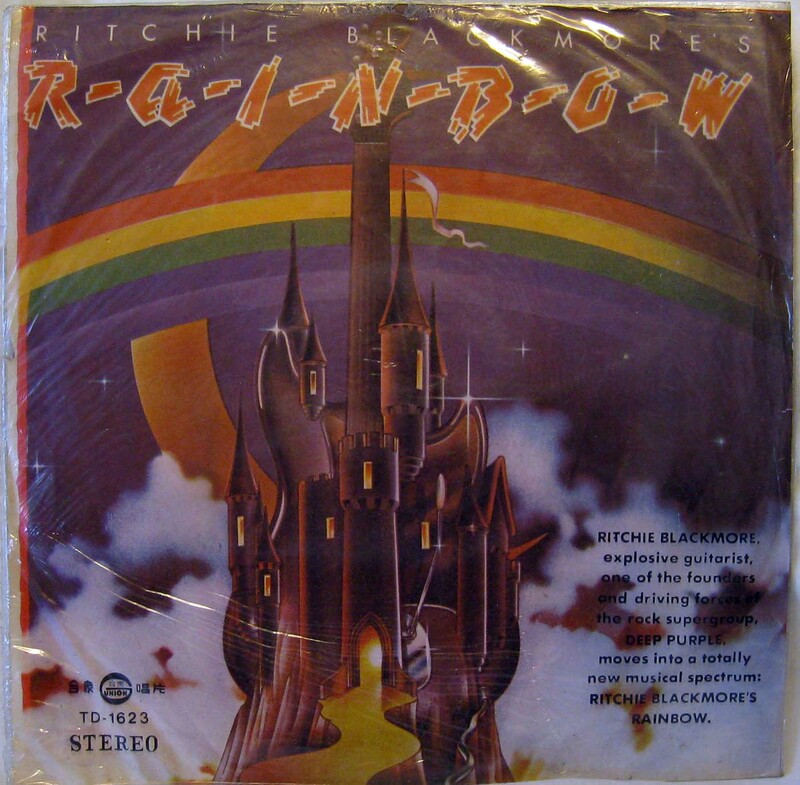 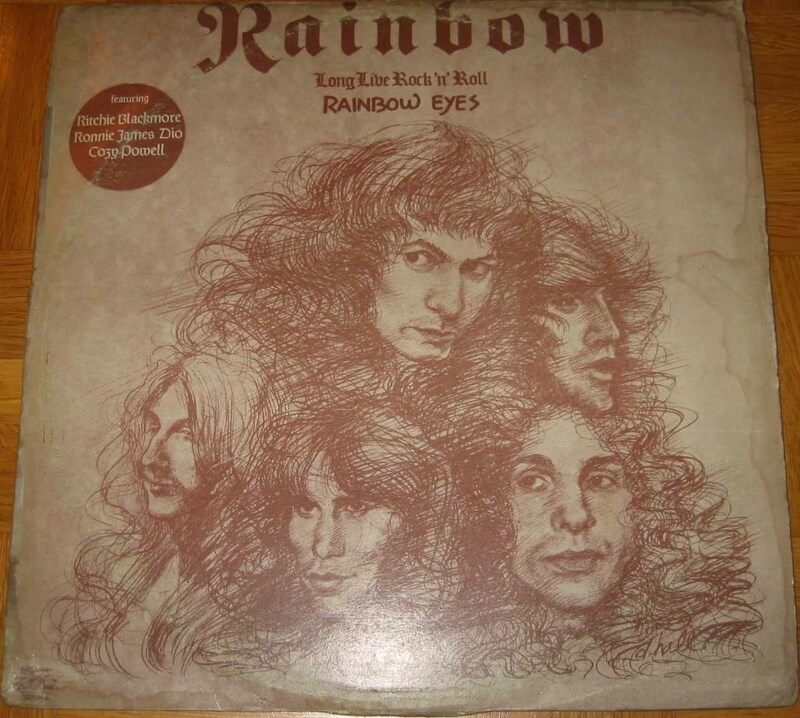 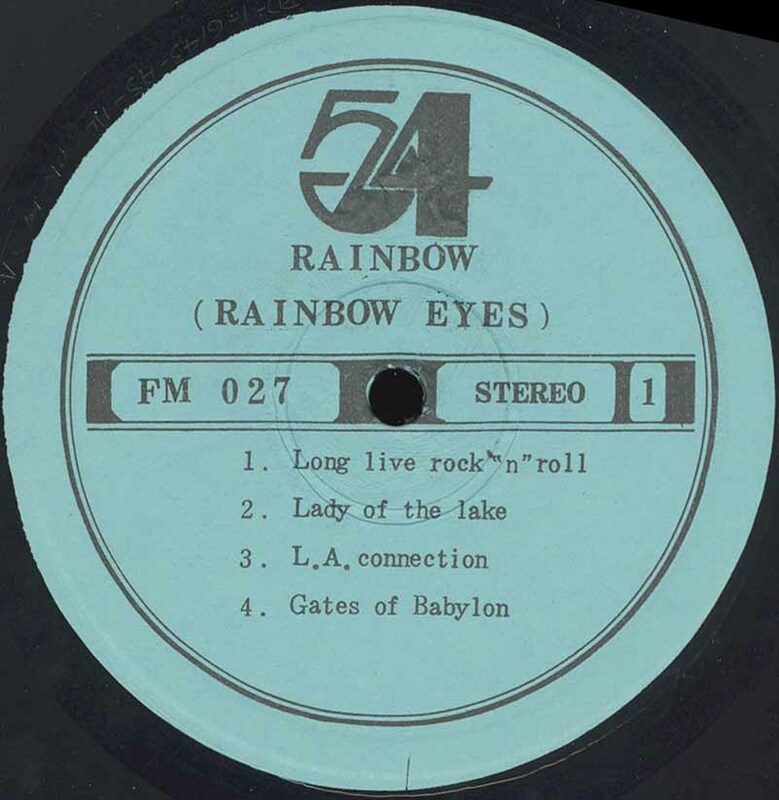 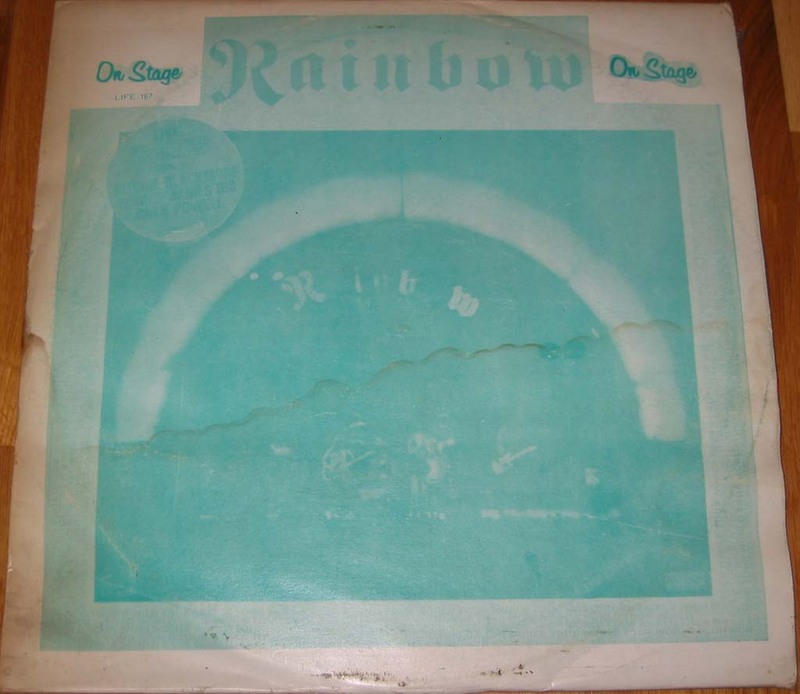 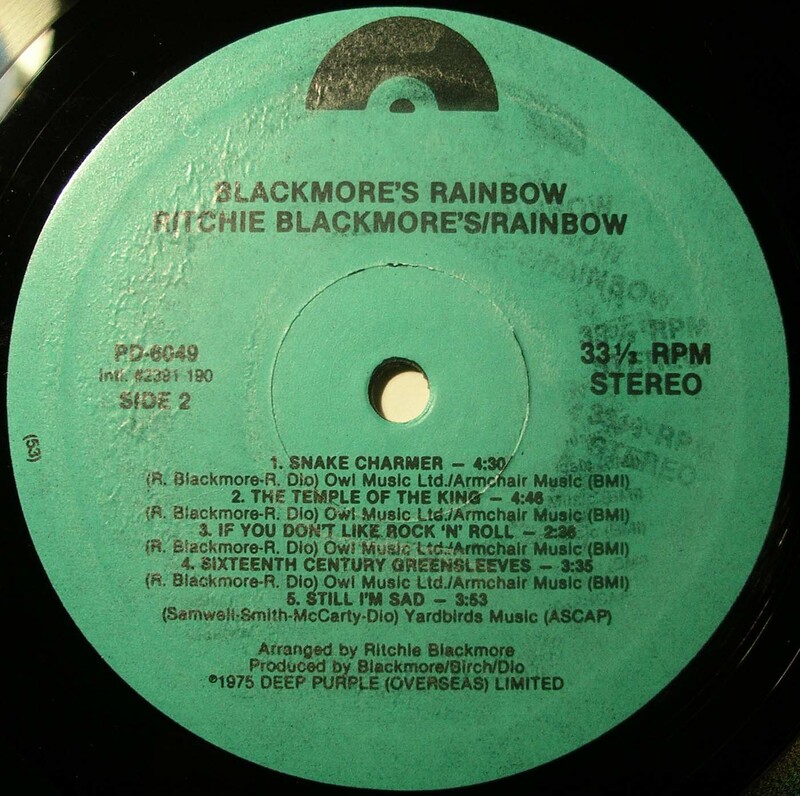 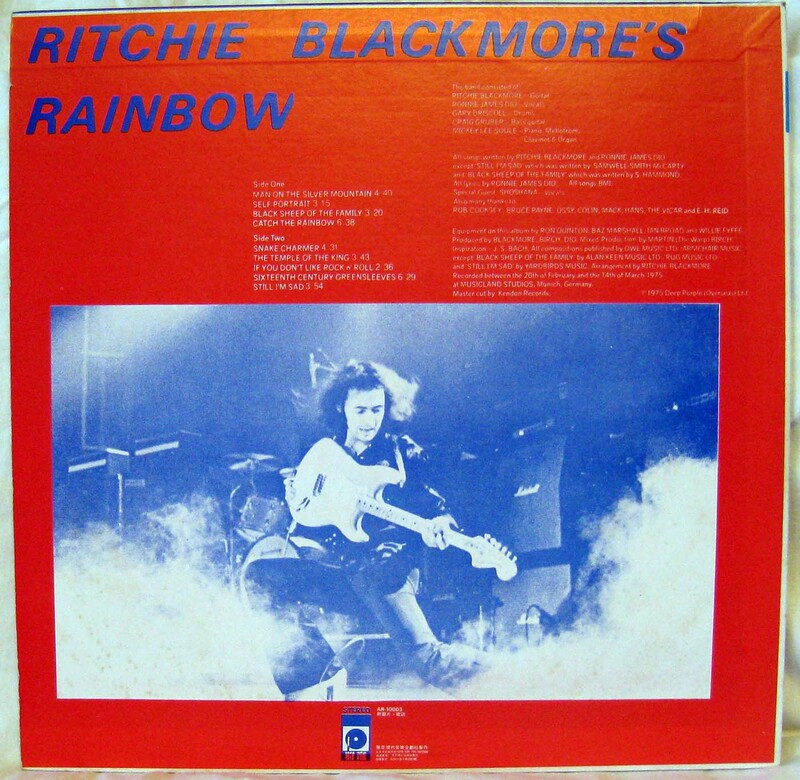 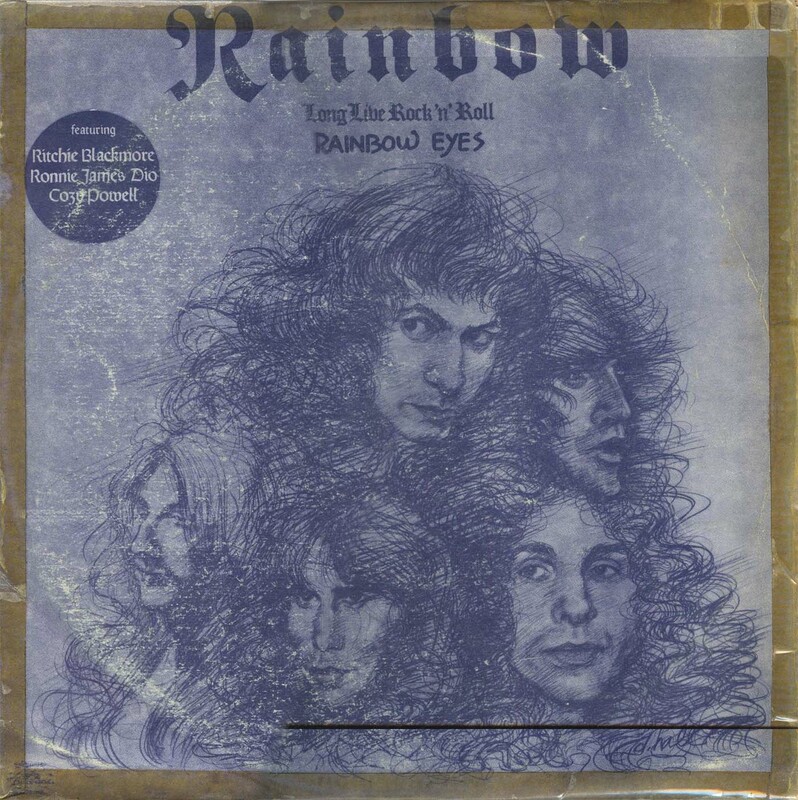 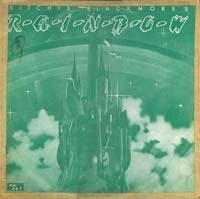 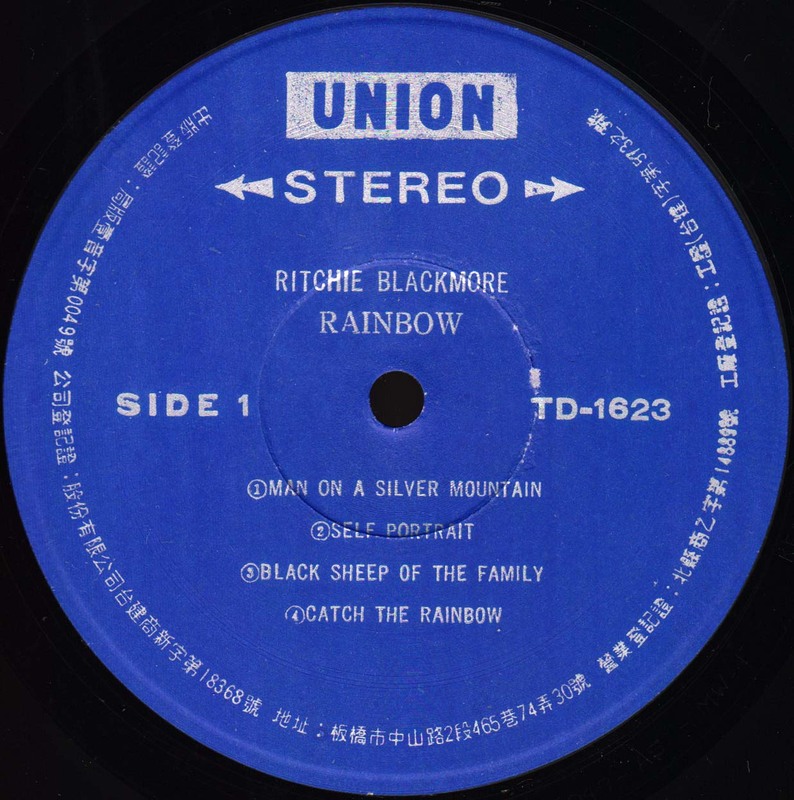 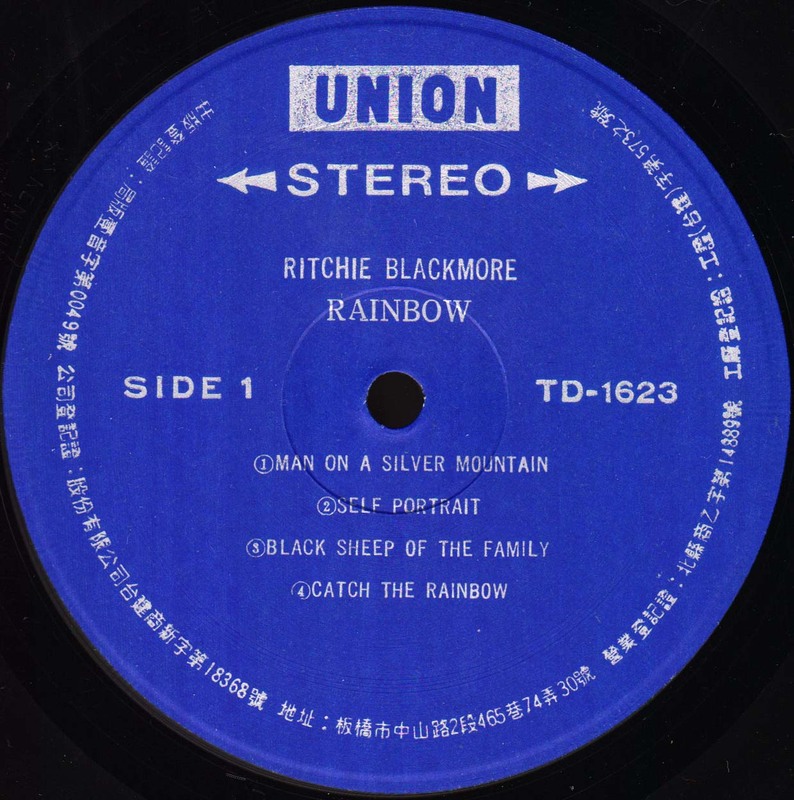 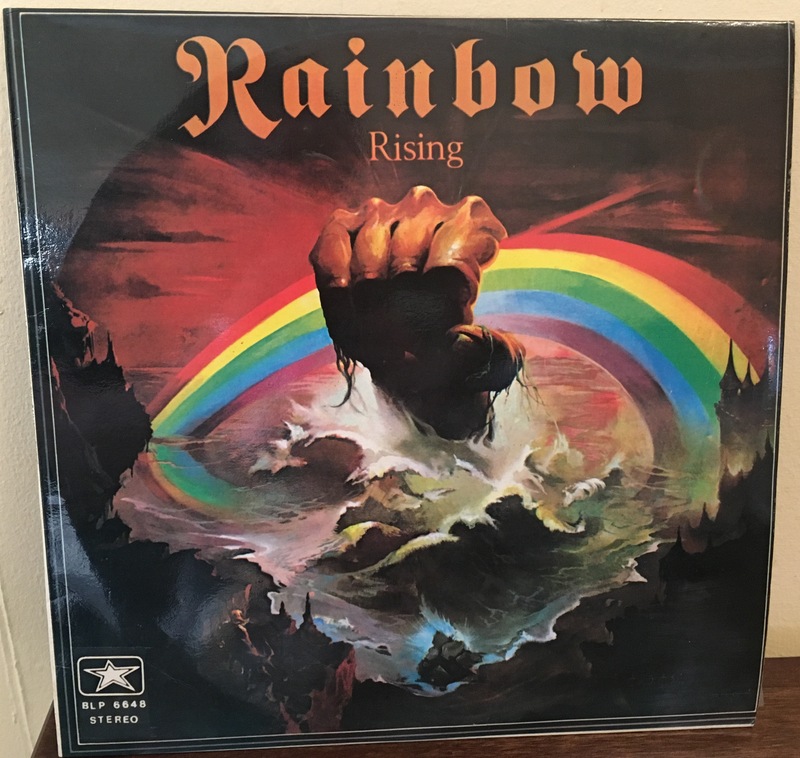 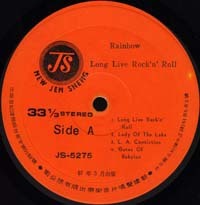 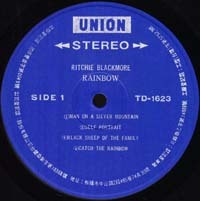 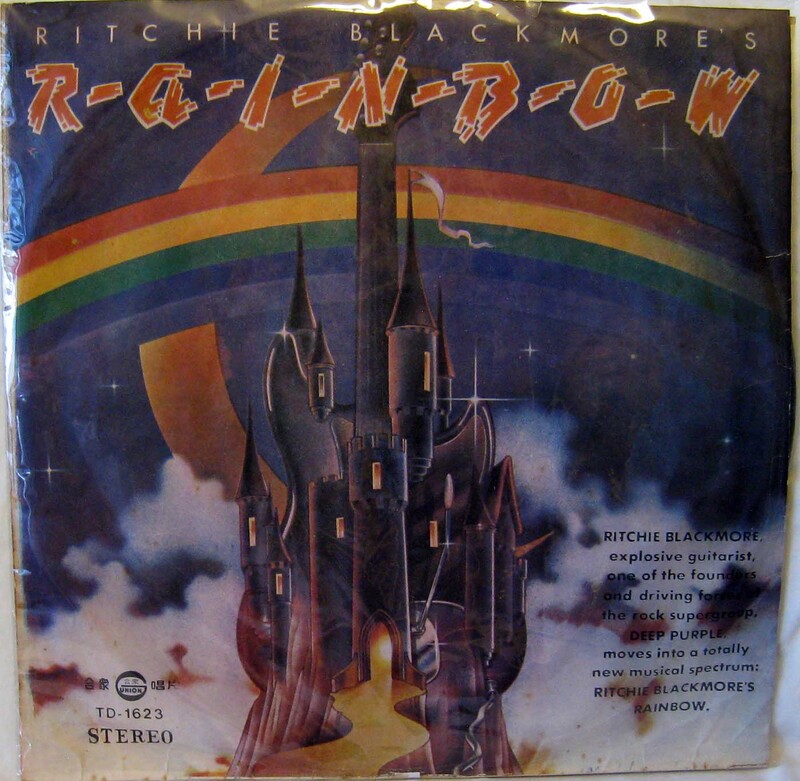 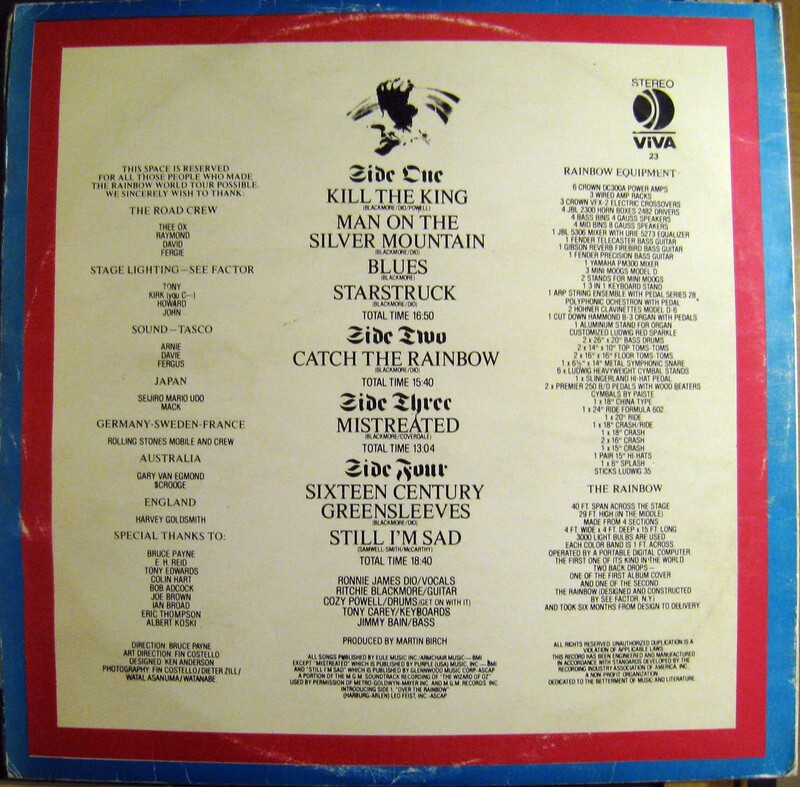 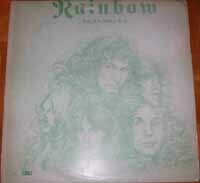 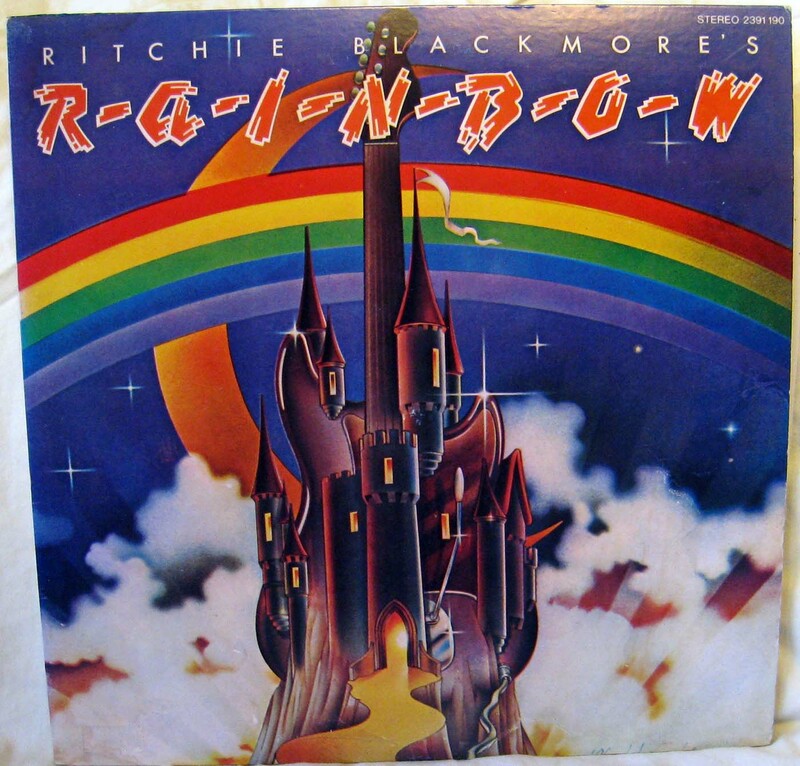 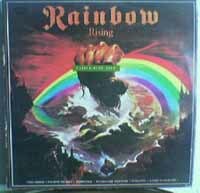 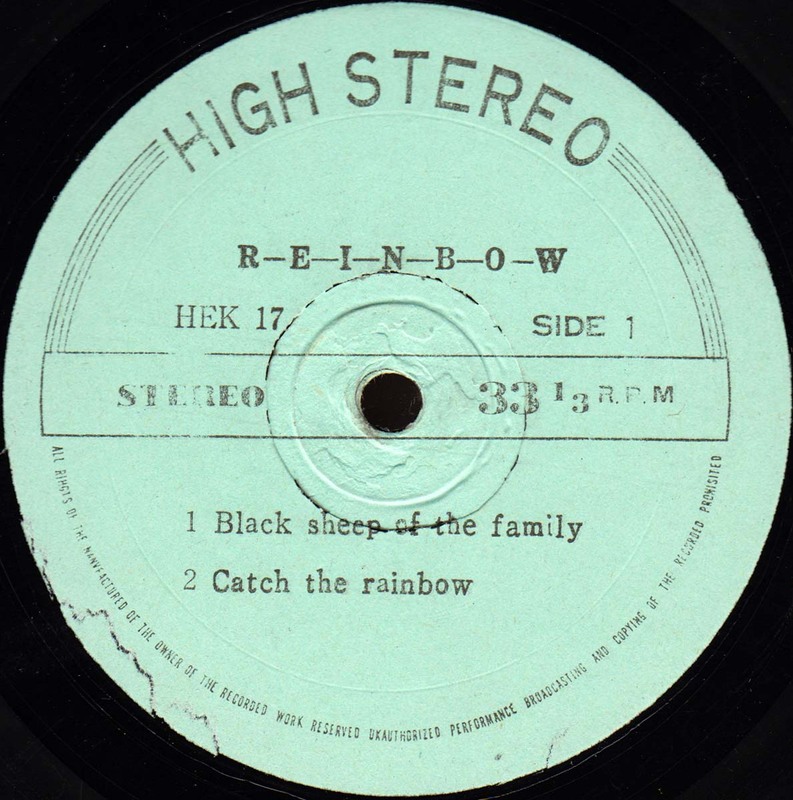 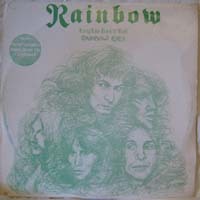 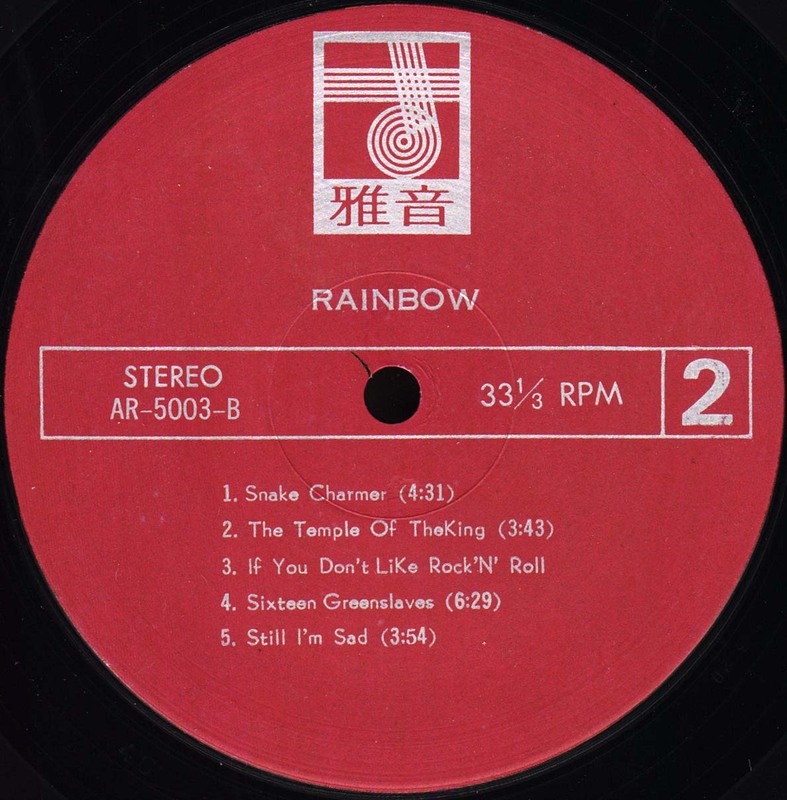 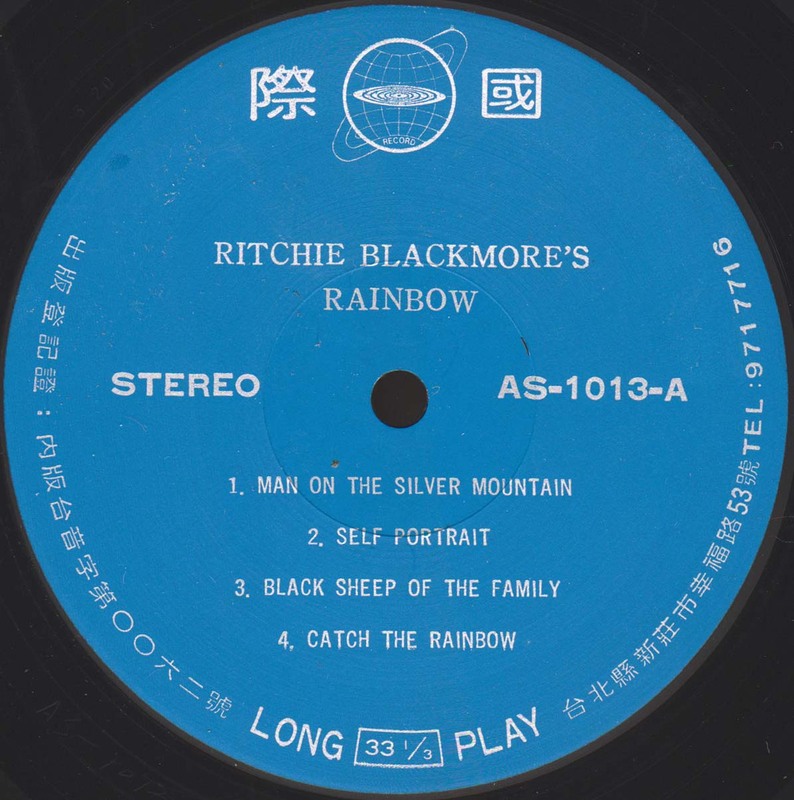 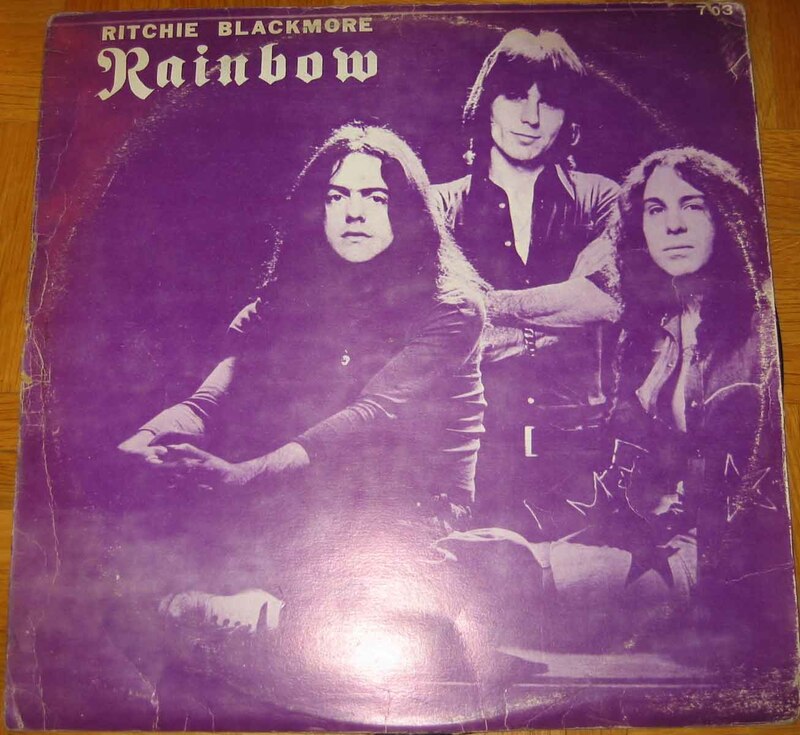 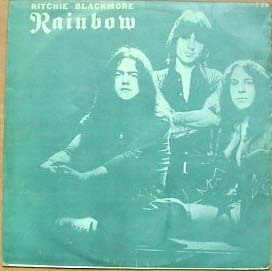 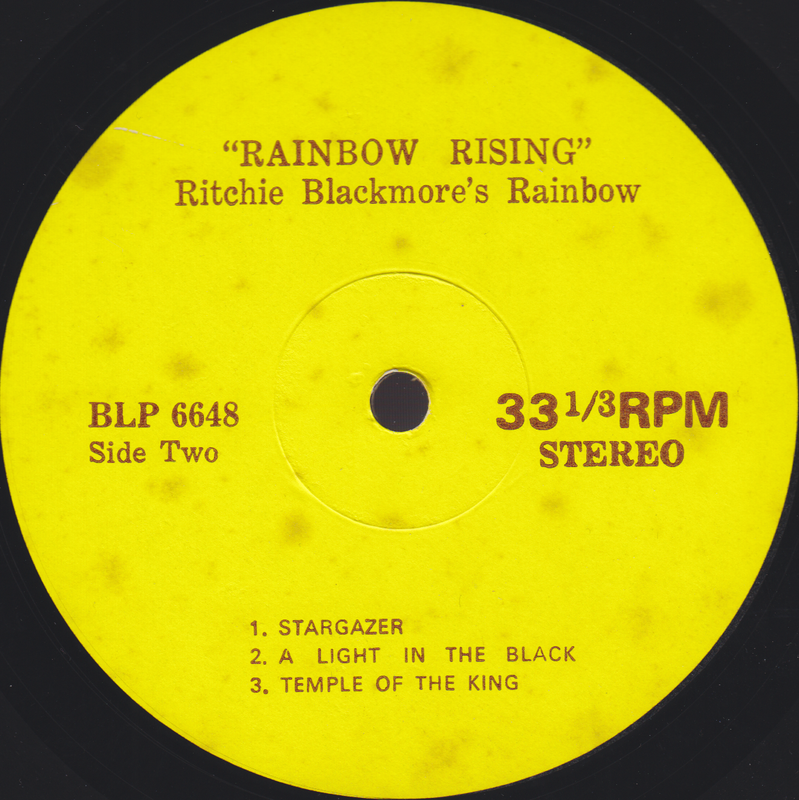 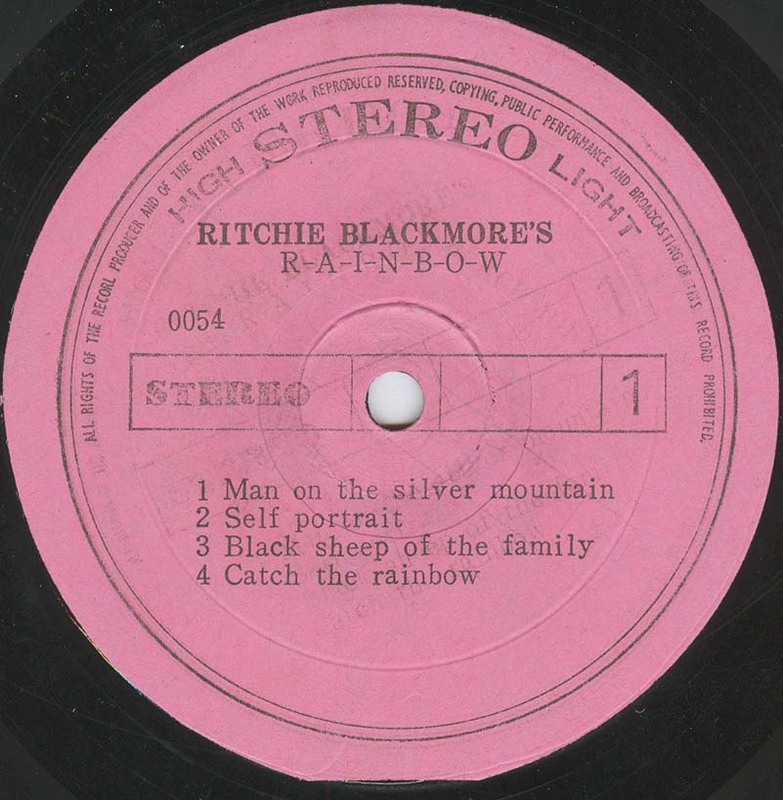 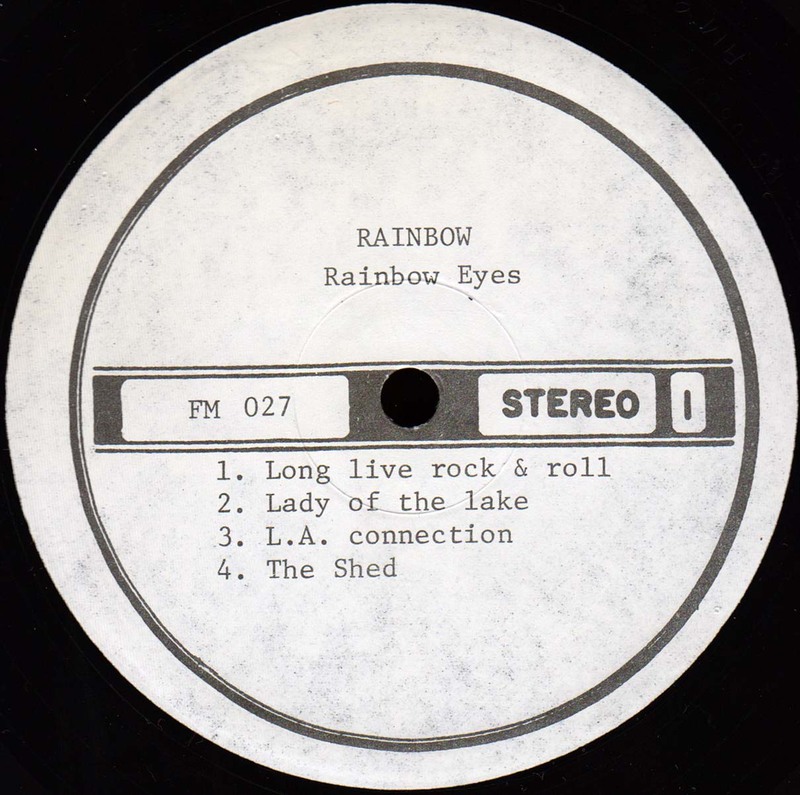 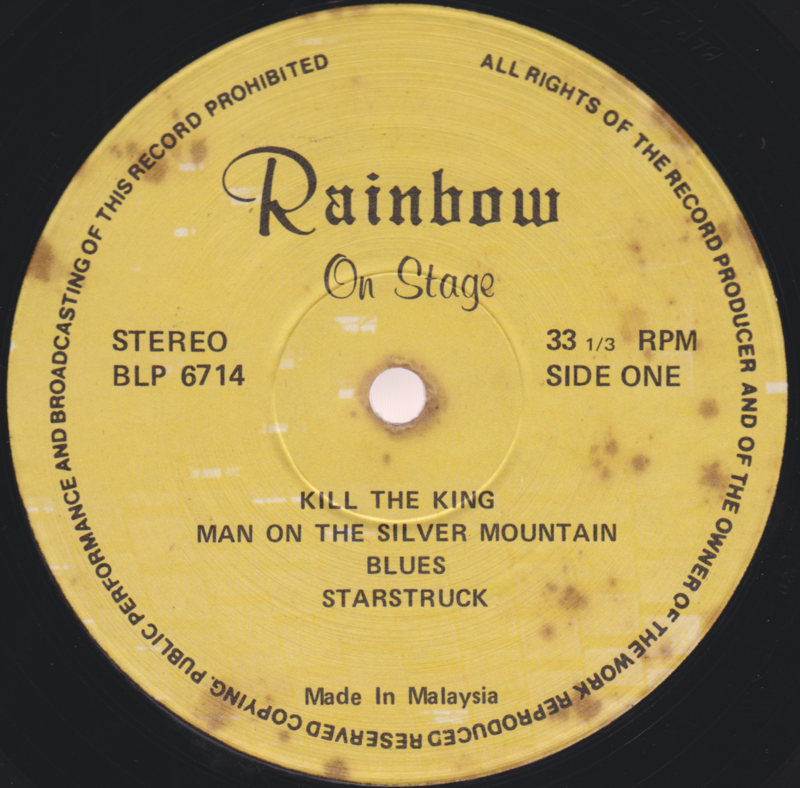 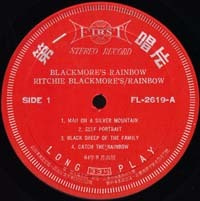 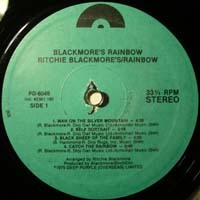 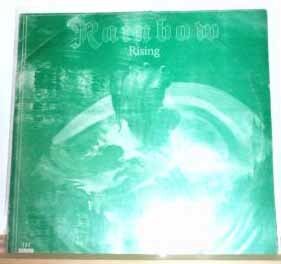 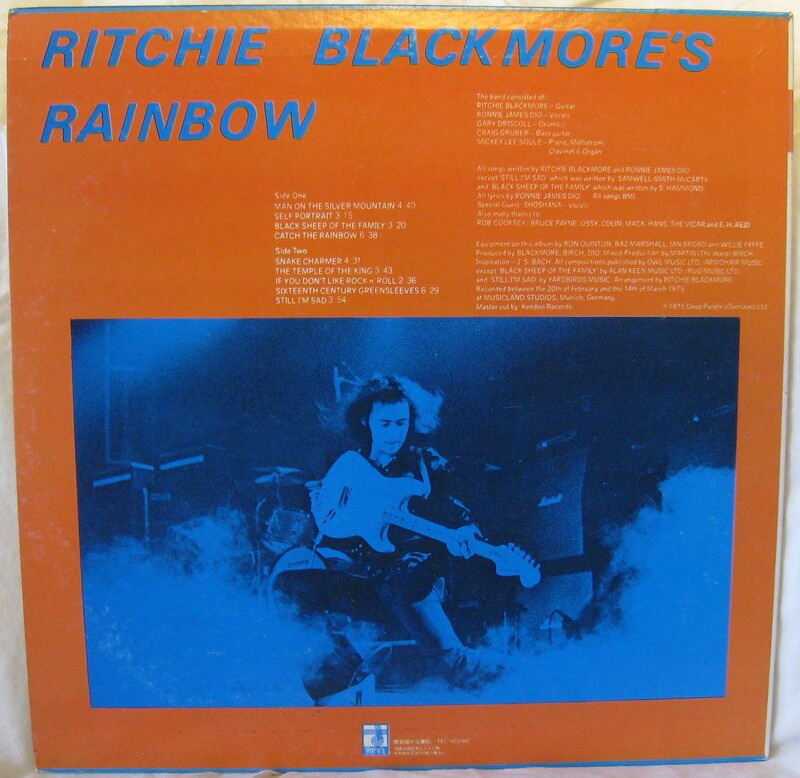 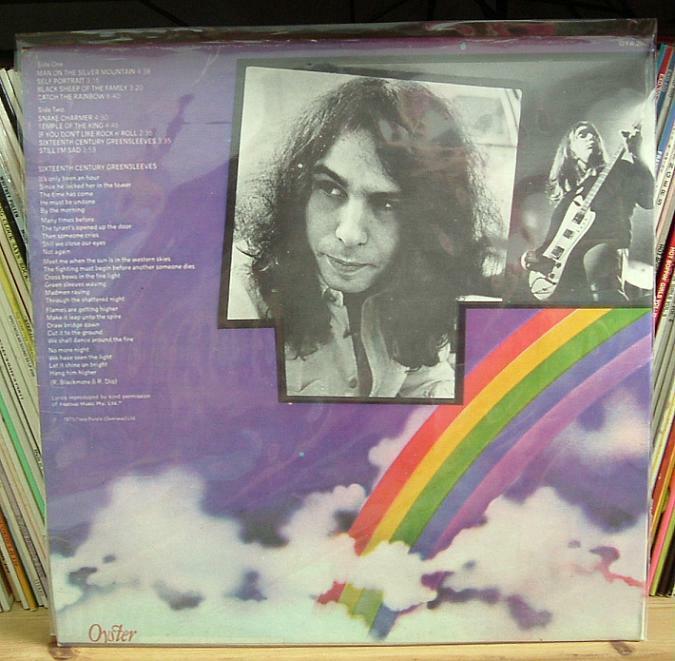 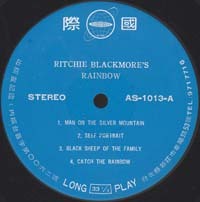 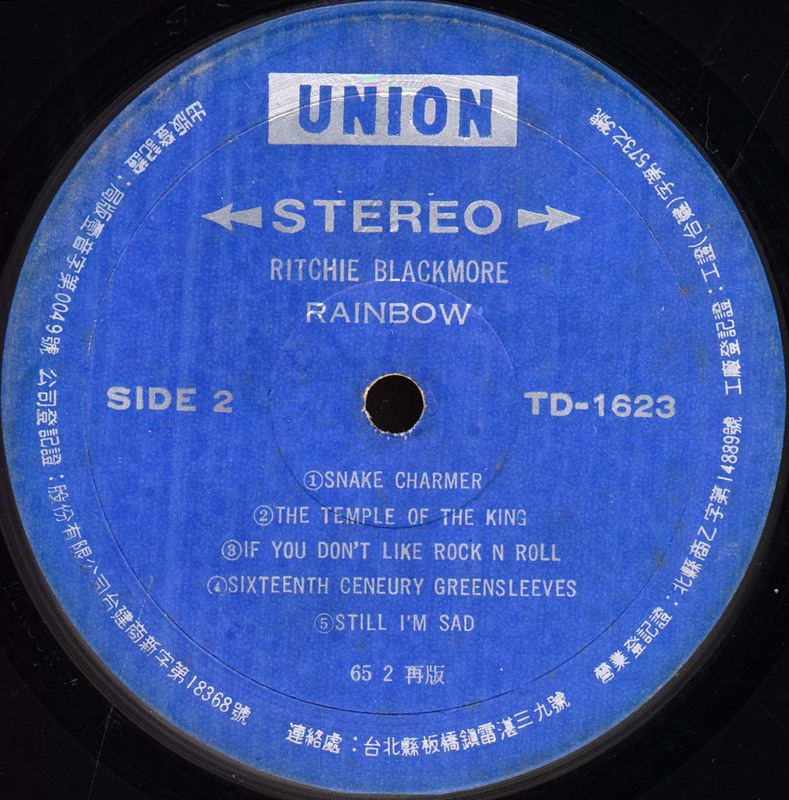 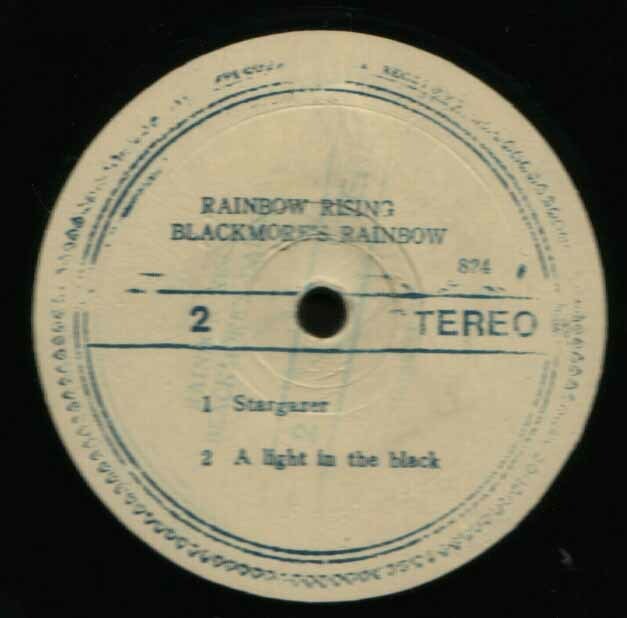 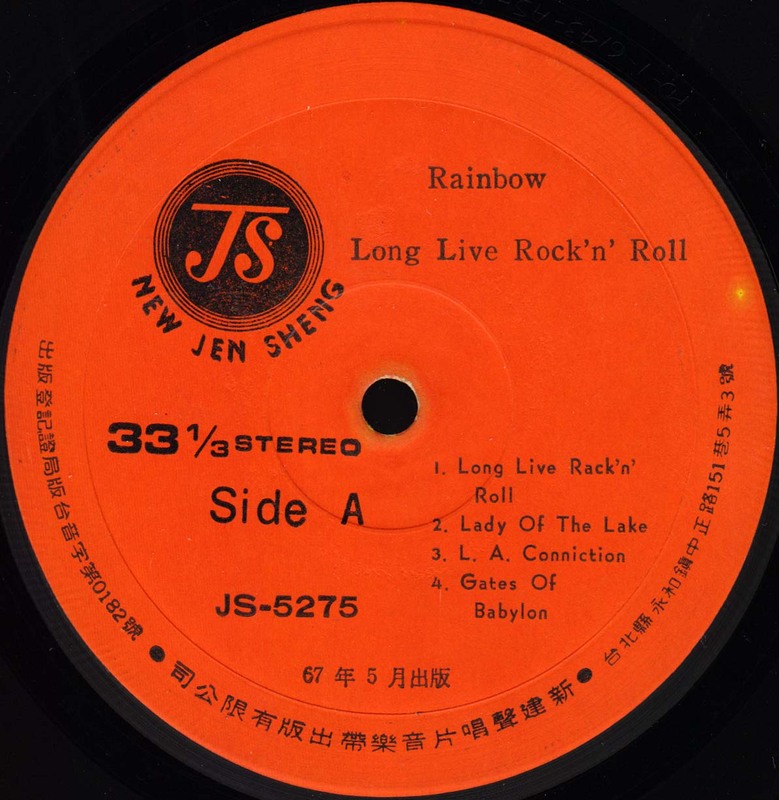 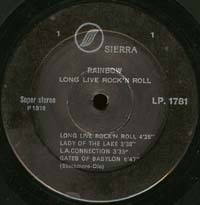 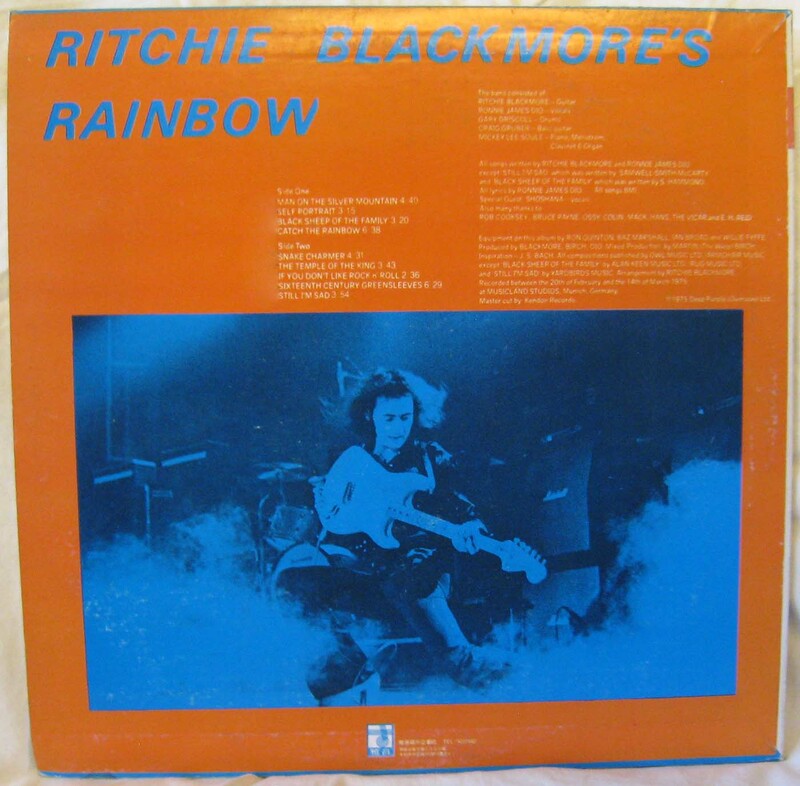 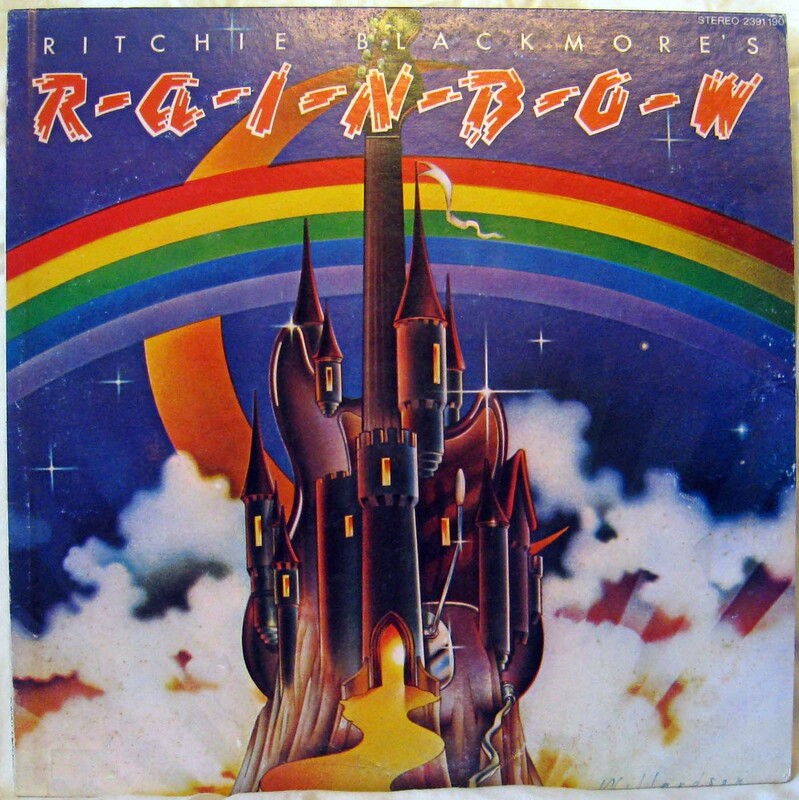 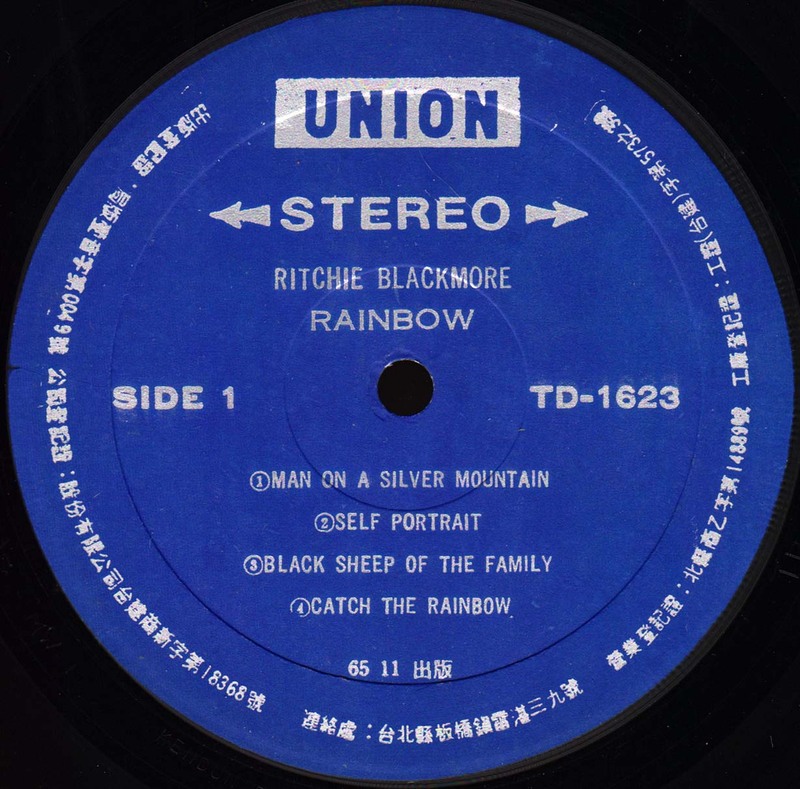 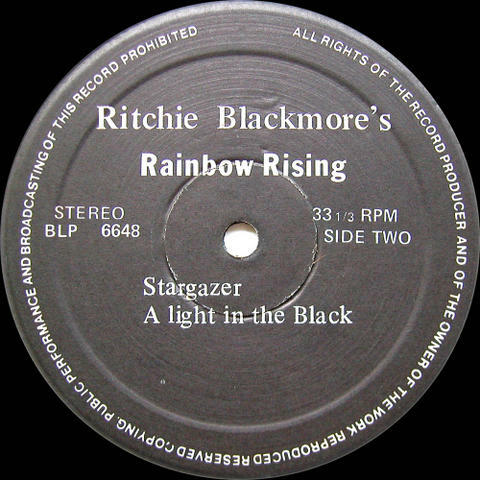 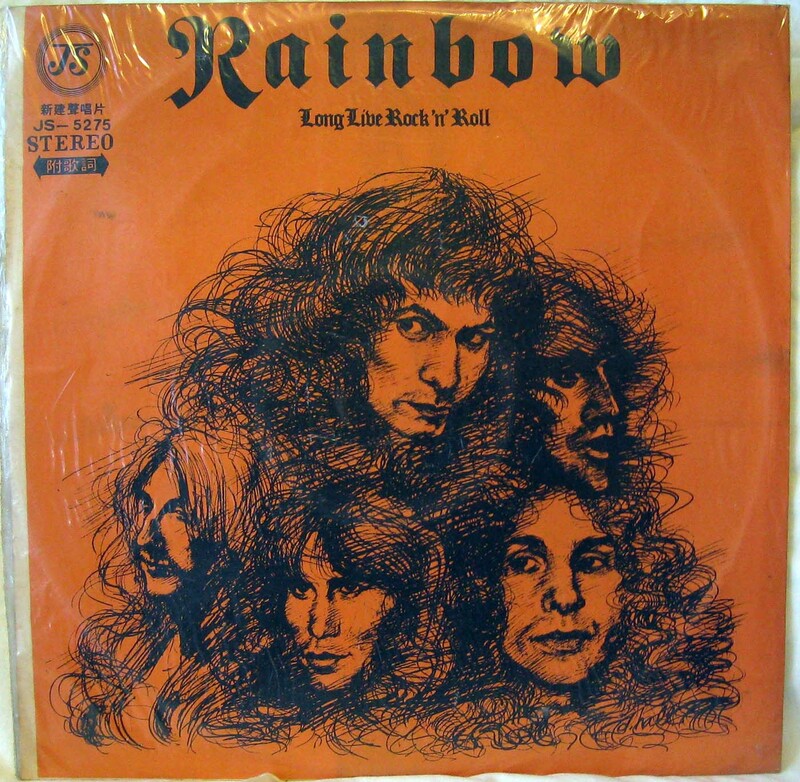 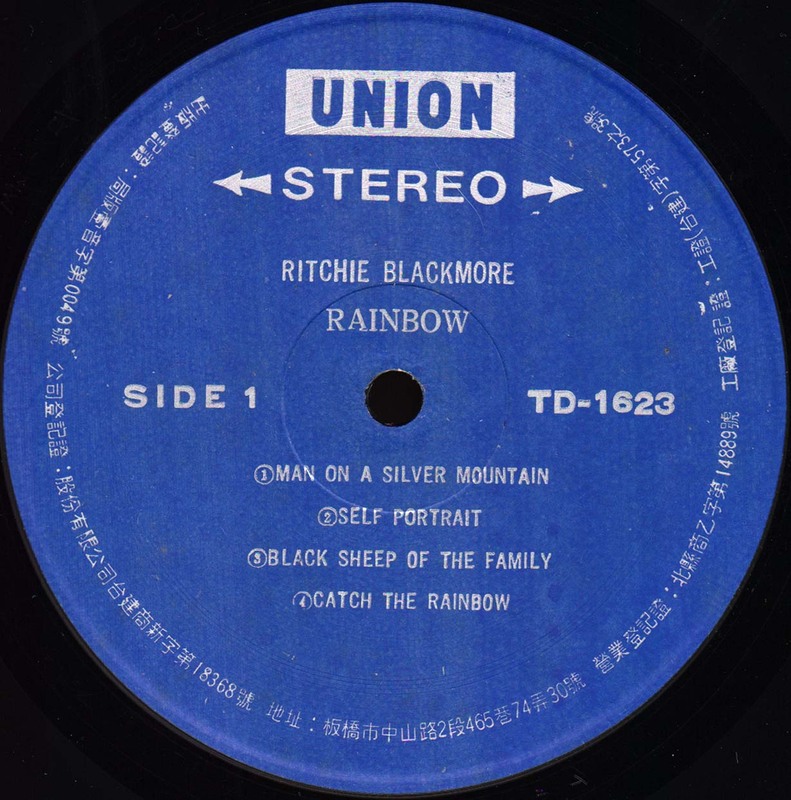 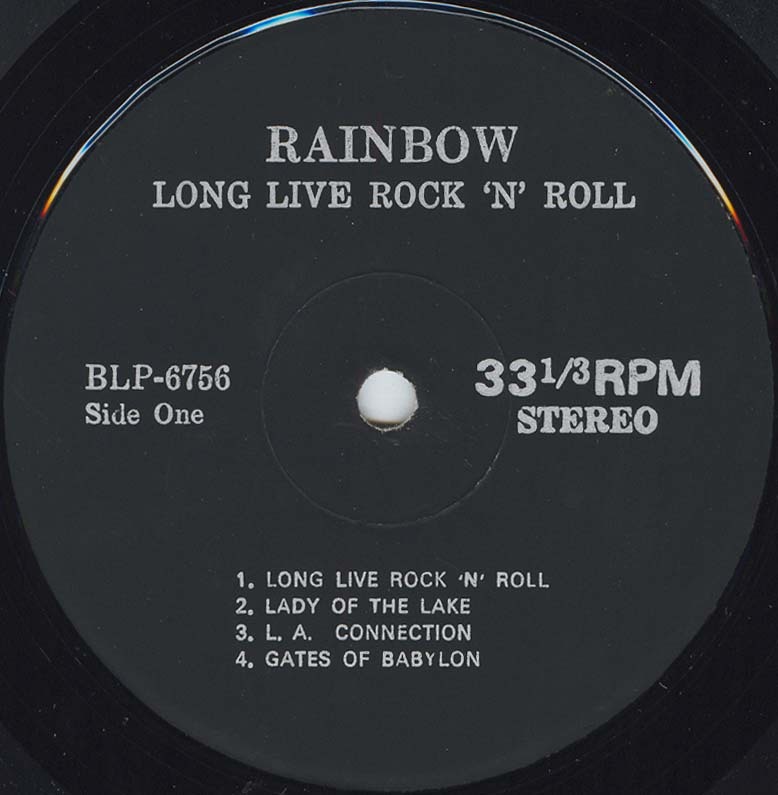 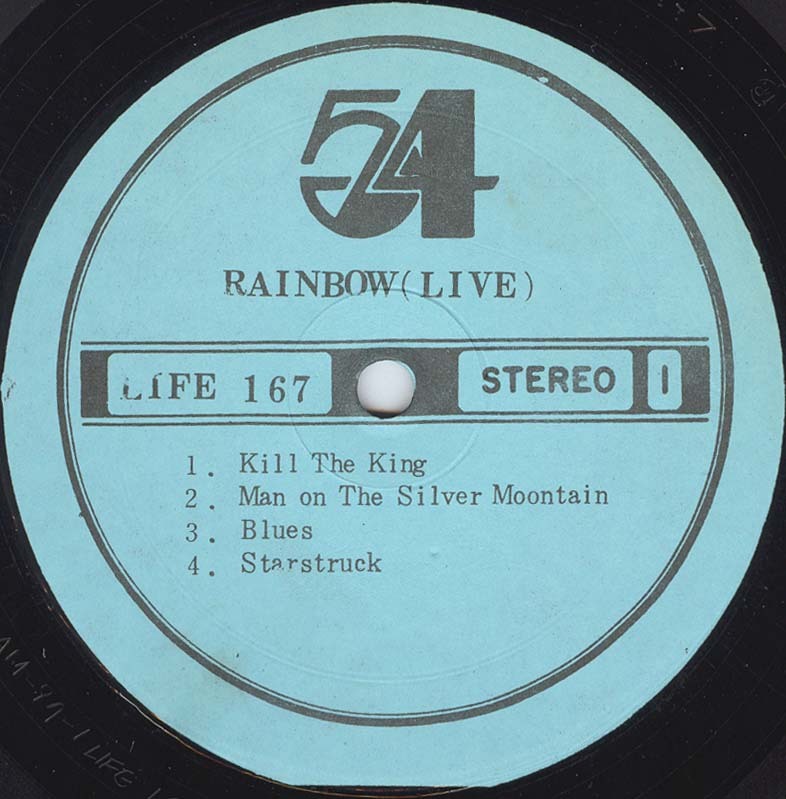 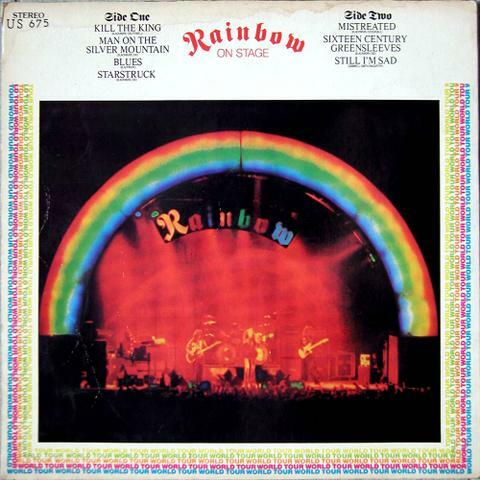 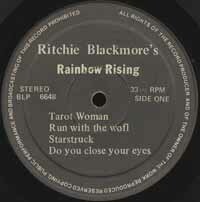 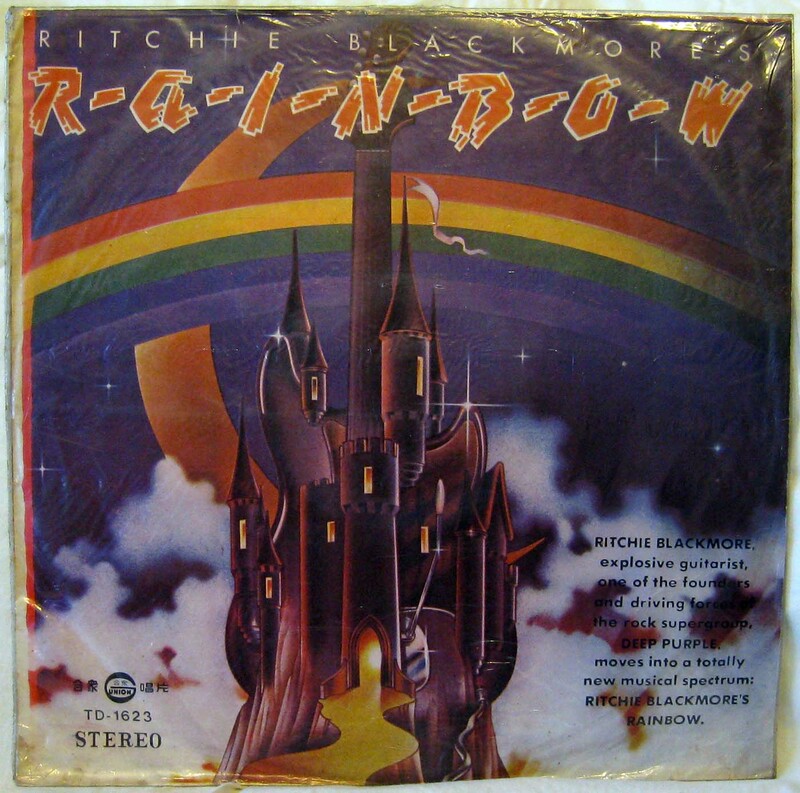 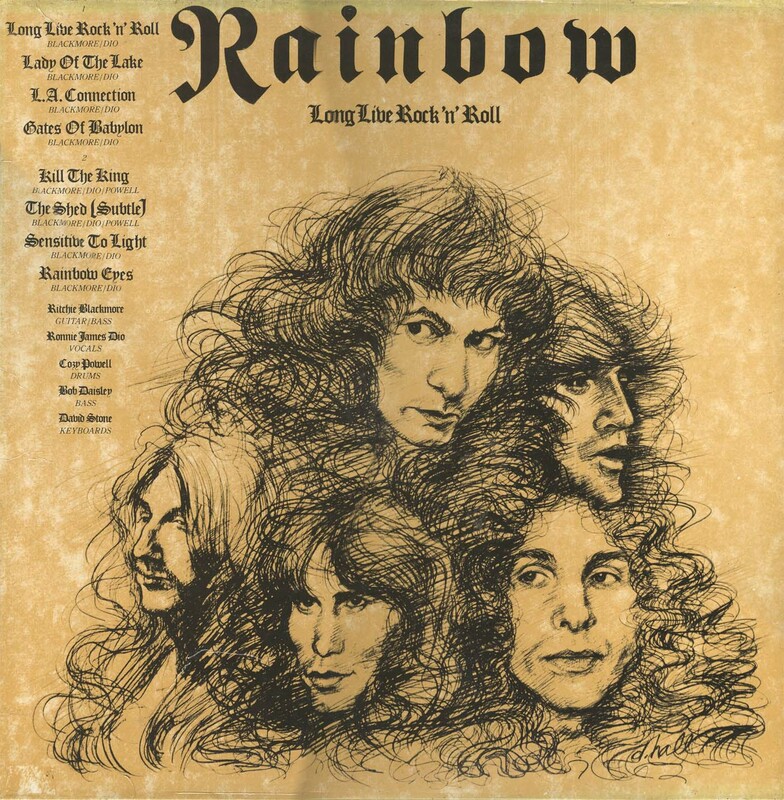 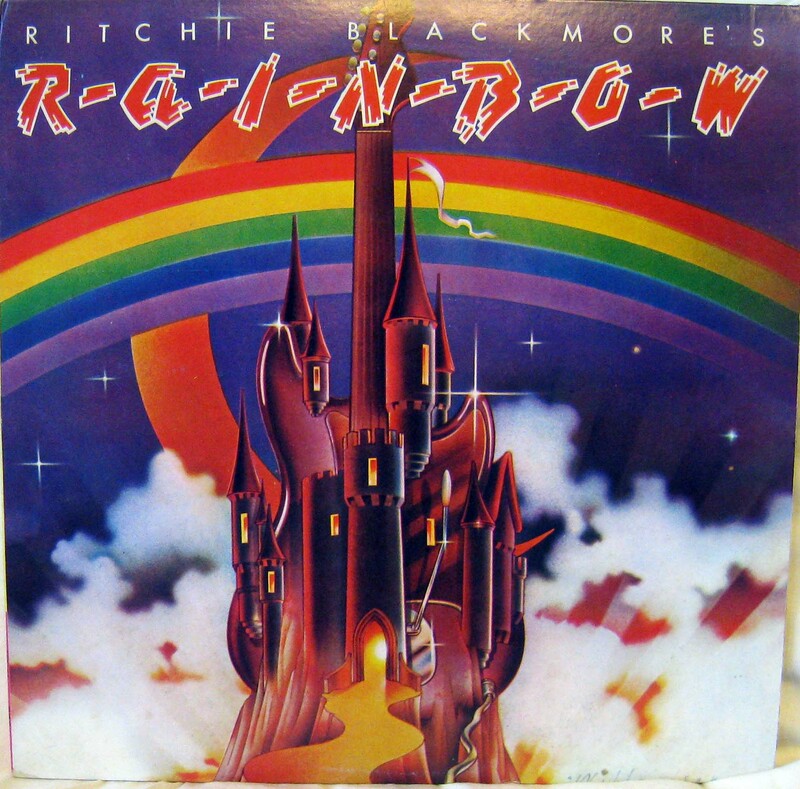 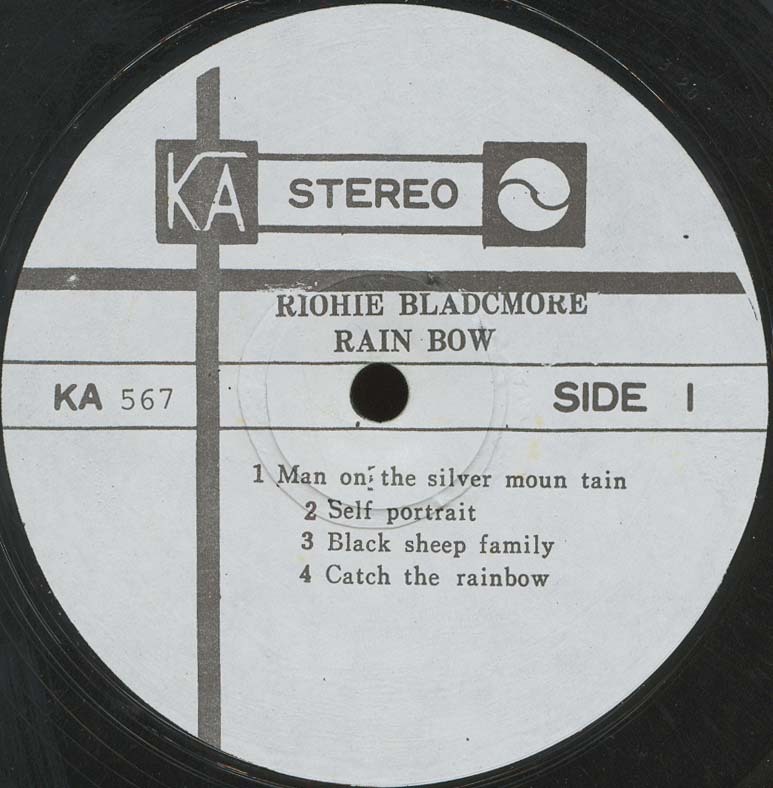 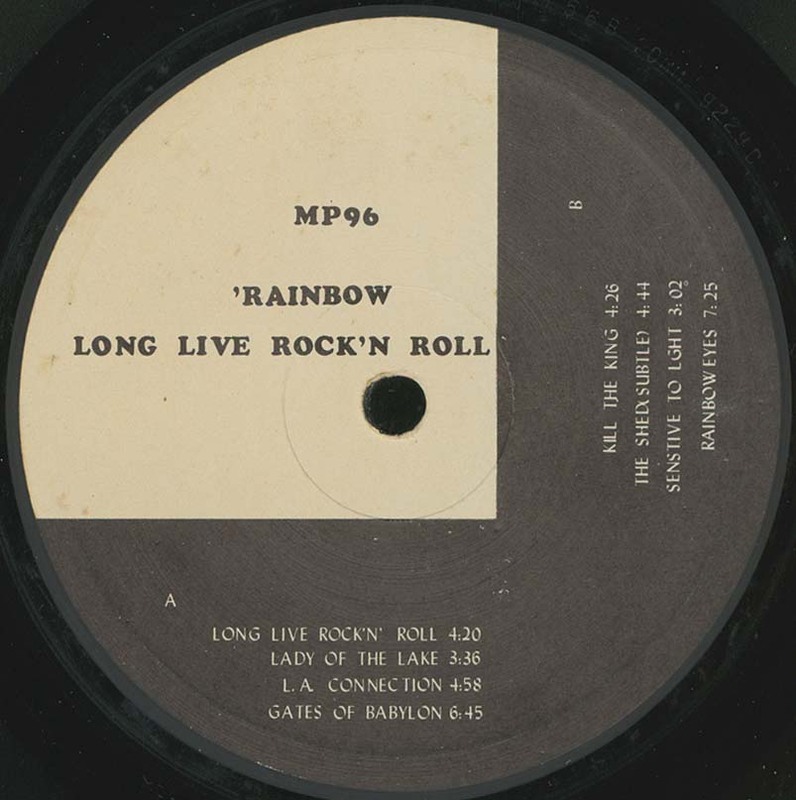 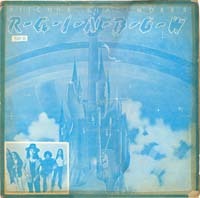 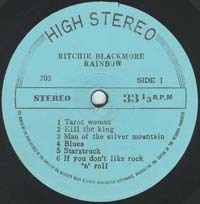 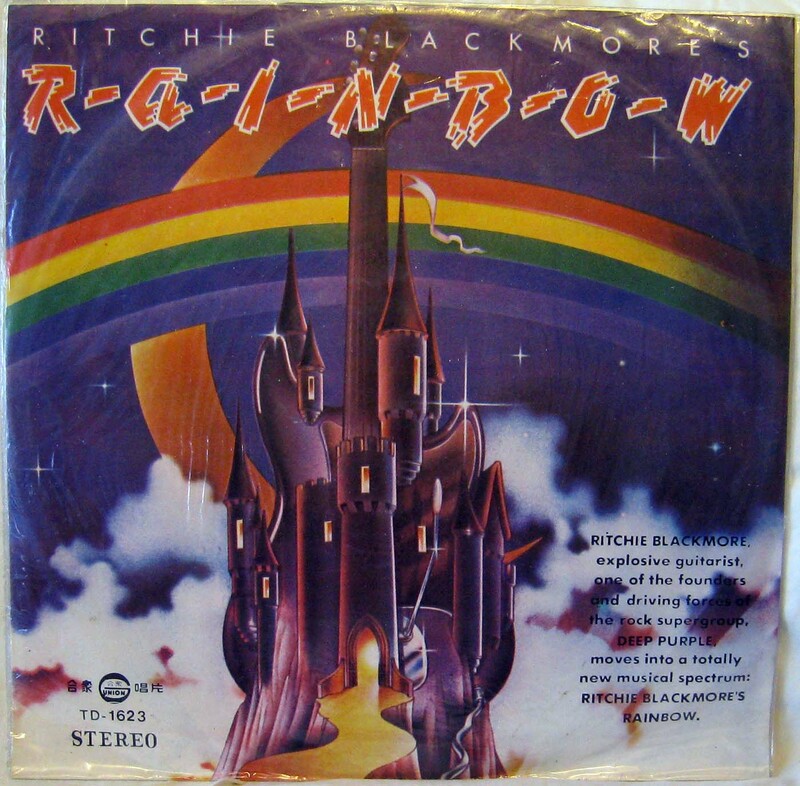 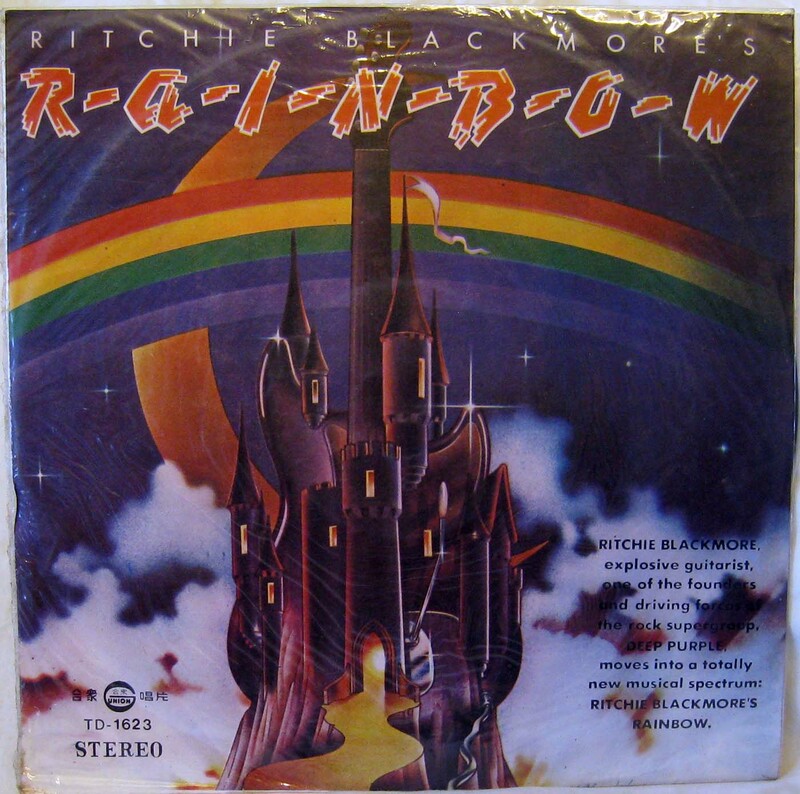 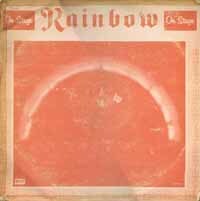 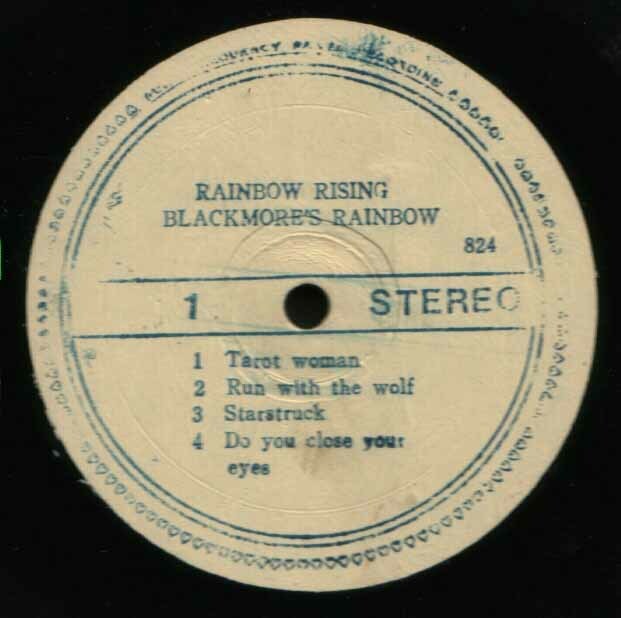 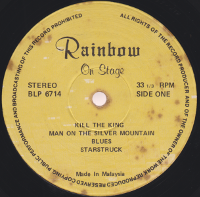 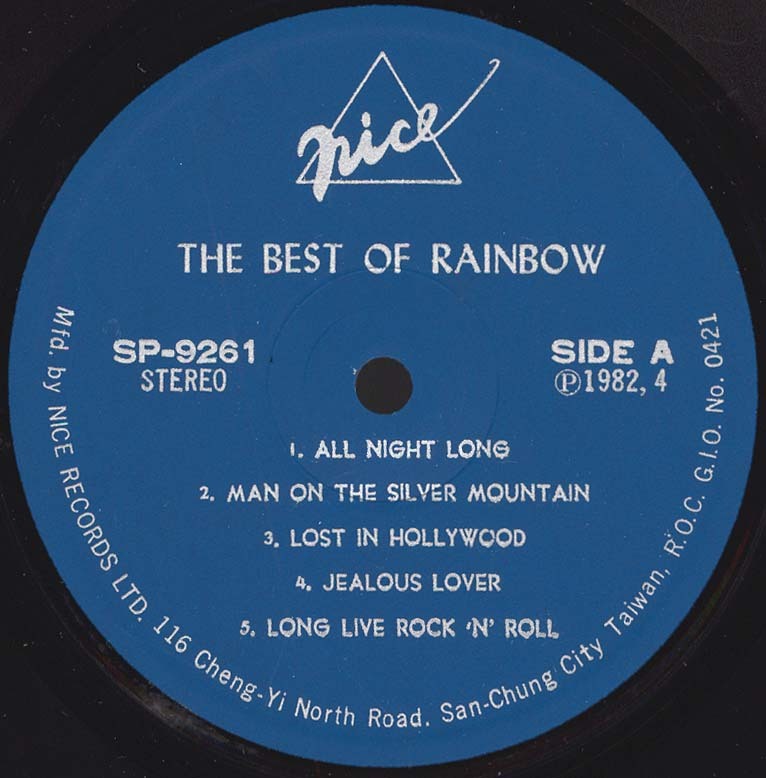 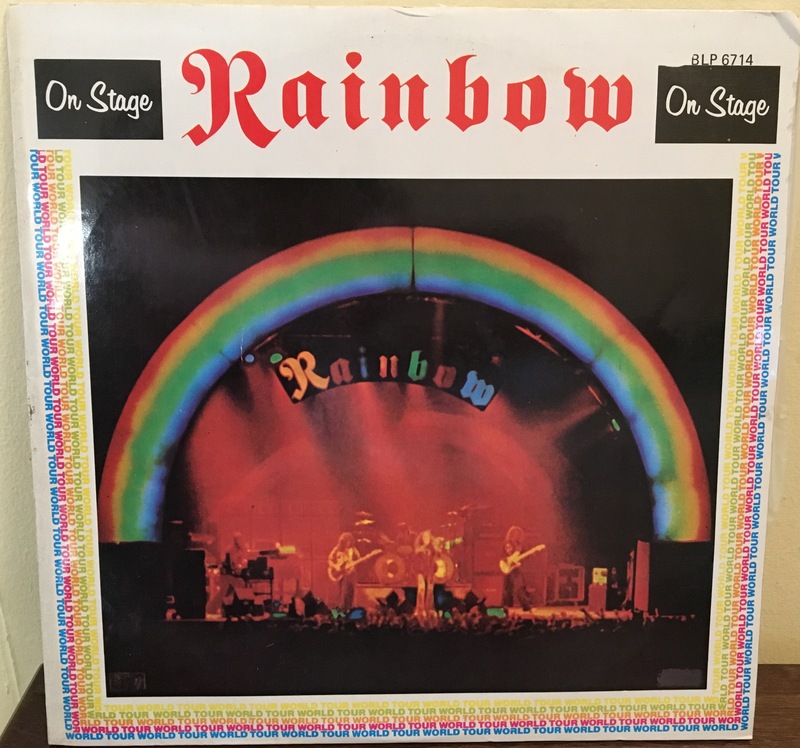 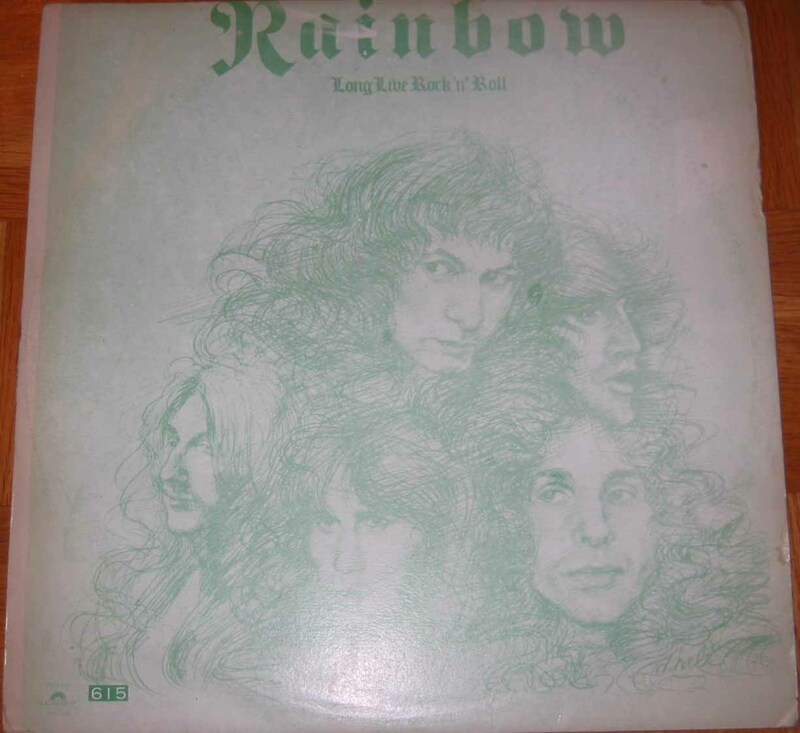 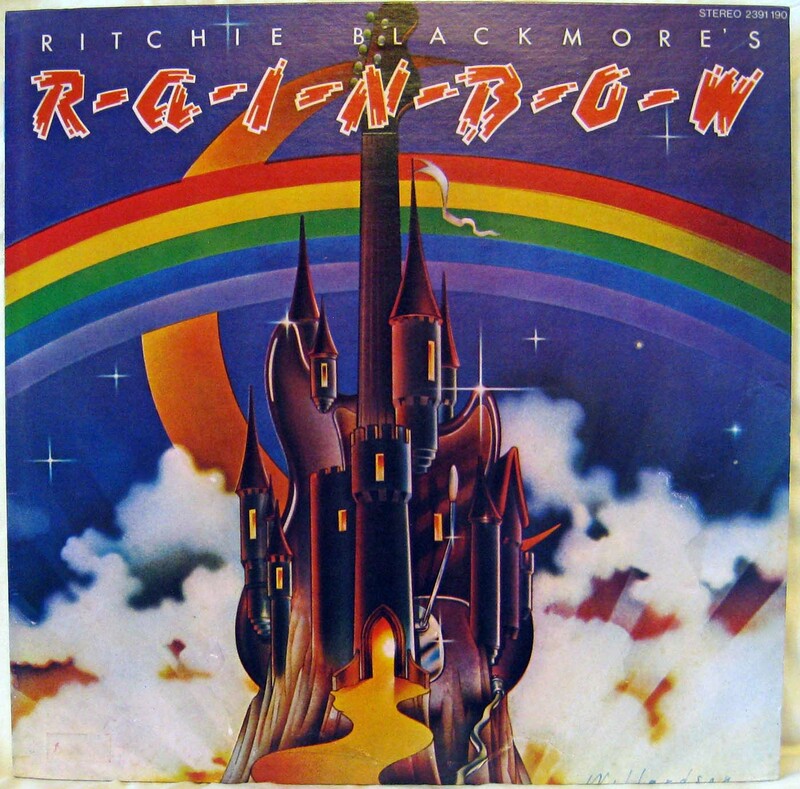 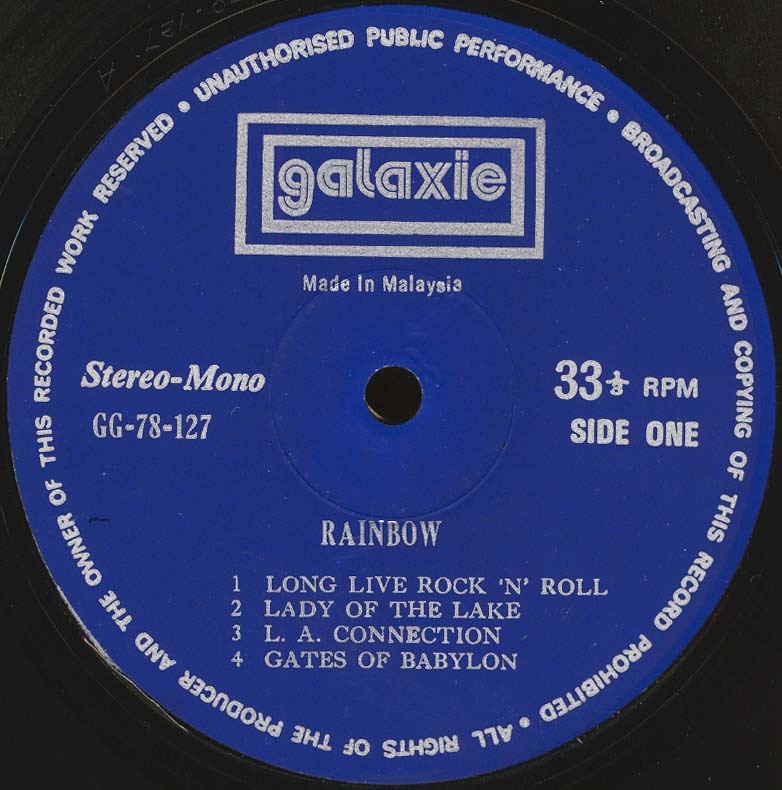 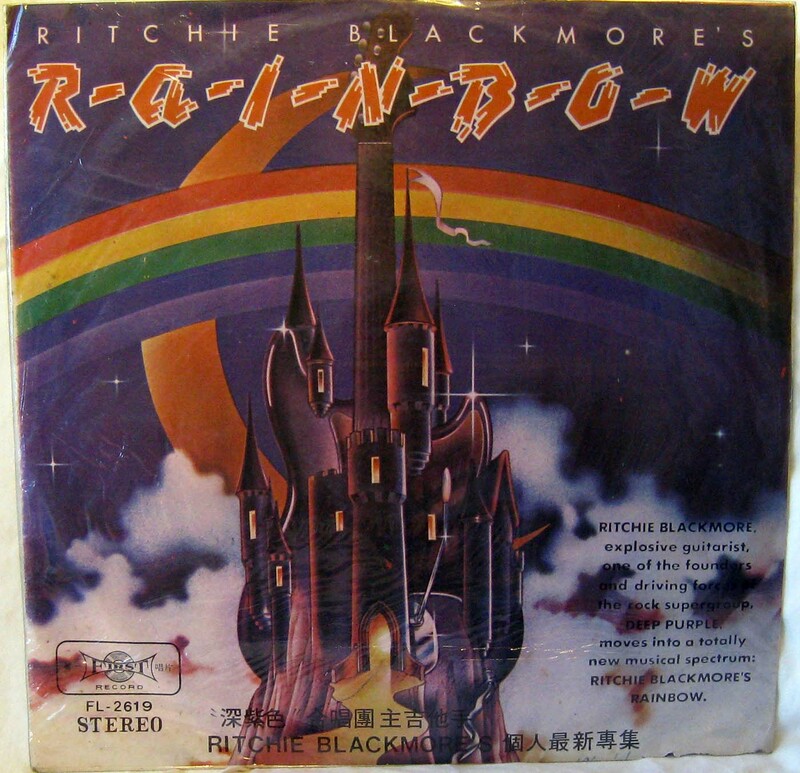 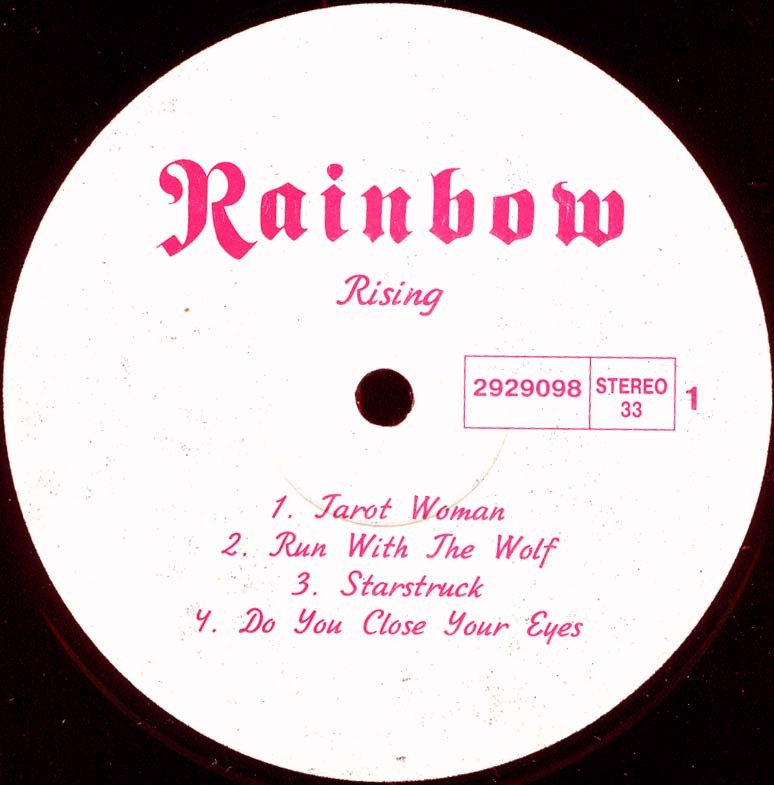 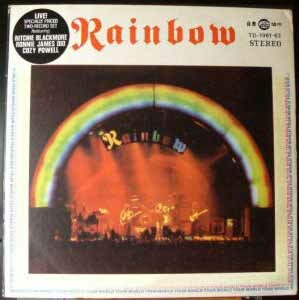 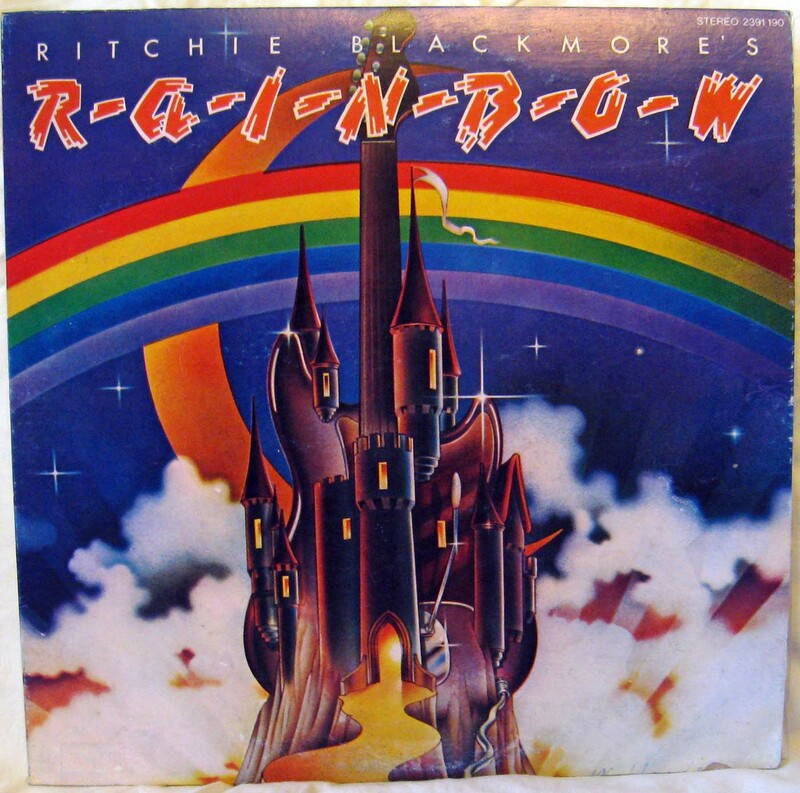 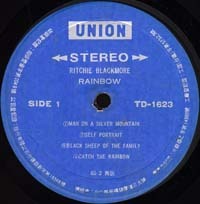 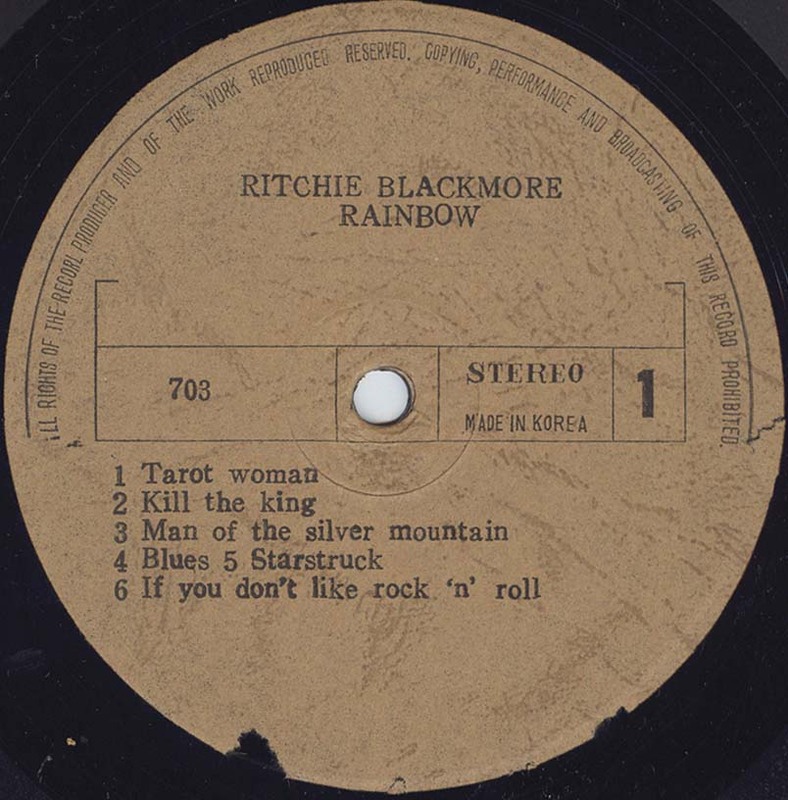 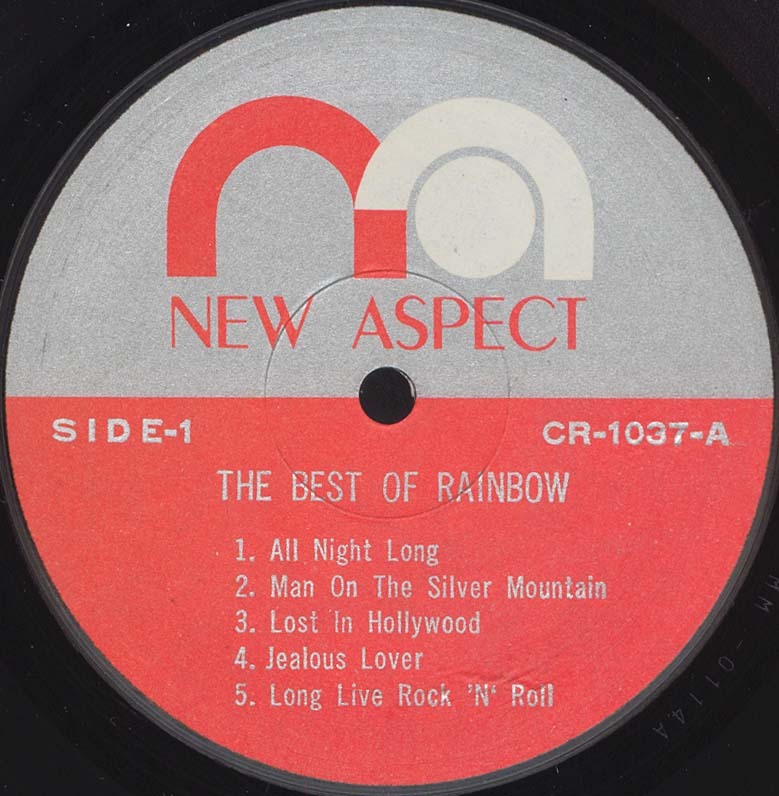 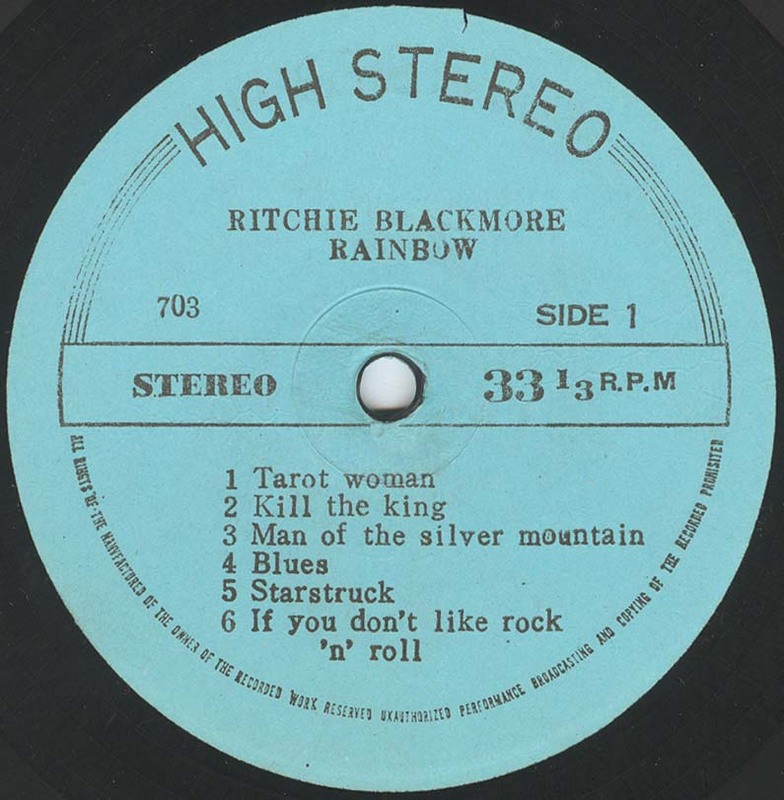 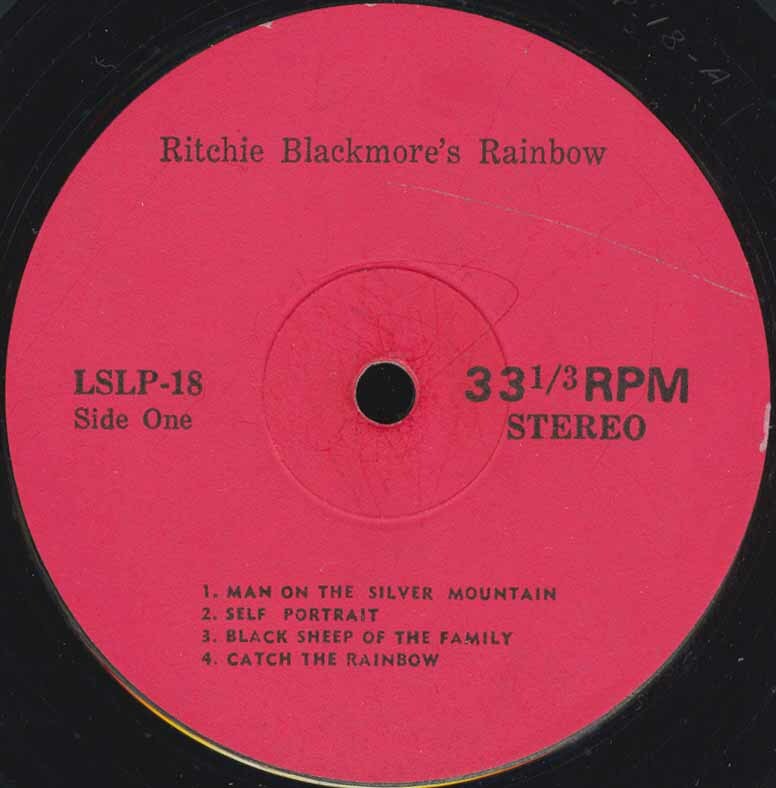 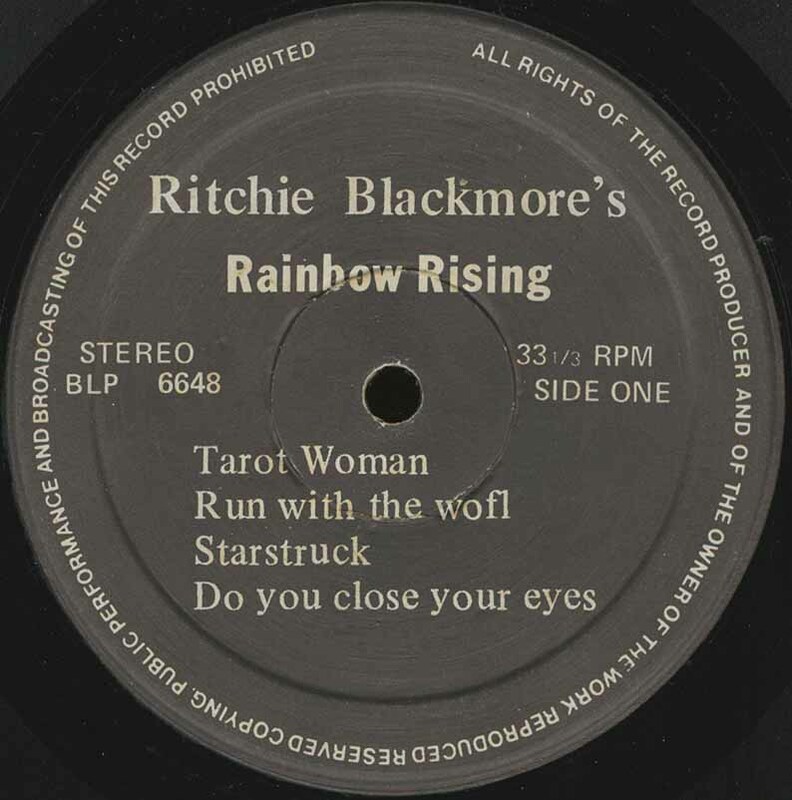 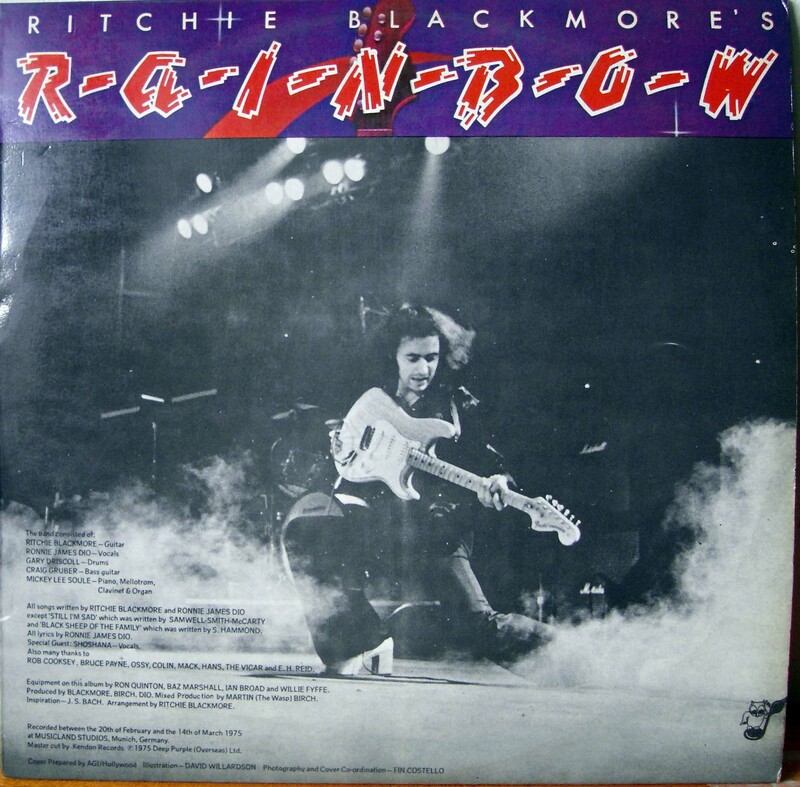 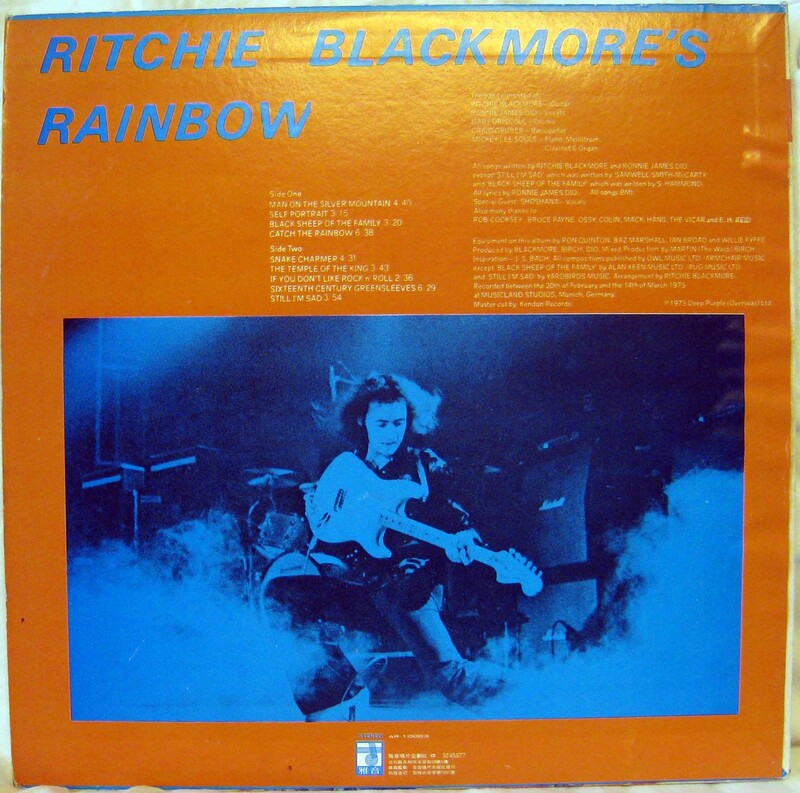 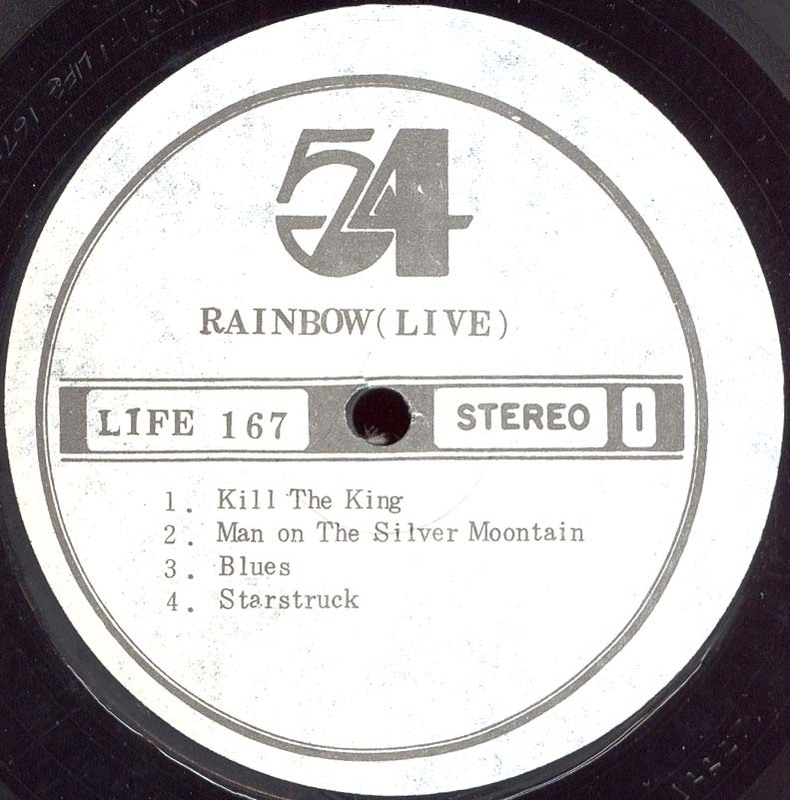 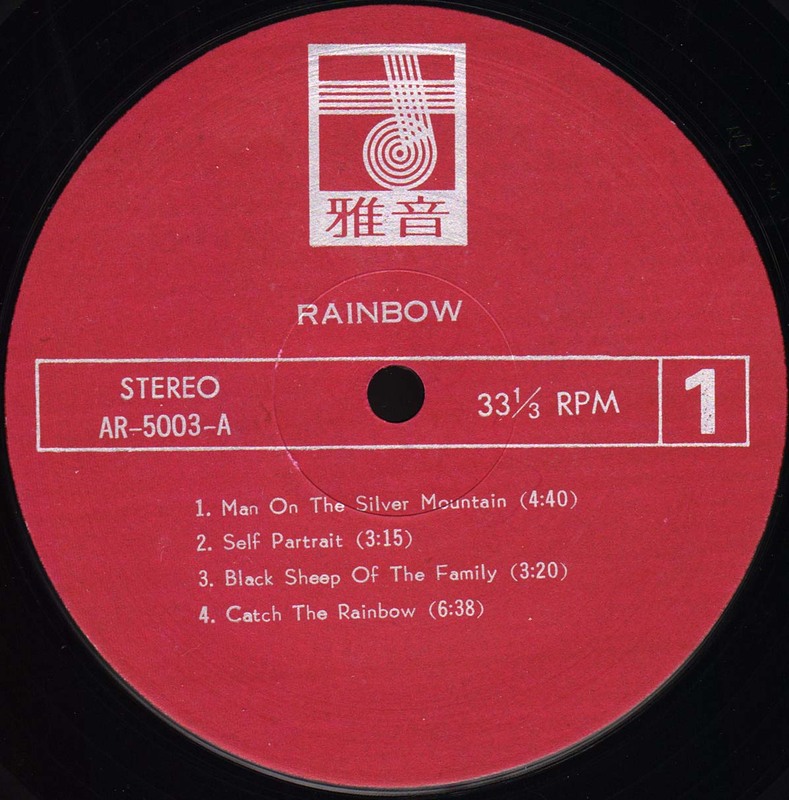 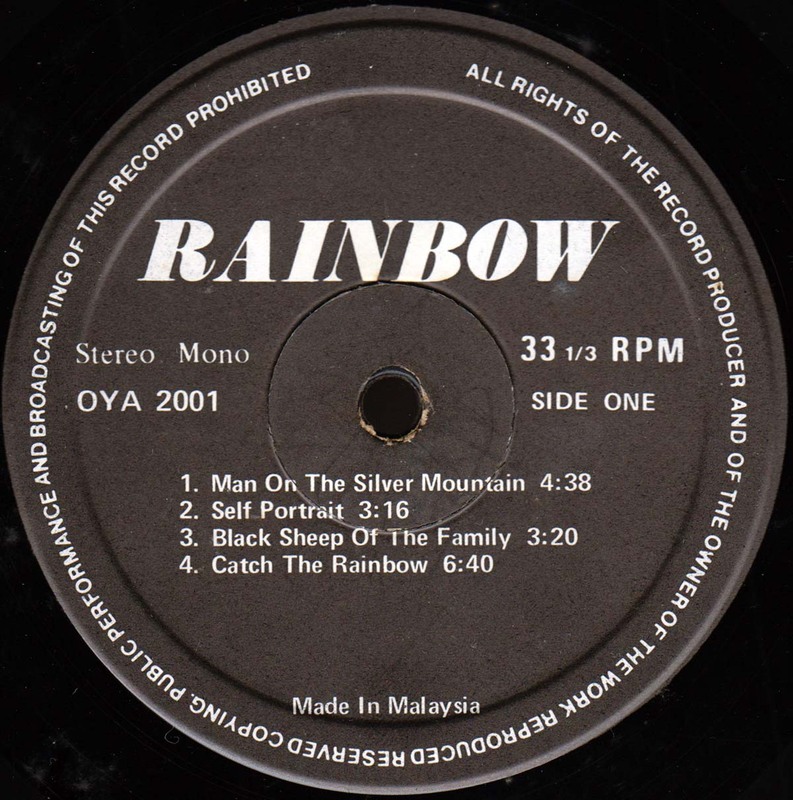 These are illegal, unauthorized copies of Rainbow LPs. 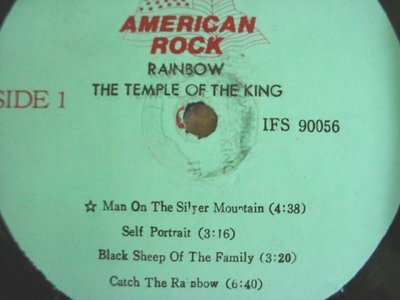 - Counterfeit release, titled as "The Temple Of The King". 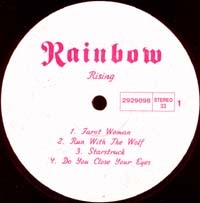 - Click here for B side label picture. 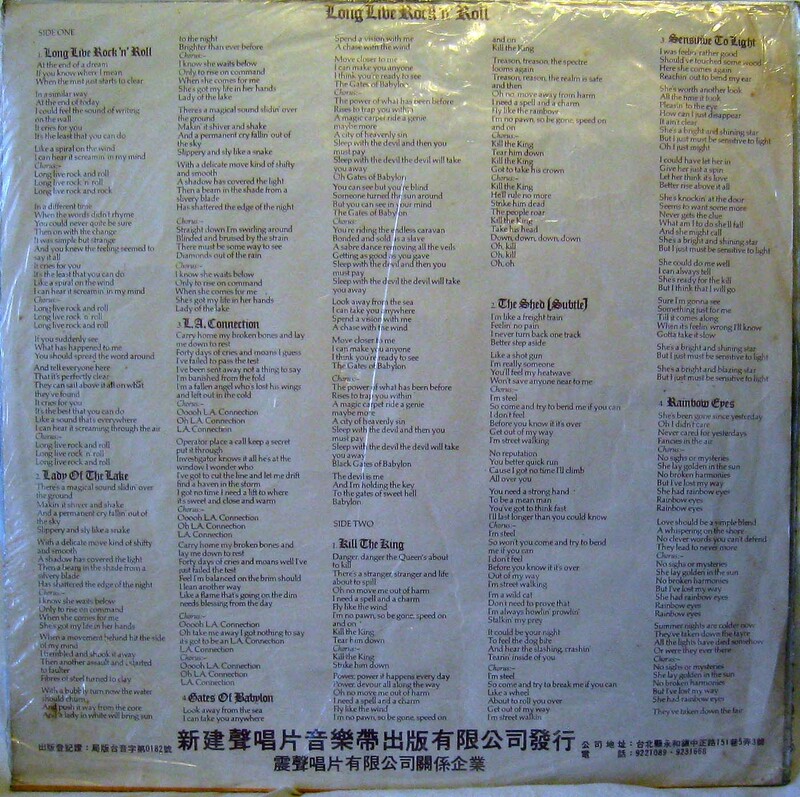 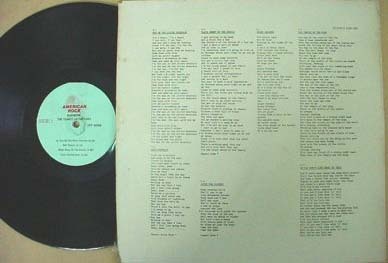 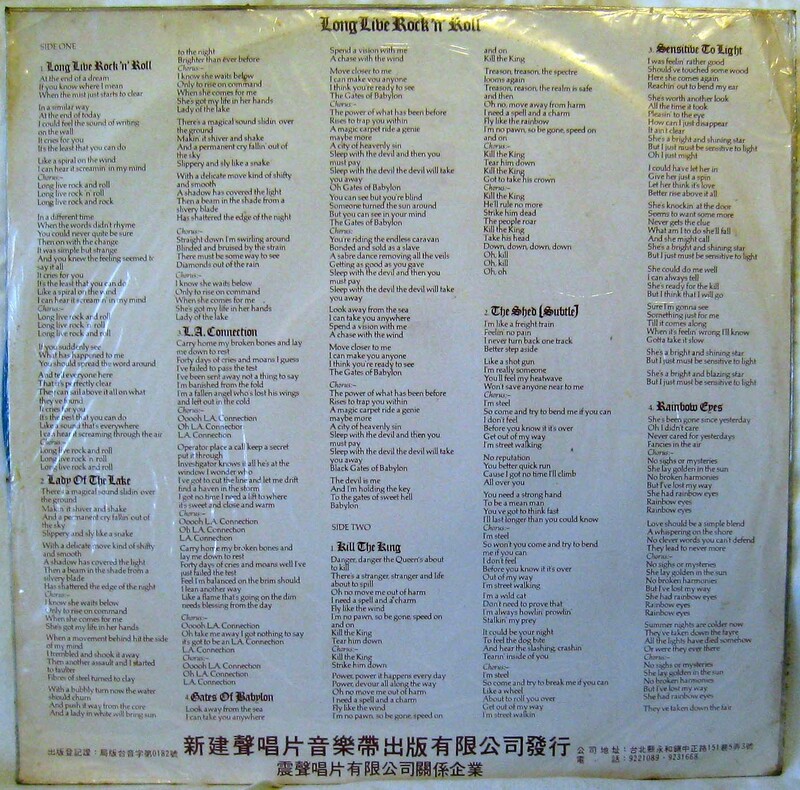 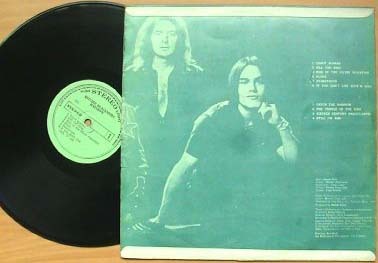 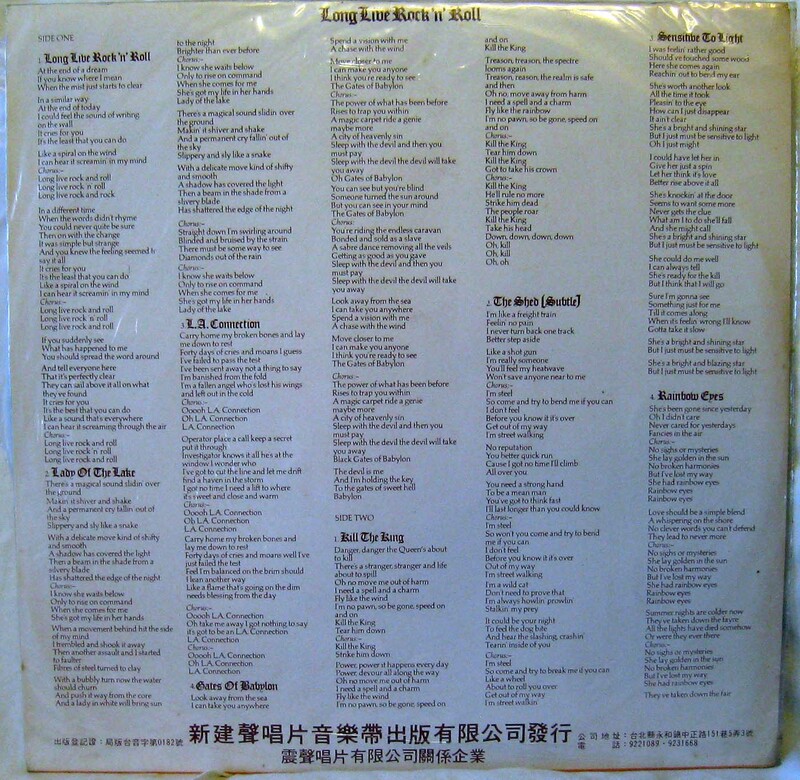 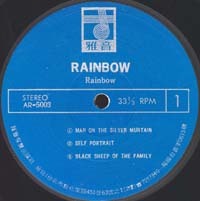 First Record FL-2619, Taiwan, 1975? 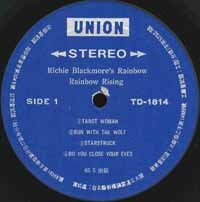 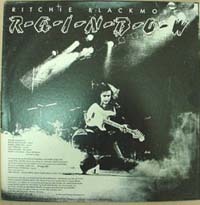 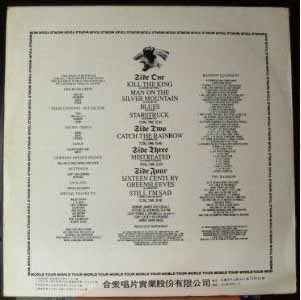 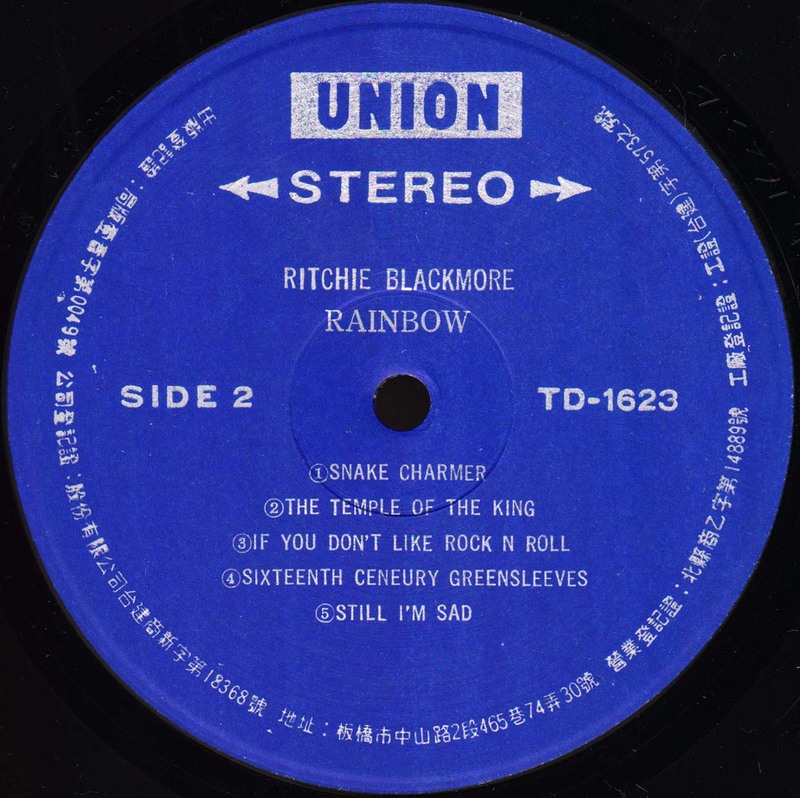 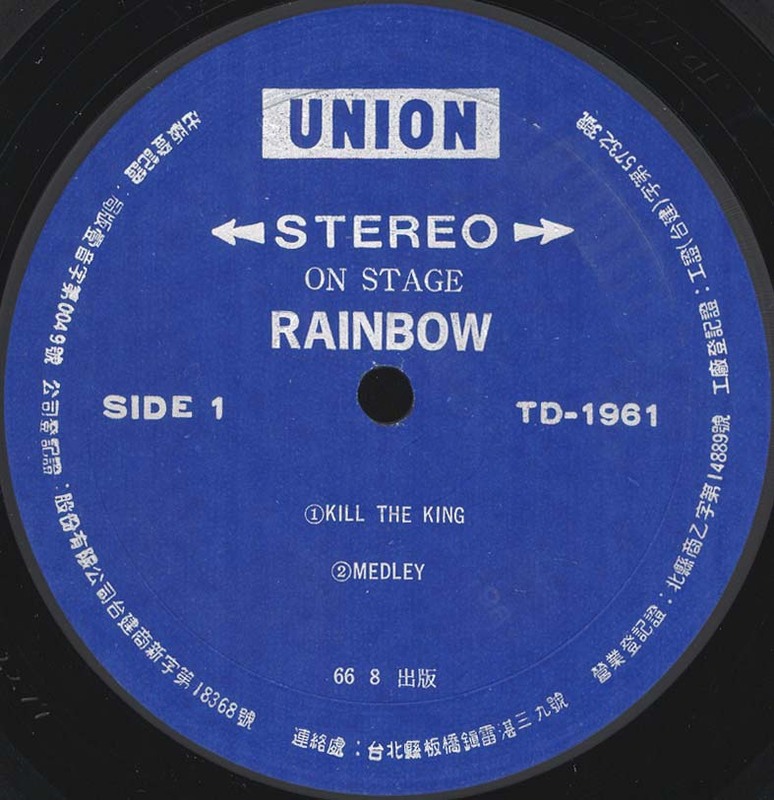 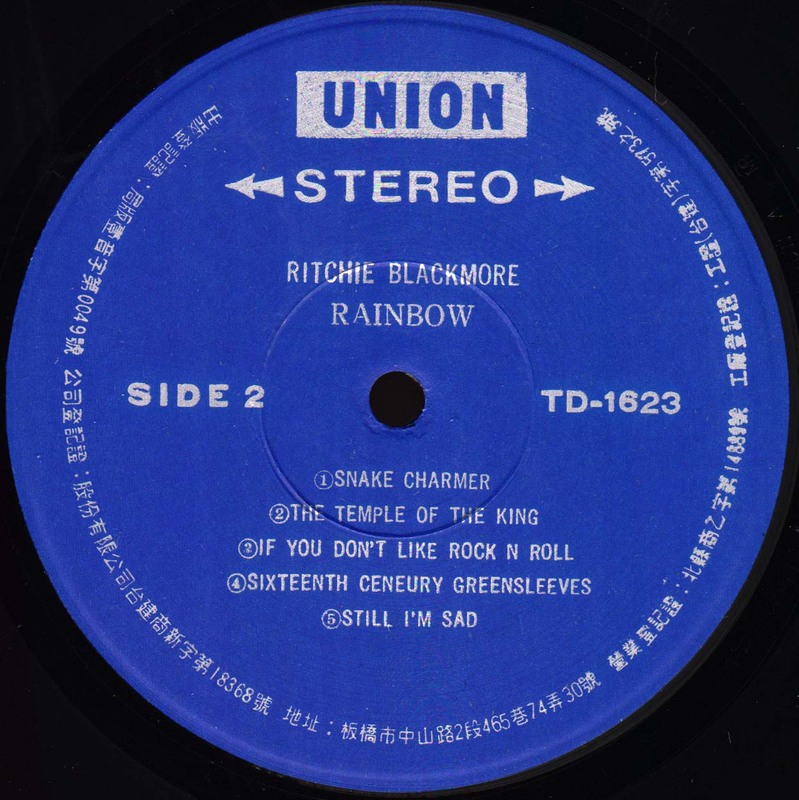 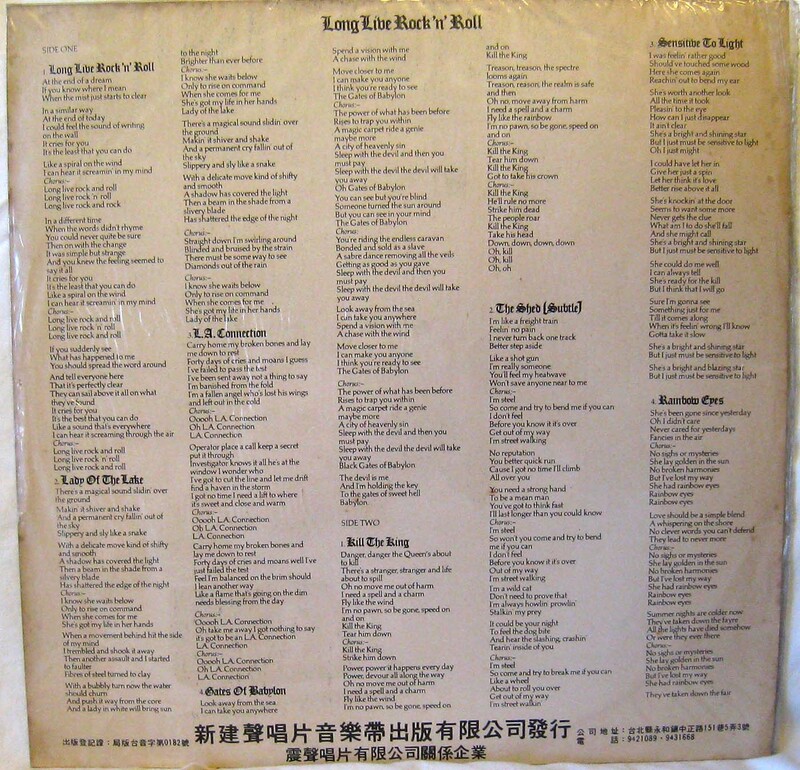 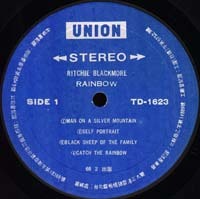 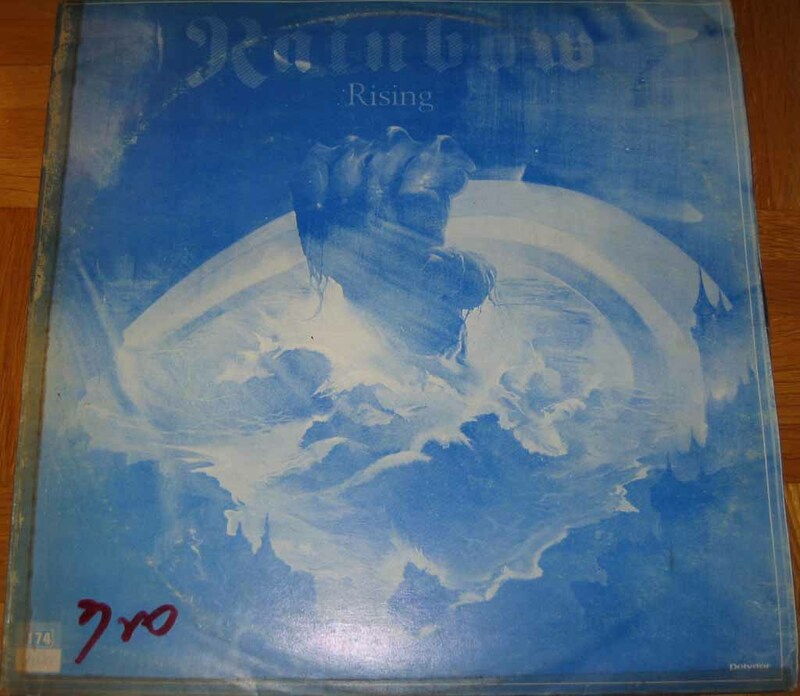 Union Records TD-1623, Taiwan, 1975? 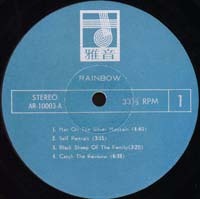 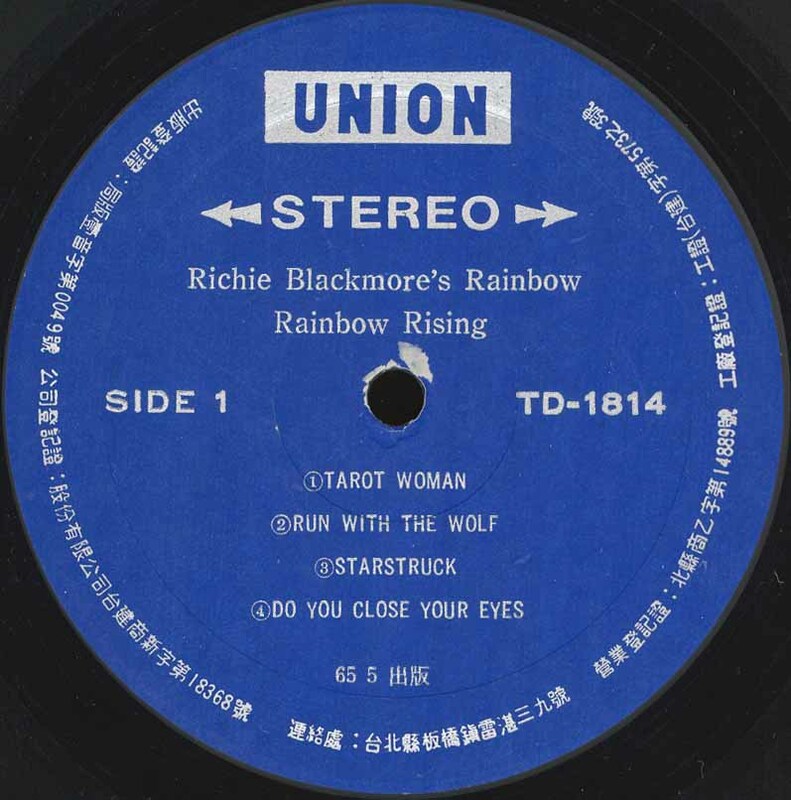 Union Records TD-1623, Taiwan, February 1976? Ya-Yin Records AR-5003, Taiwan, 1975? 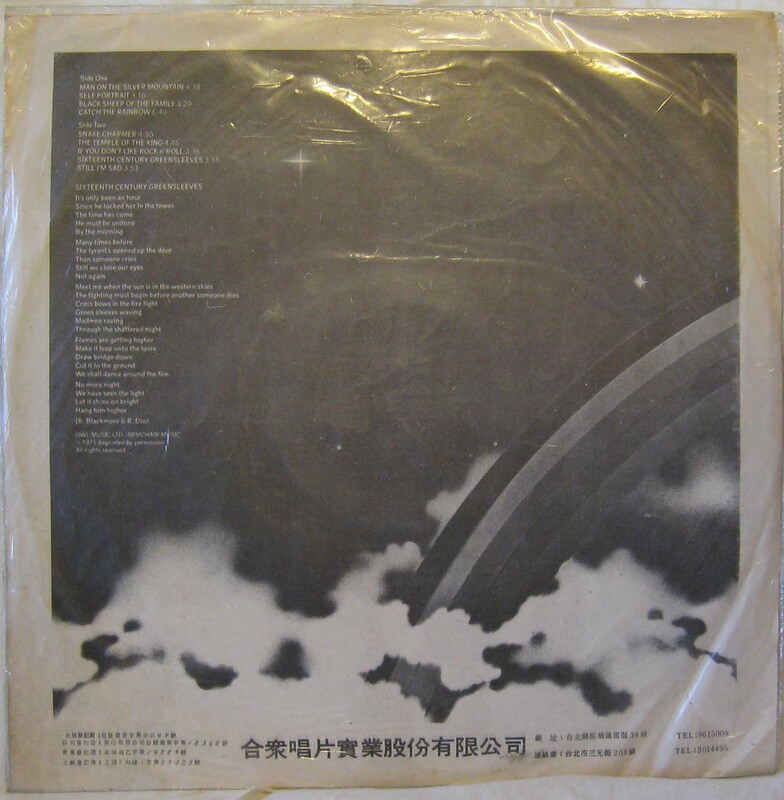 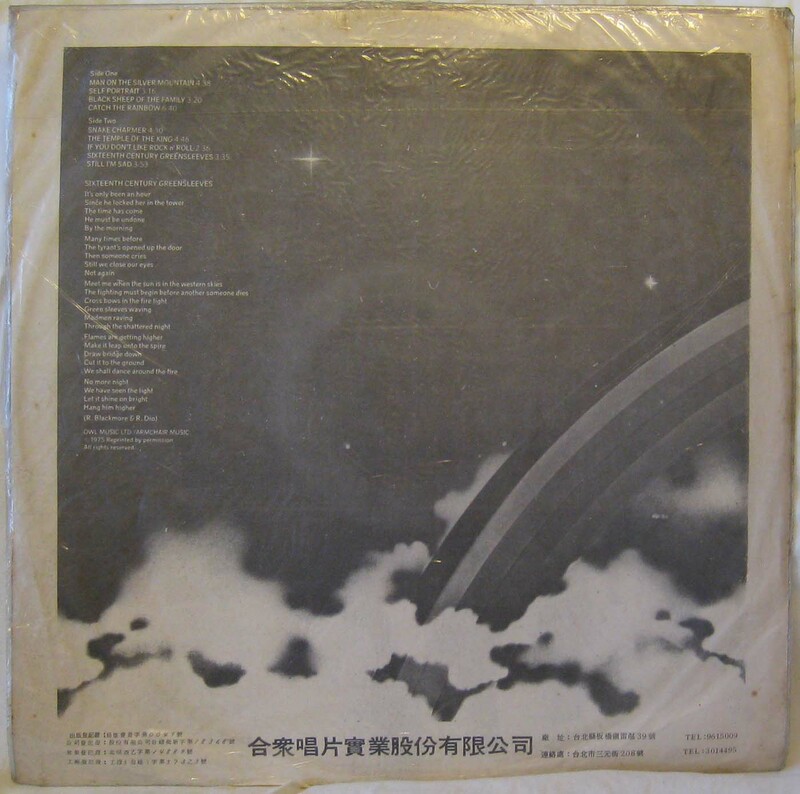 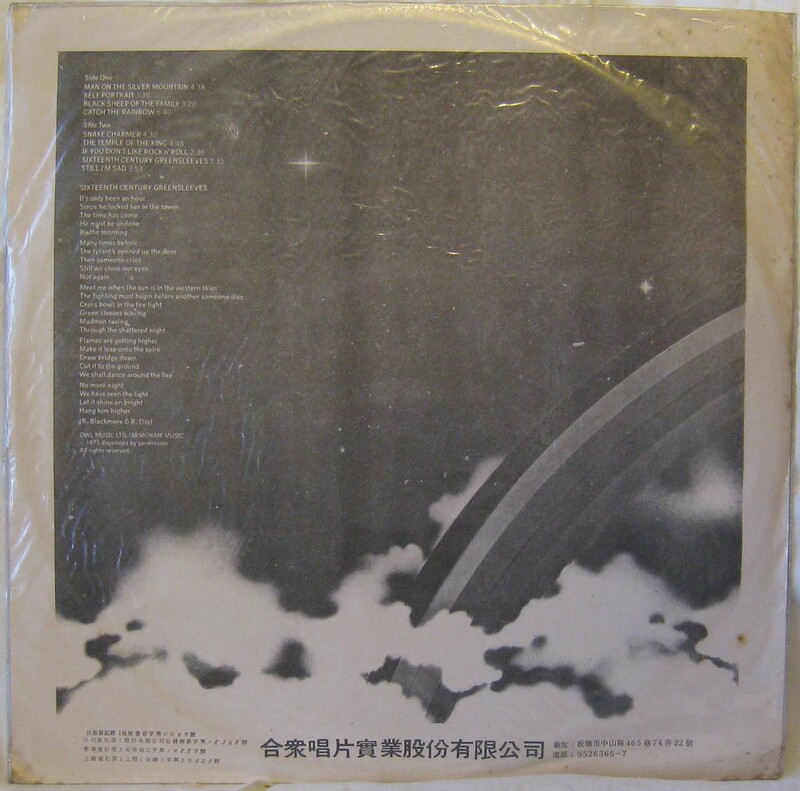 Ya-Yin Records AR-10003, Taiwan, 1975? 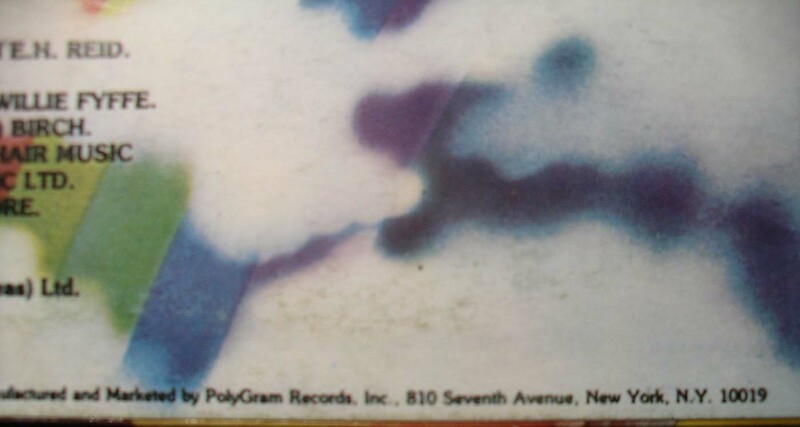 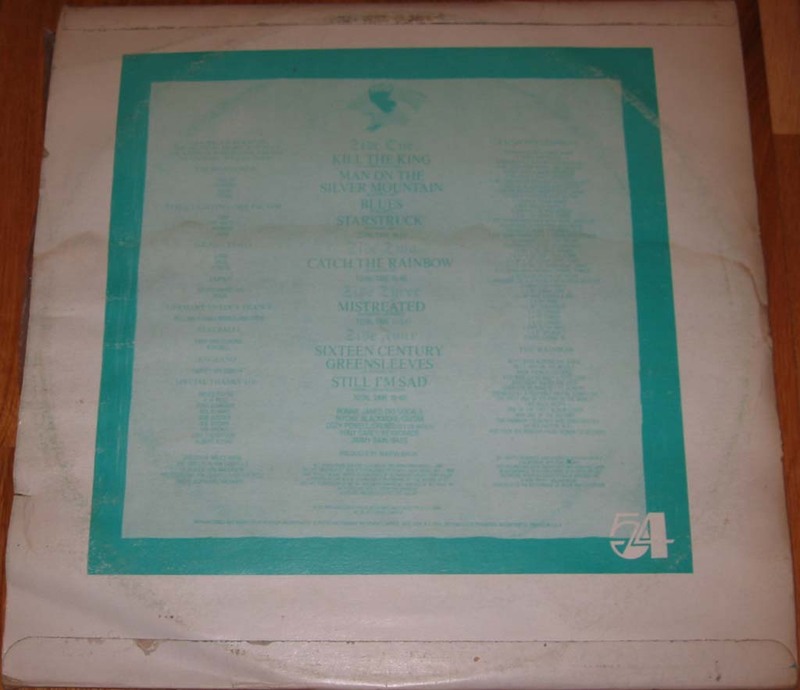 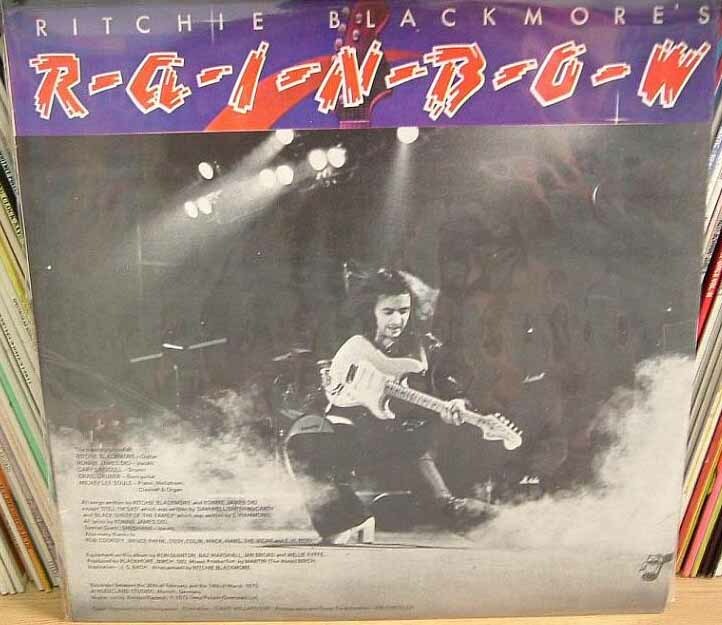 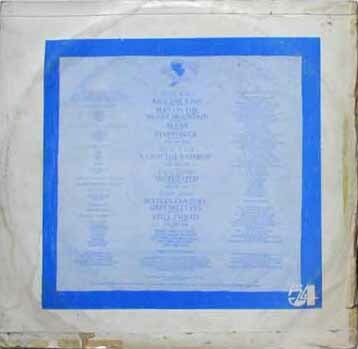 - Most likely a counterfeit release, made to imitate the US pressing. 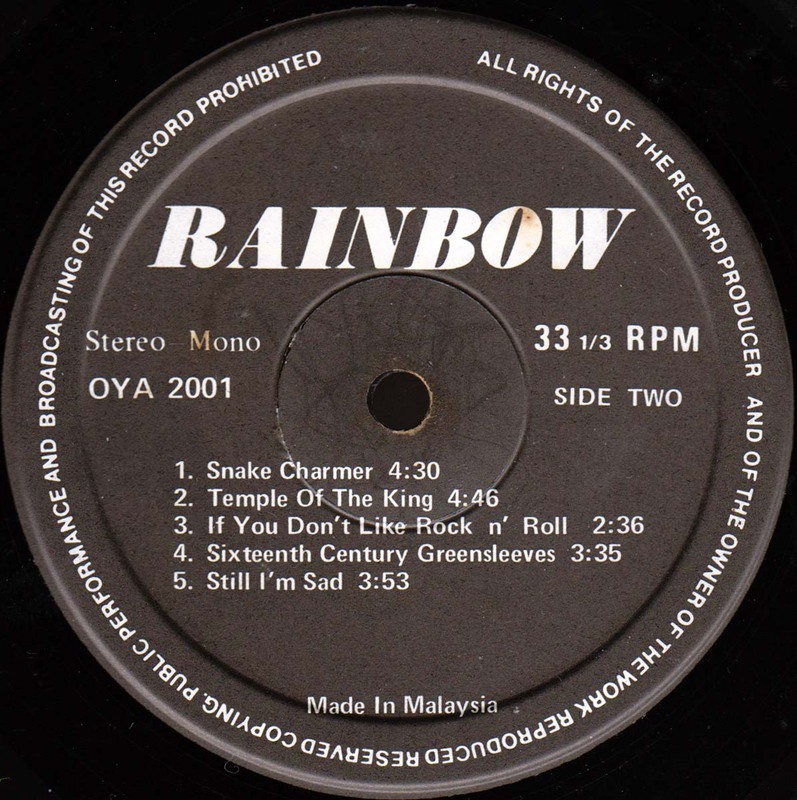 Green labels. 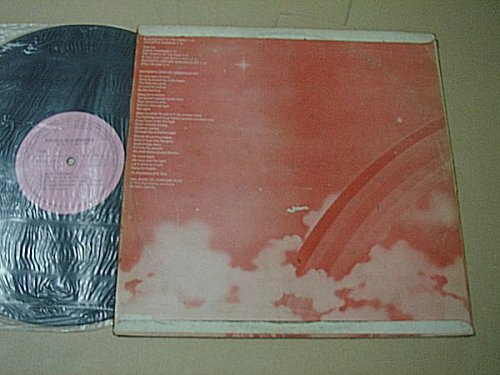 Click here for back sleeve picture. 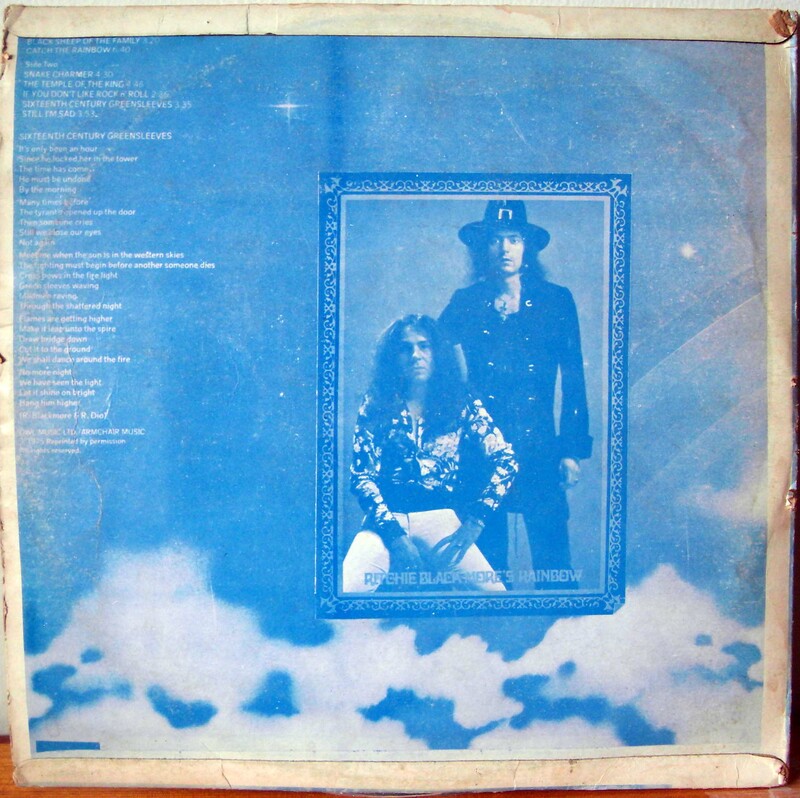 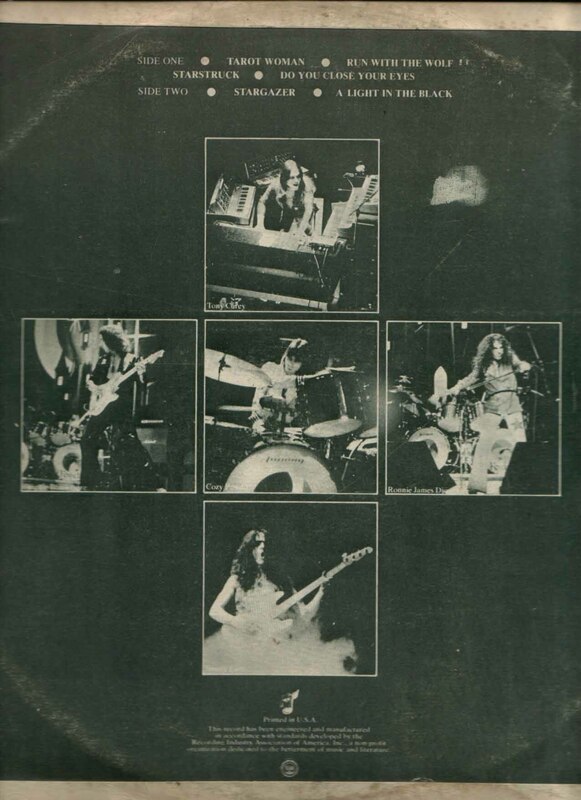 Click here for another back sleeve picture. 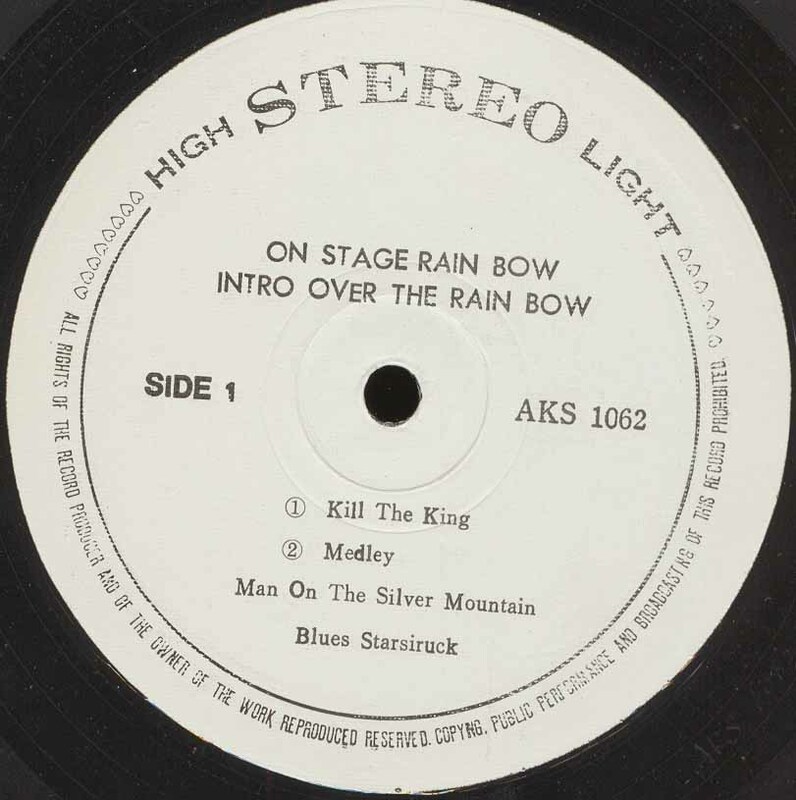 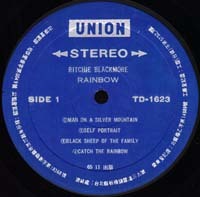 Click here for side B label picture. 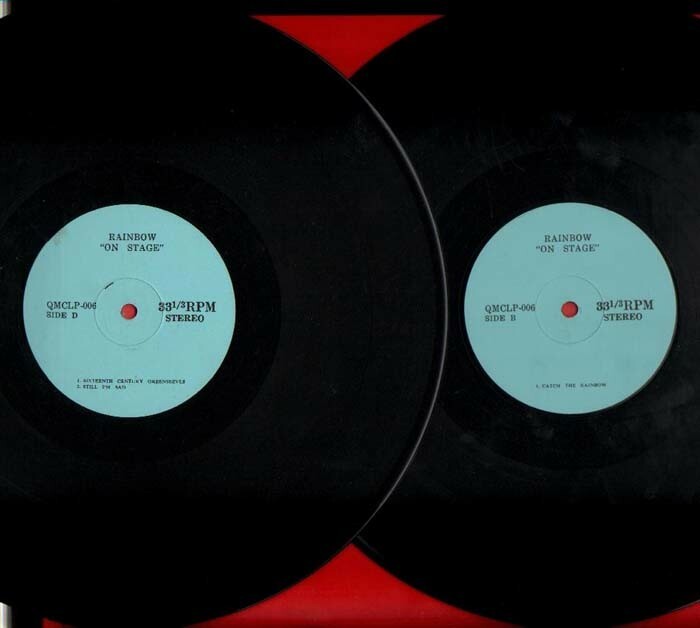 - Counterfeit release, release year not known. 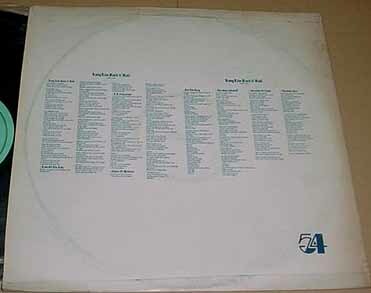 Light blue labels. 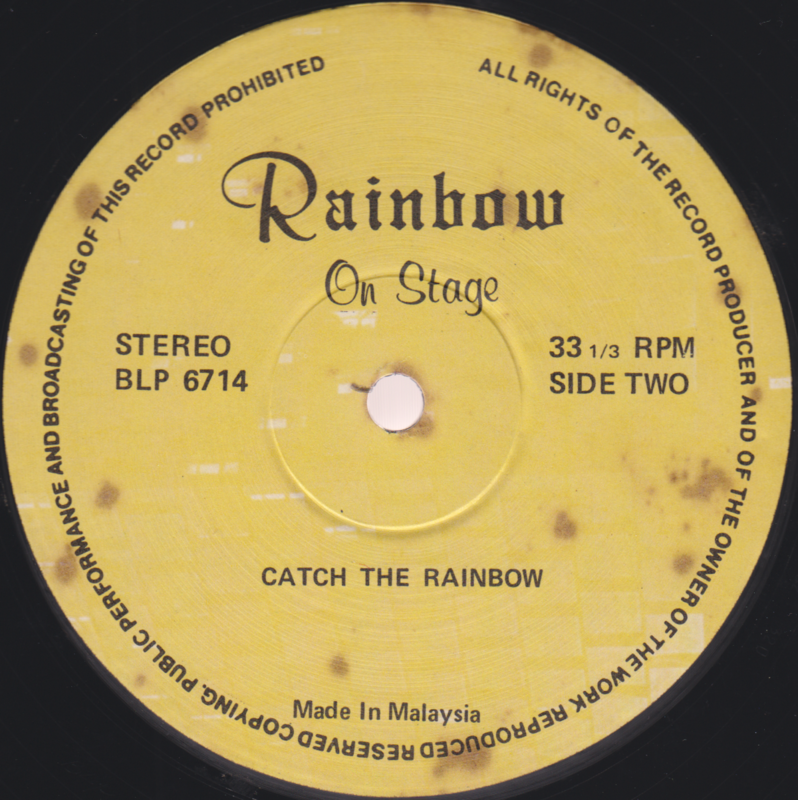 - Might actually be Singaporean release? 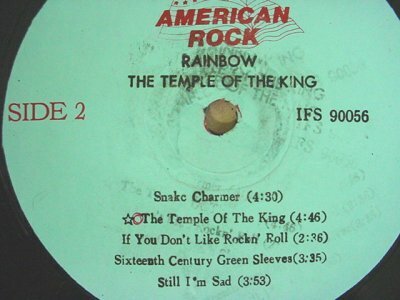 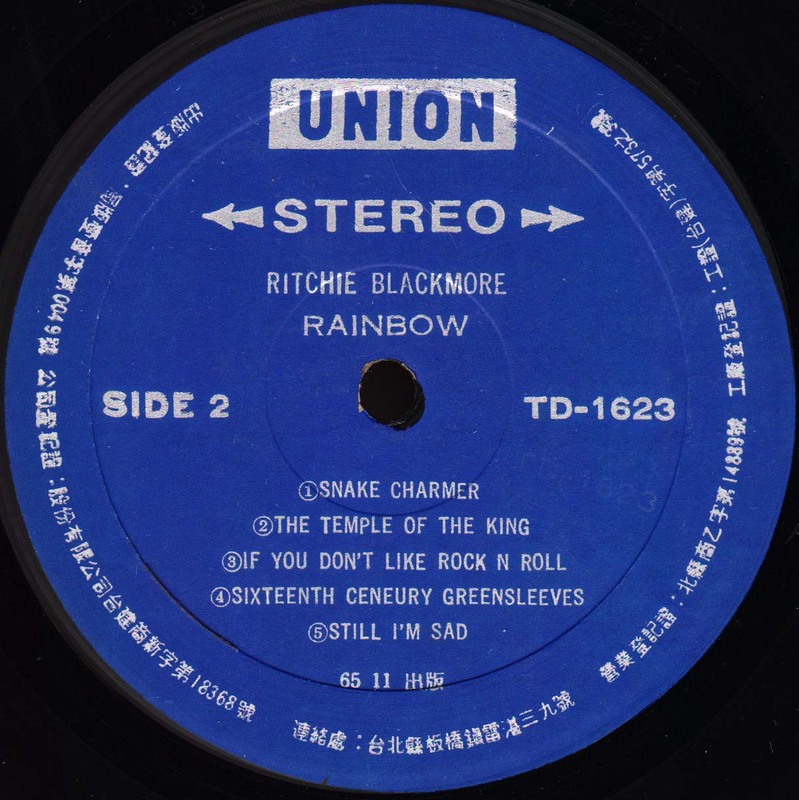 - Includes Temple Of The King on B side. 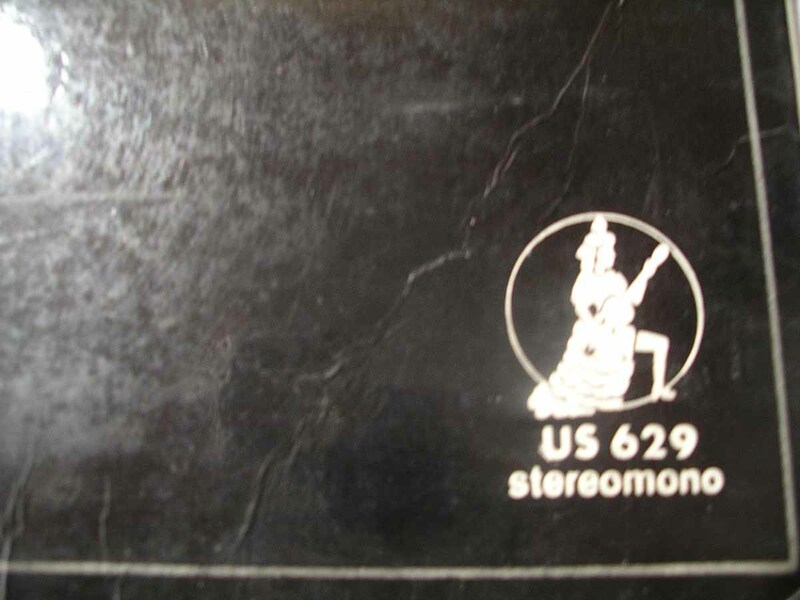 - Sleeve has catalog number of BLP 6714, same as the Malaysian counterfeit catalog number. 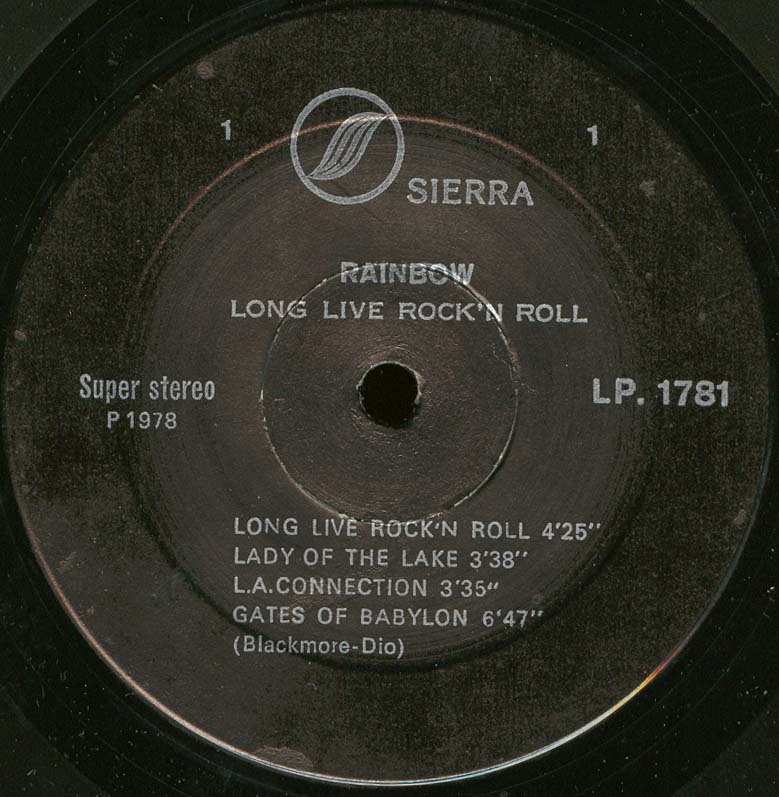 Labels have the QMCLP-006 catalog number. 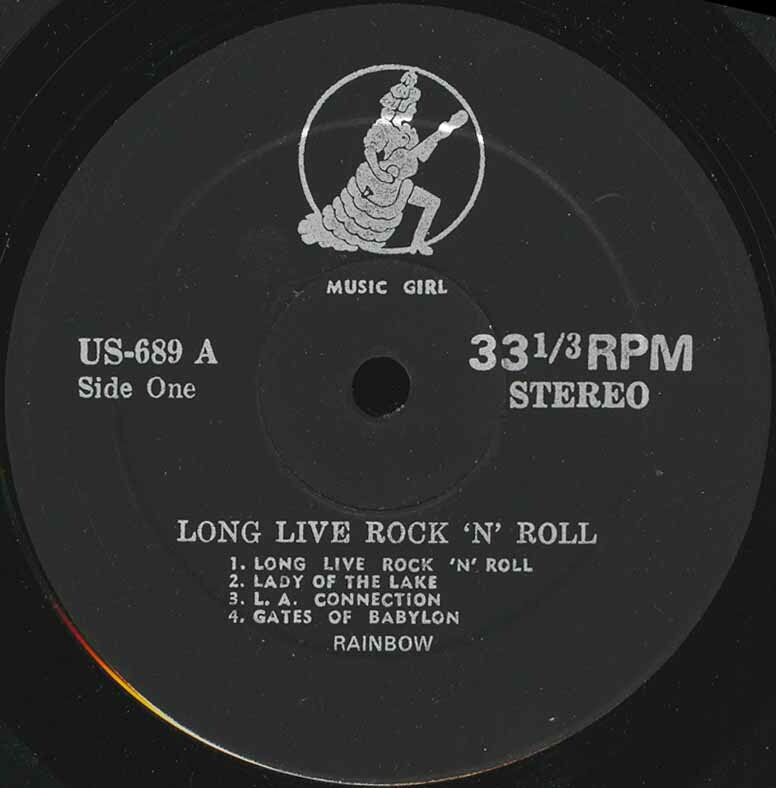 Music Girl US 675, Malaysia, 1977? 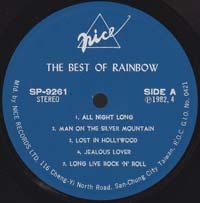 - Might actually be from Singapore? 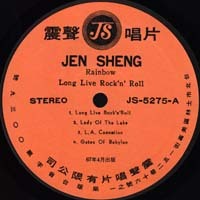 Jen Sheng JS-5275, Taiwan, 1977? 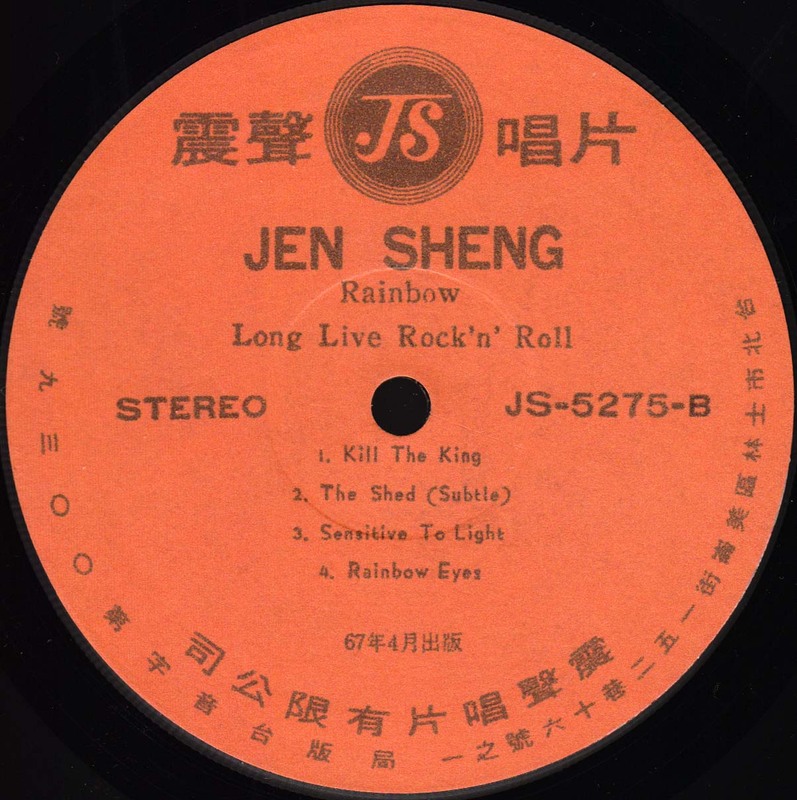 New Jen Sheng JS-5275, Taiwan, 1977? 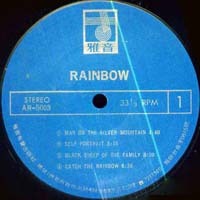 Nova MP 96, Taiwan, 1982? 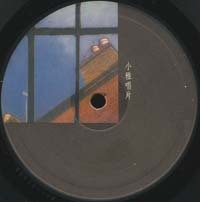 - Often claimed to be from Japan, but is likely from Sweden or perhaps Germany or UK. 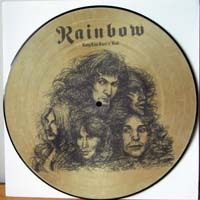 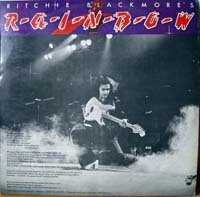 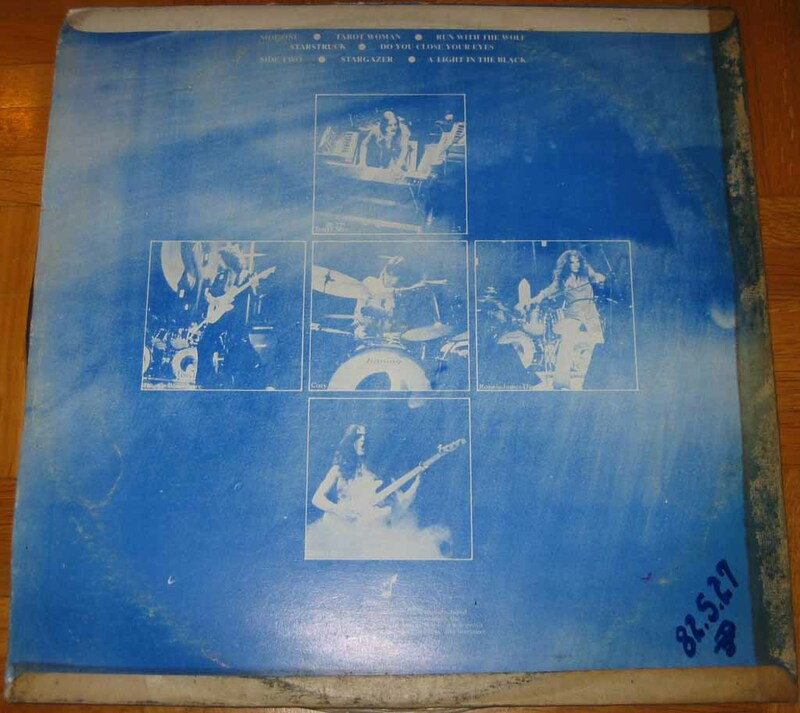 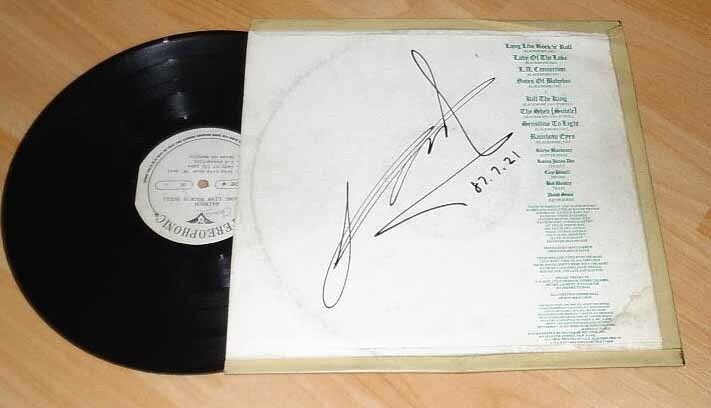 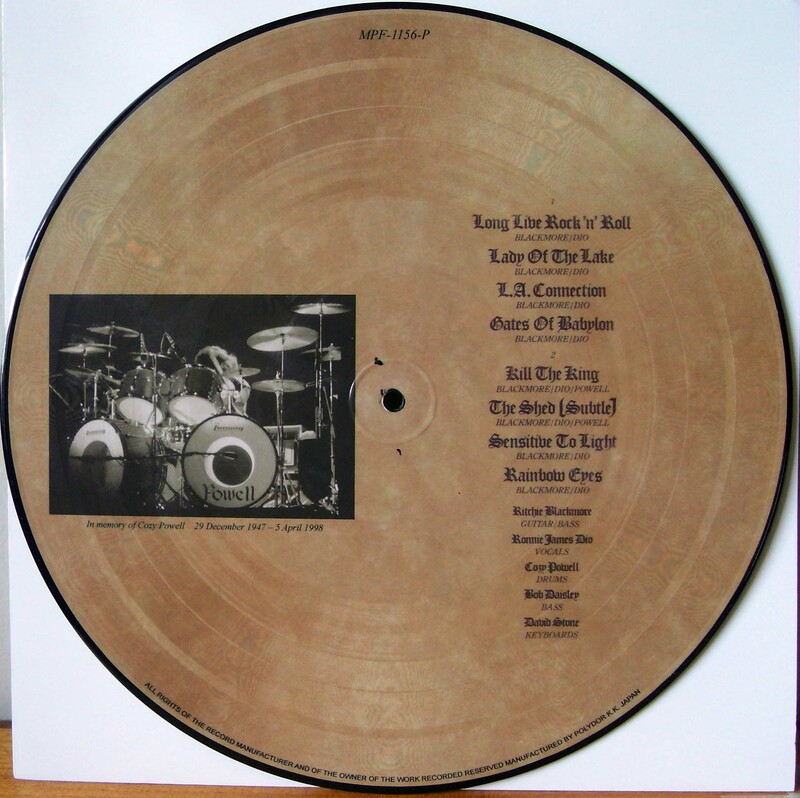 - Similarly claimed to be an official limited picture disc edition, but is actually a counterfeit. 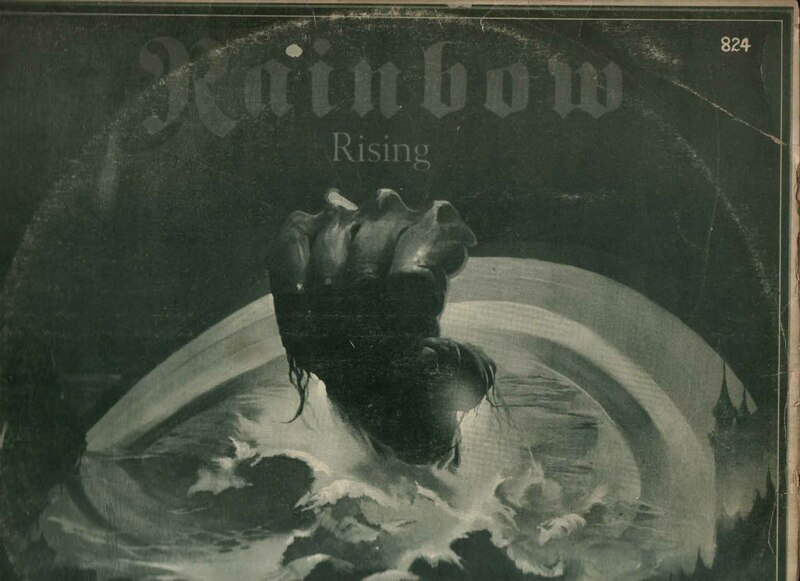 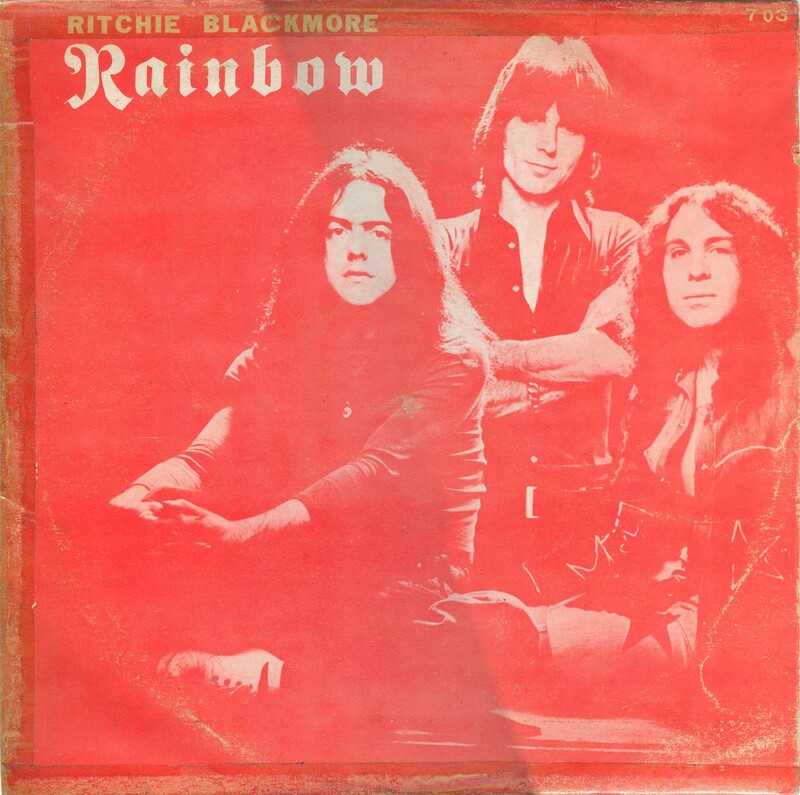 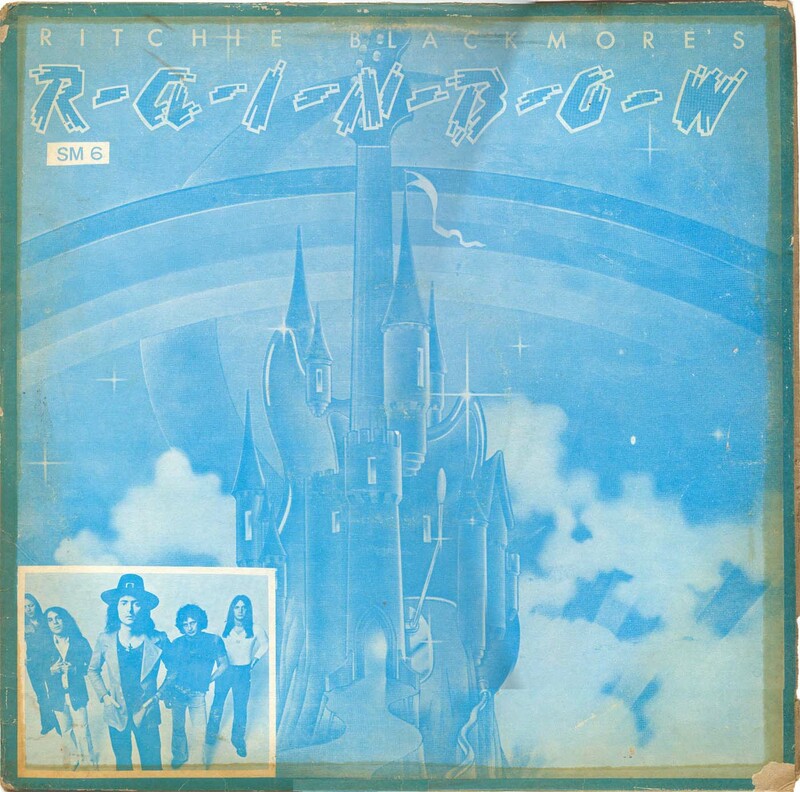 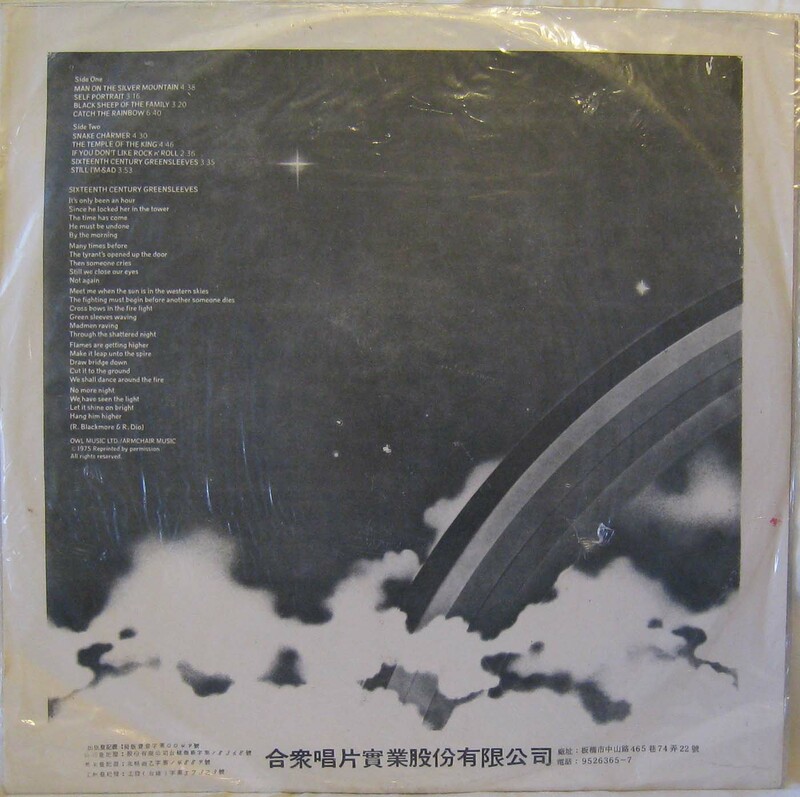 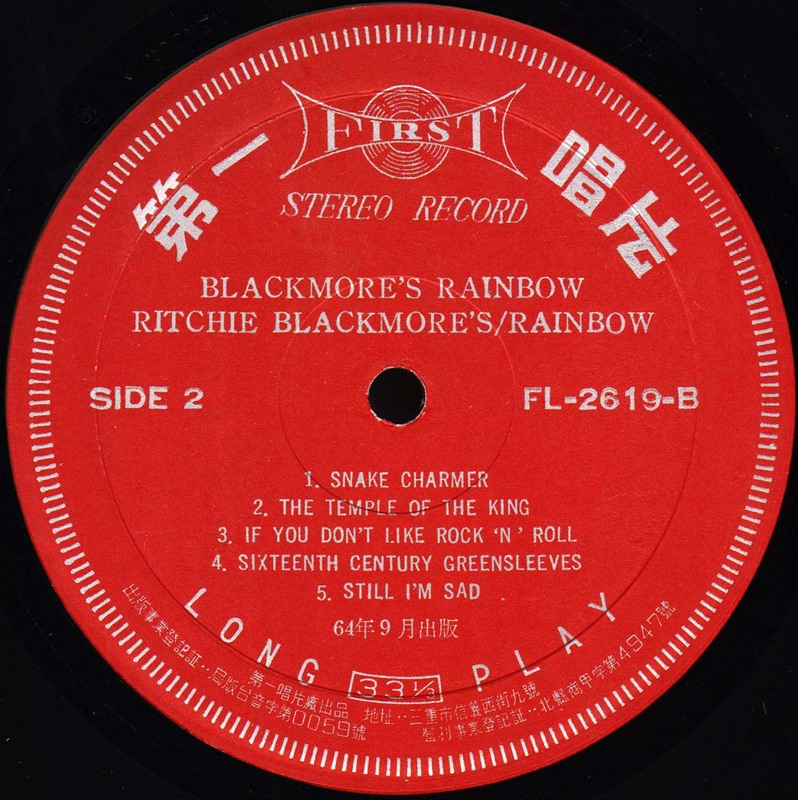 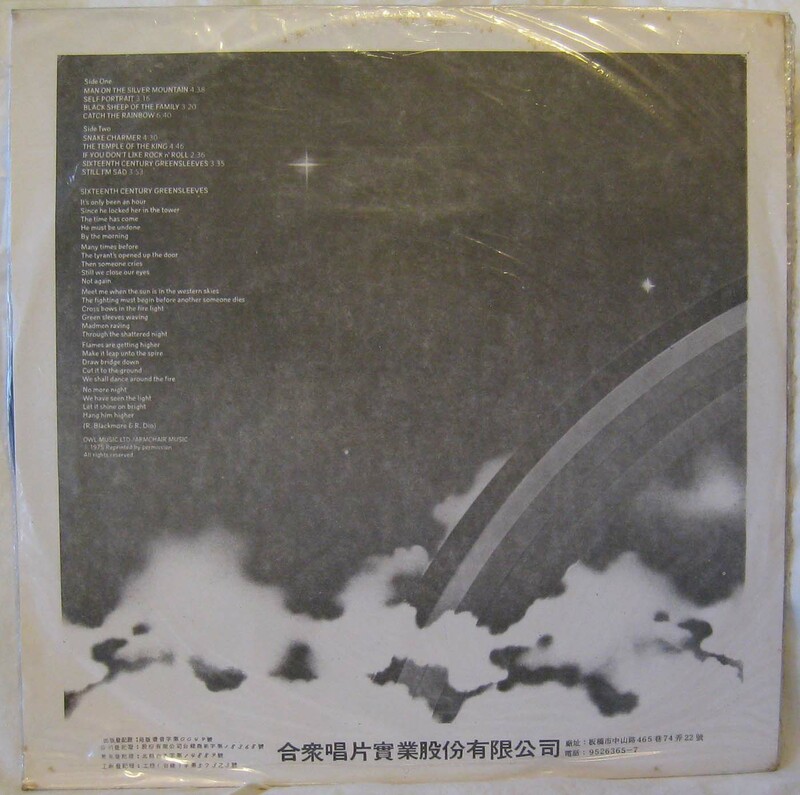 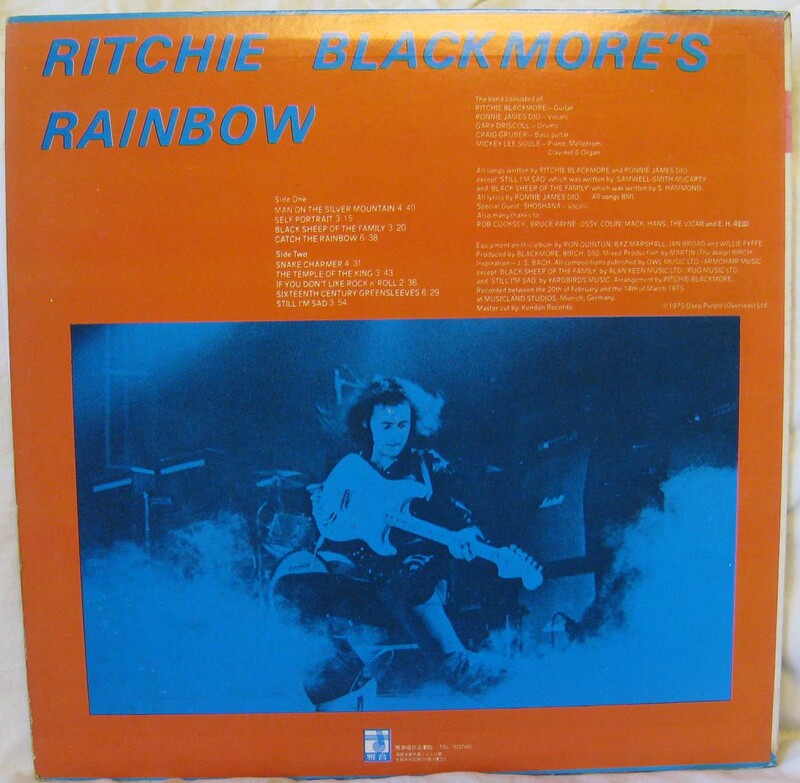 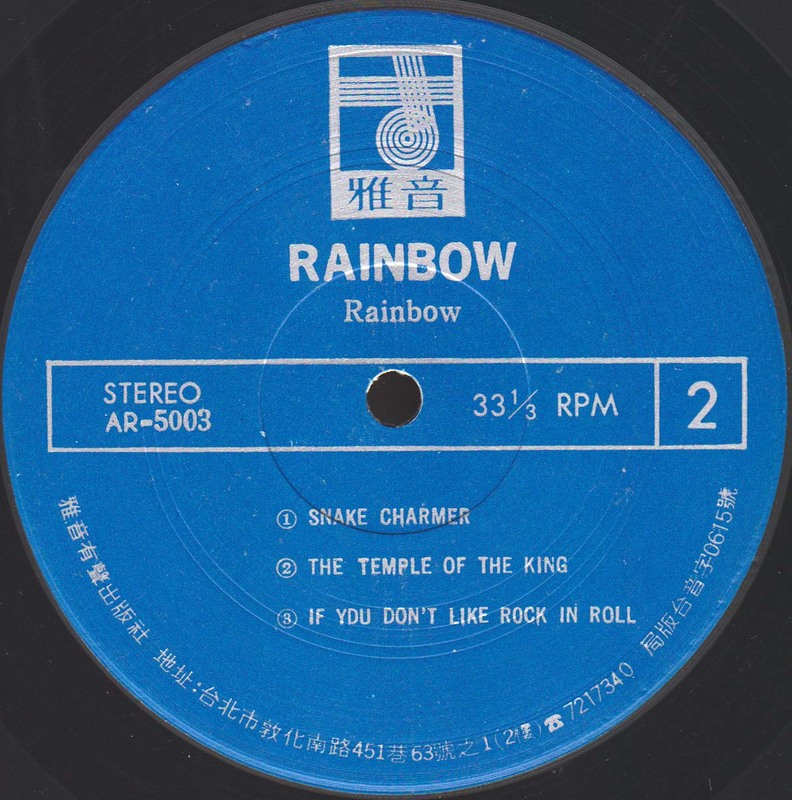 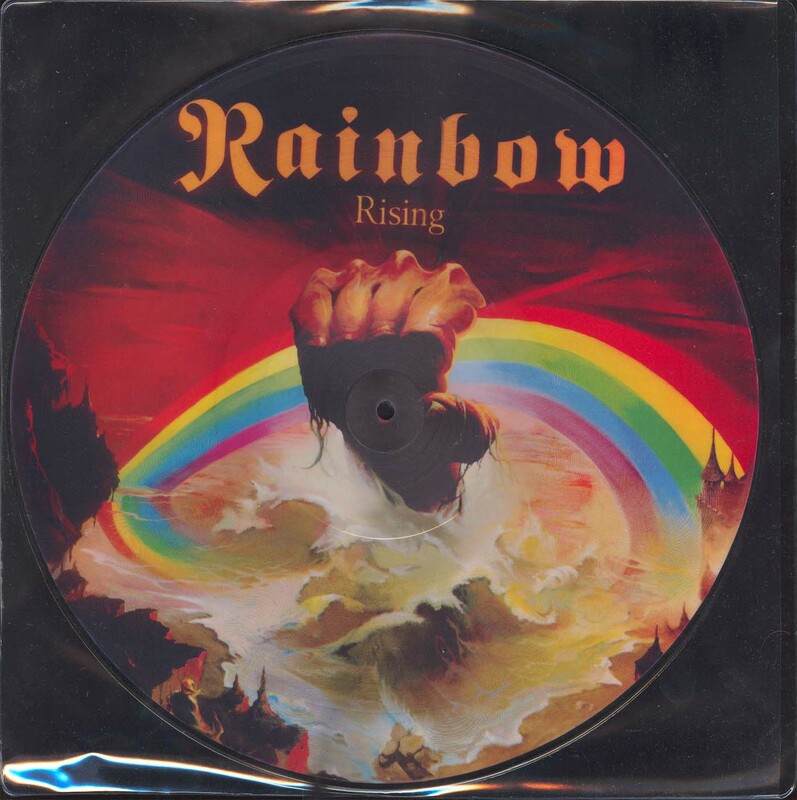 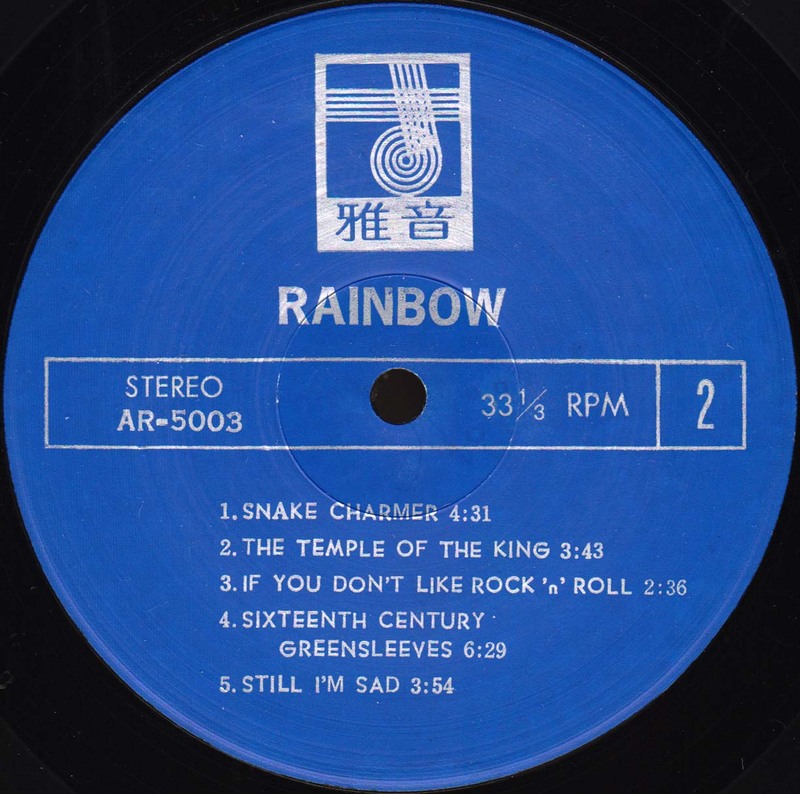 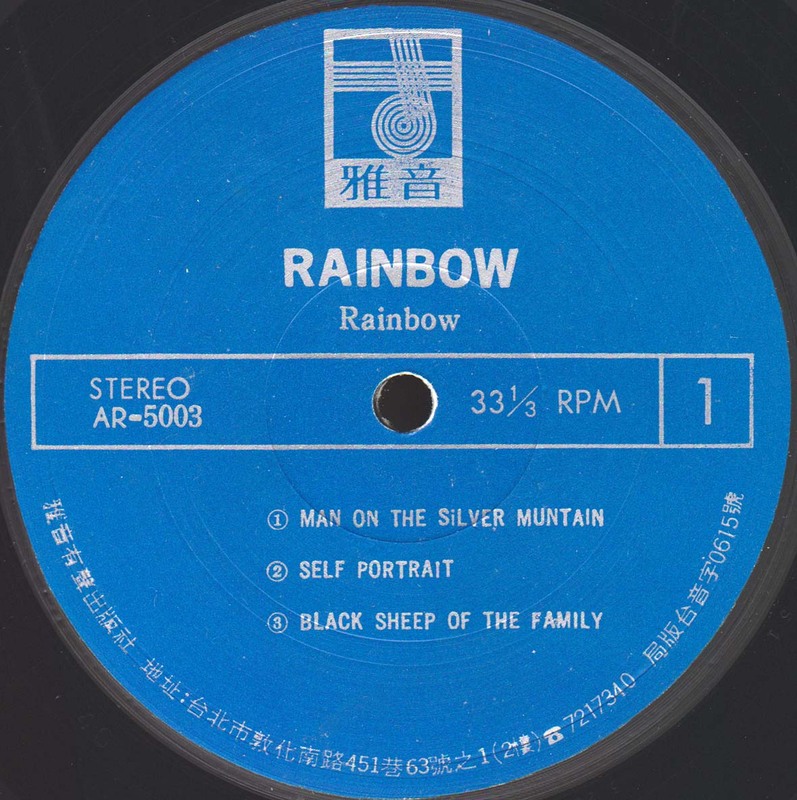 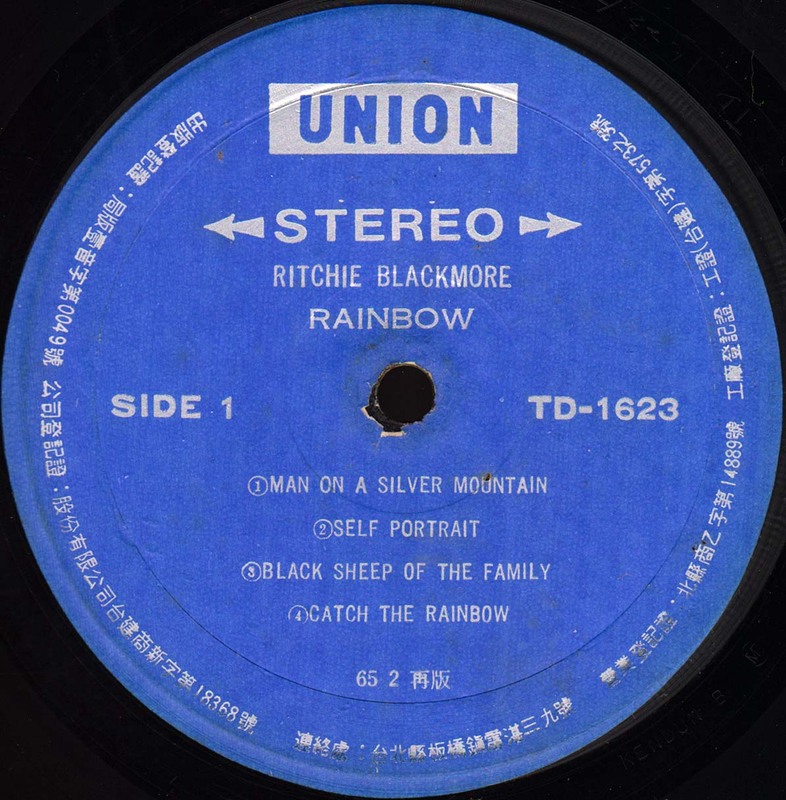 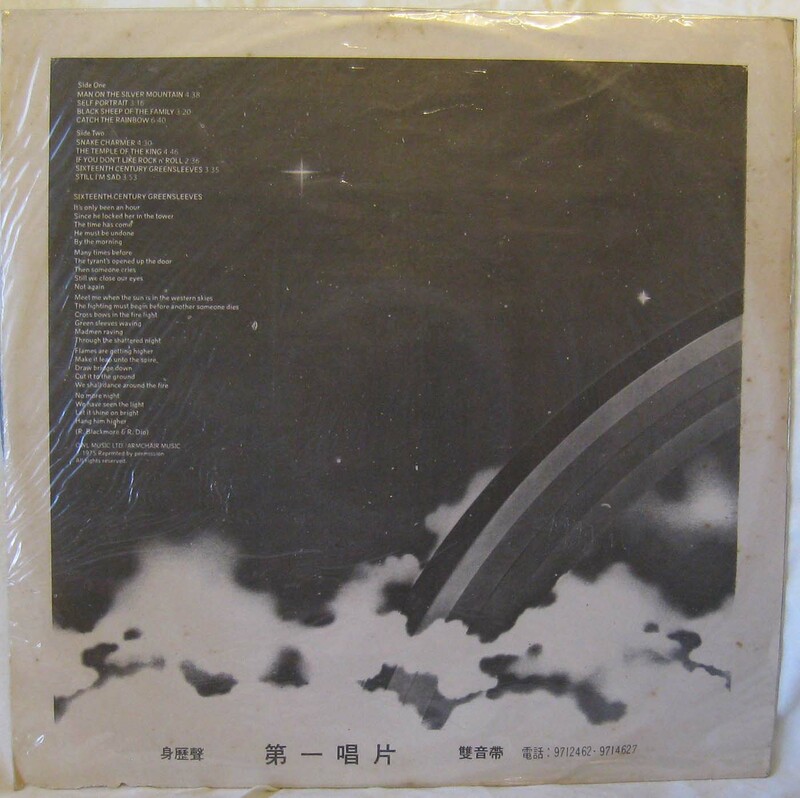 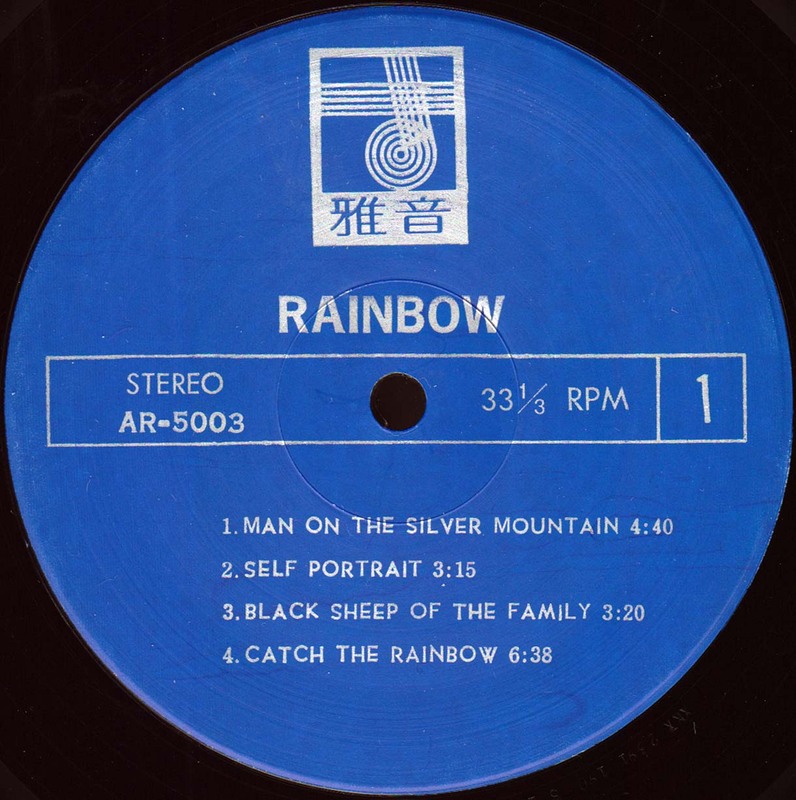 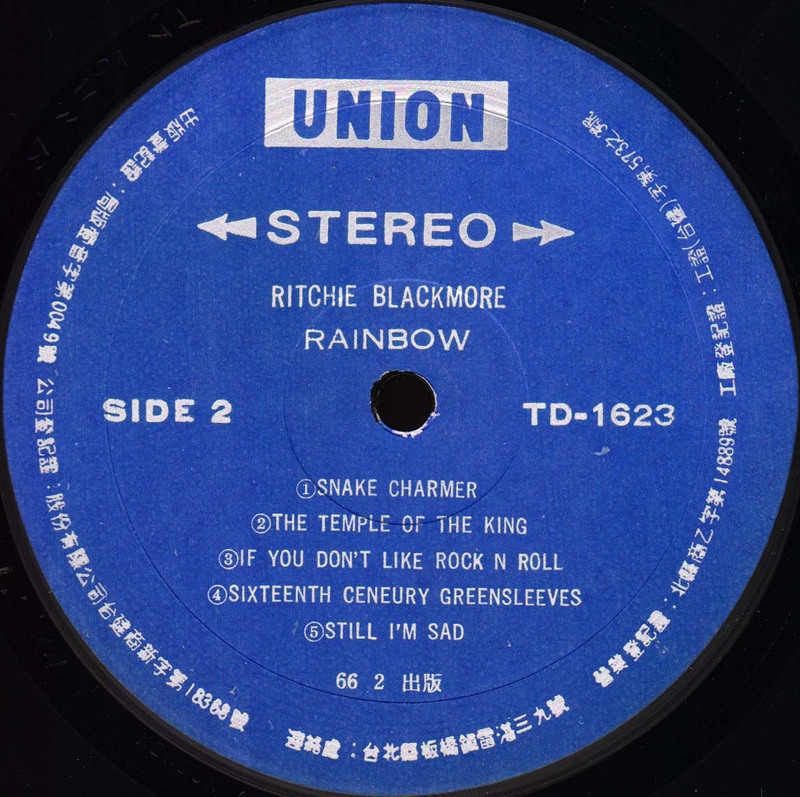 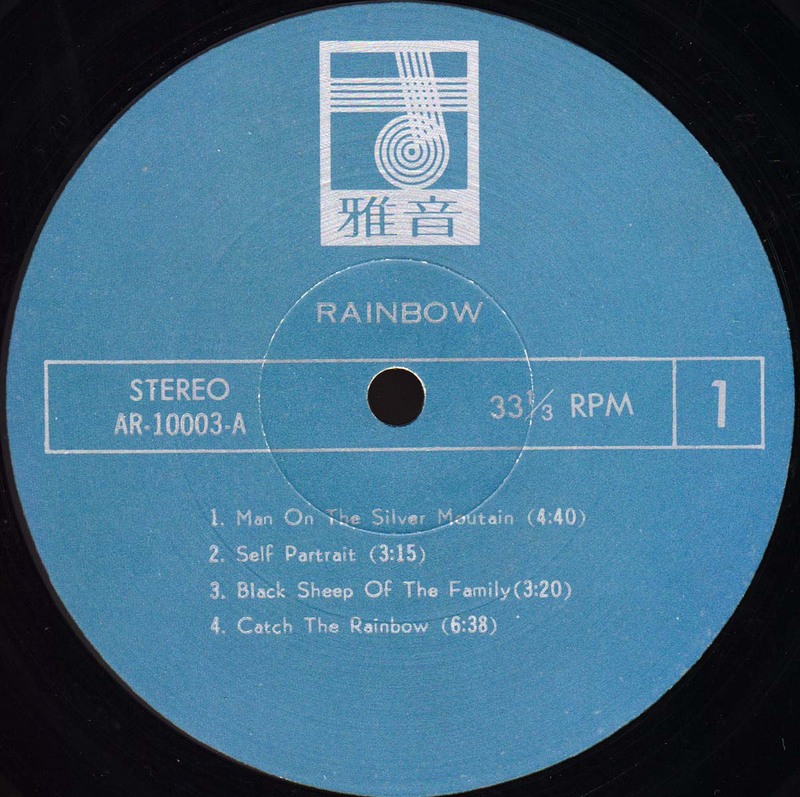 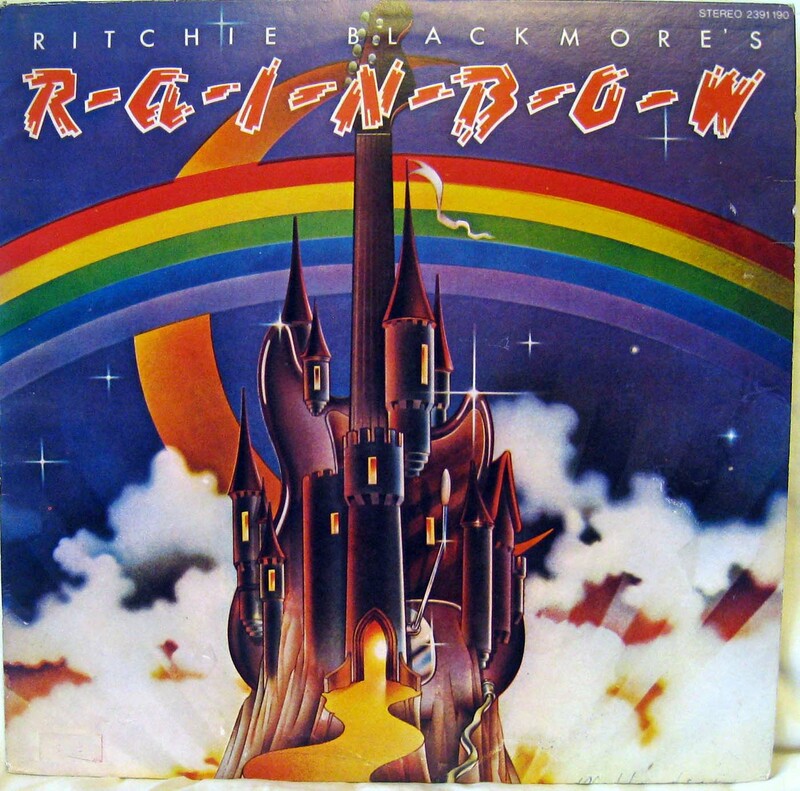 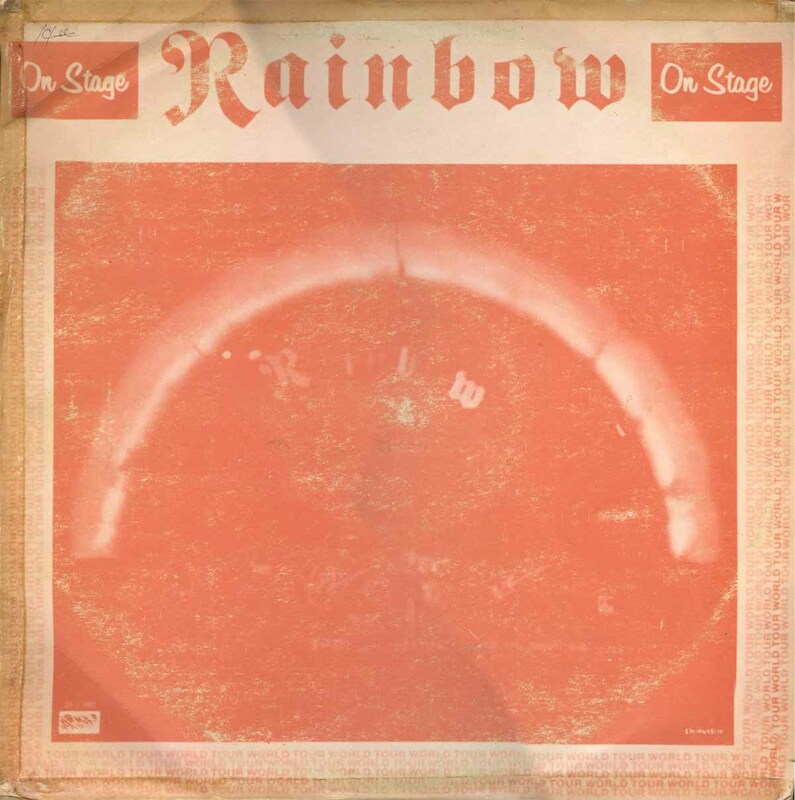 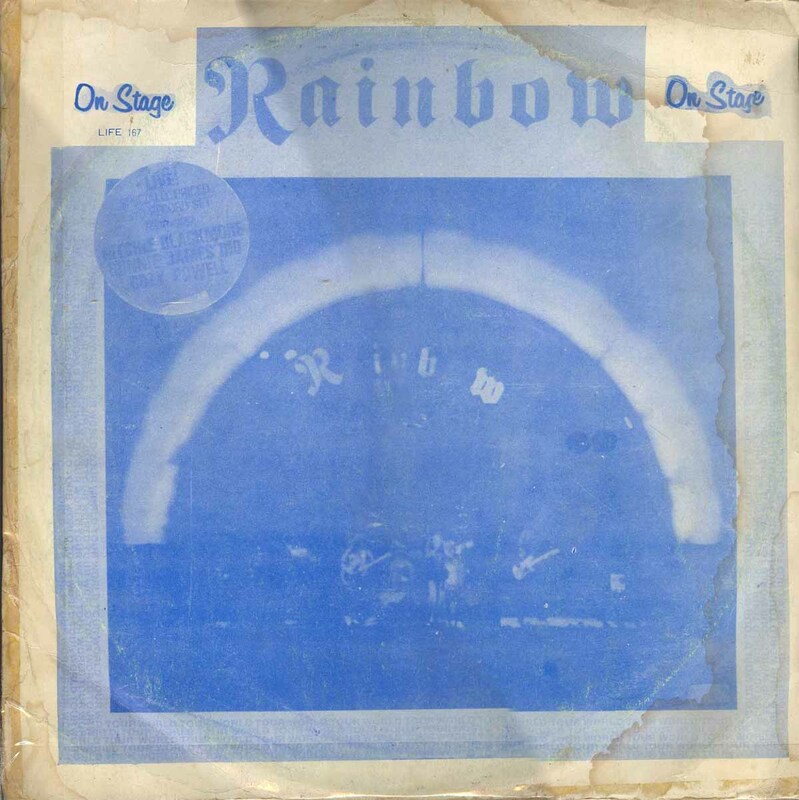 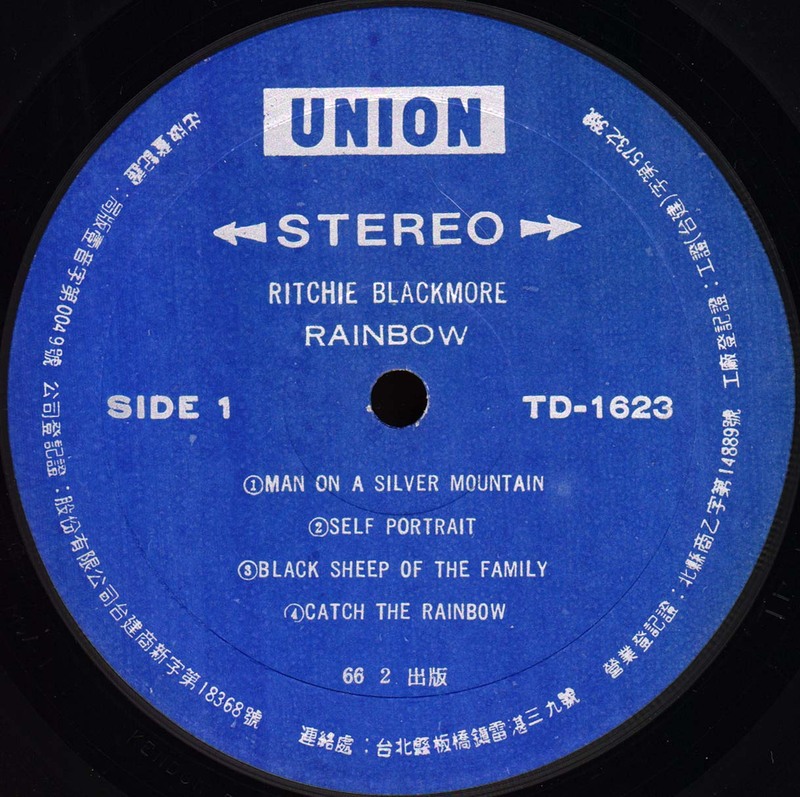 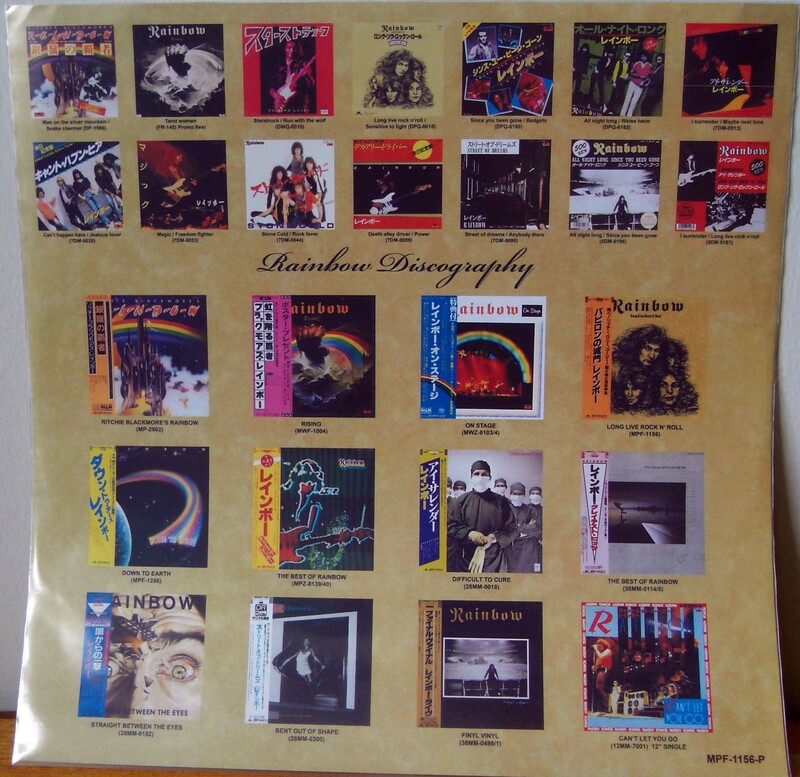 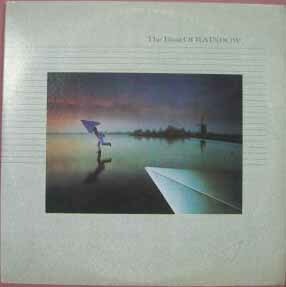 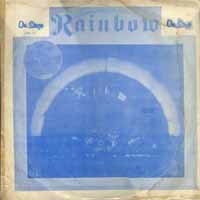 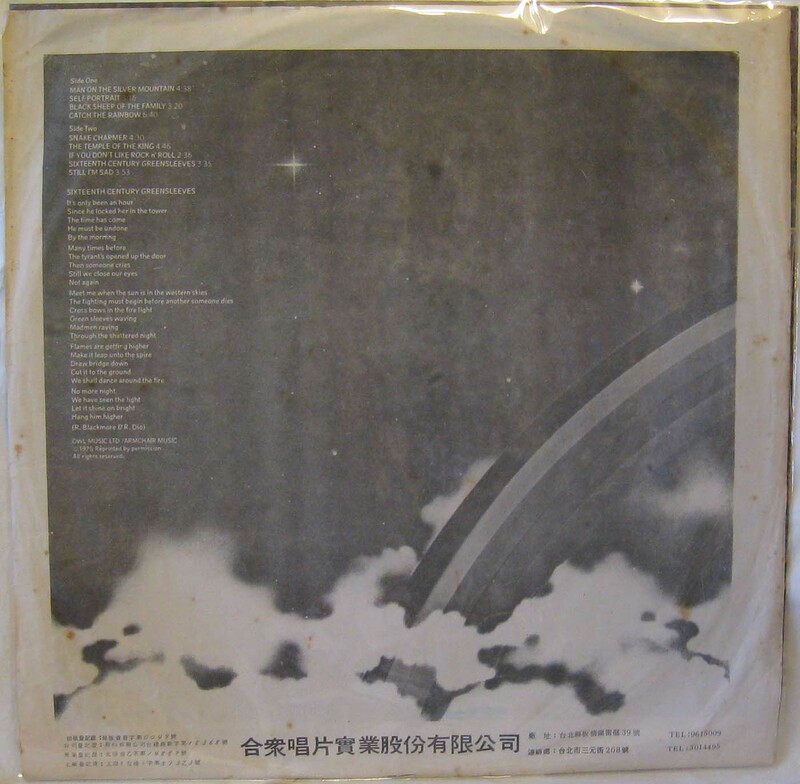 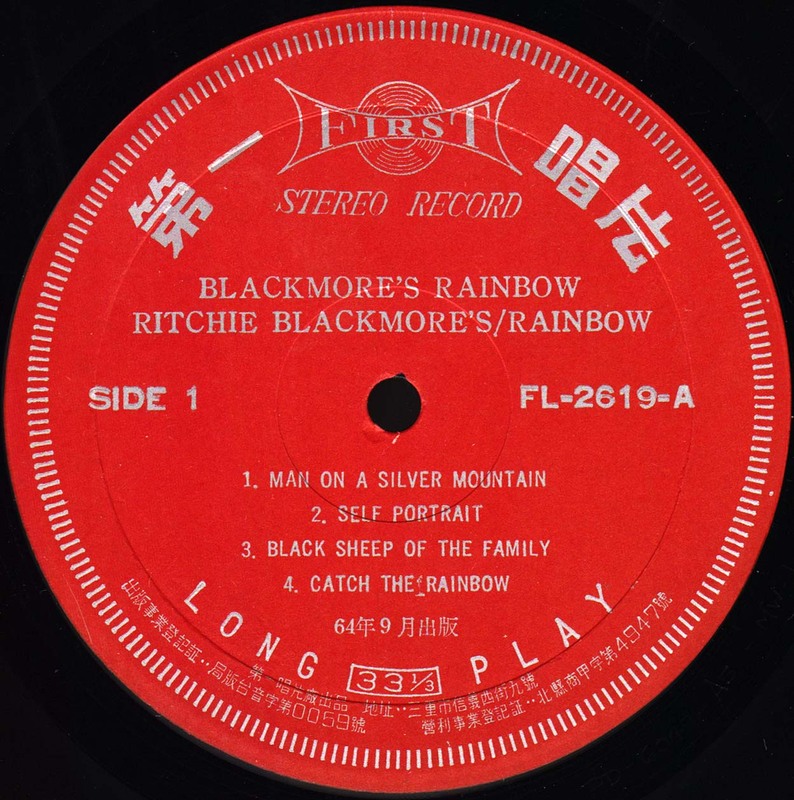 - Comes in a clear plastic sleeve with a LP sleeve sized insert, including pictures of other Japanese Rainbow albums and singles. 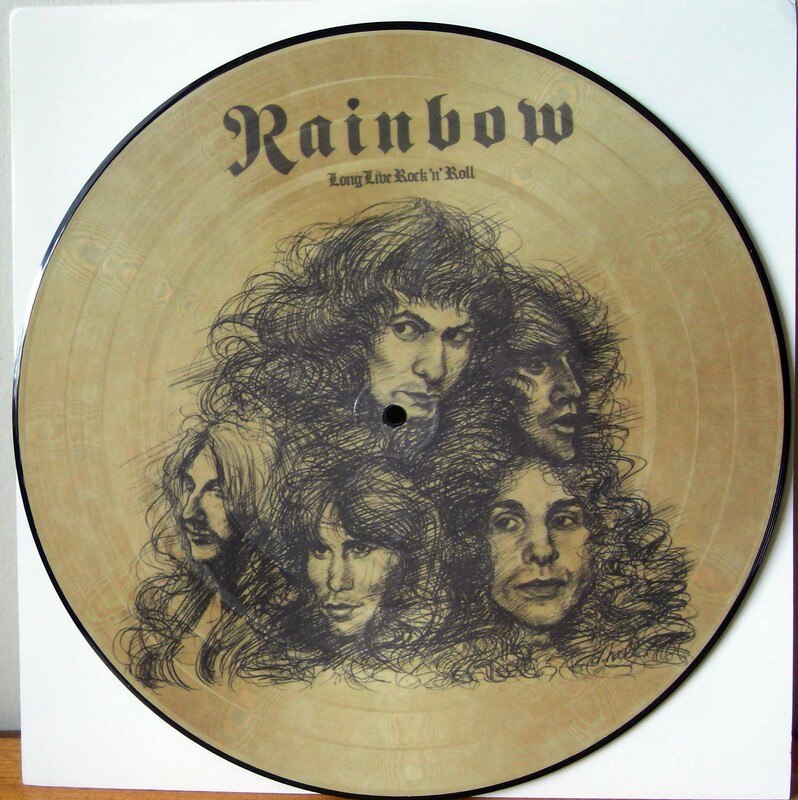 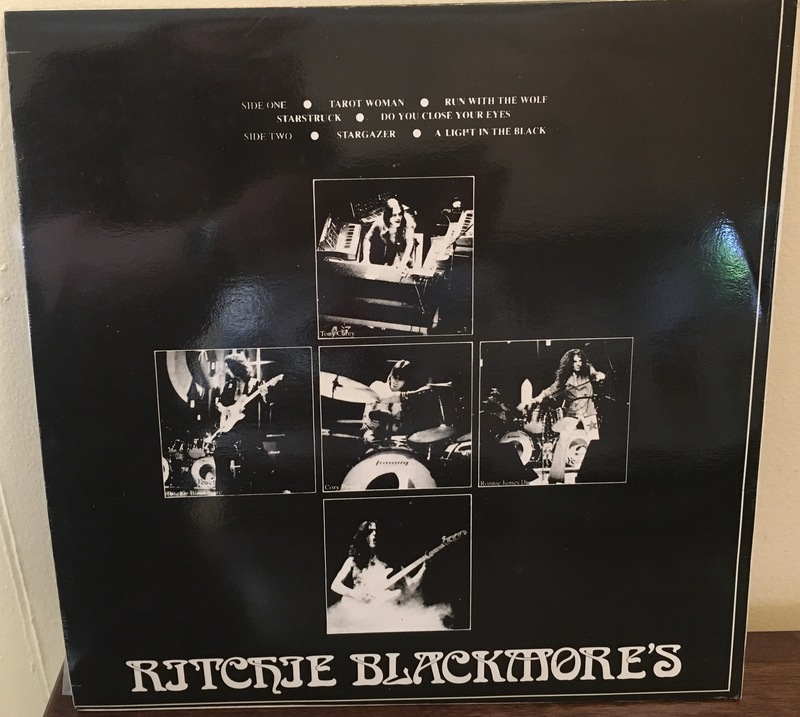 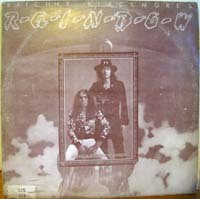 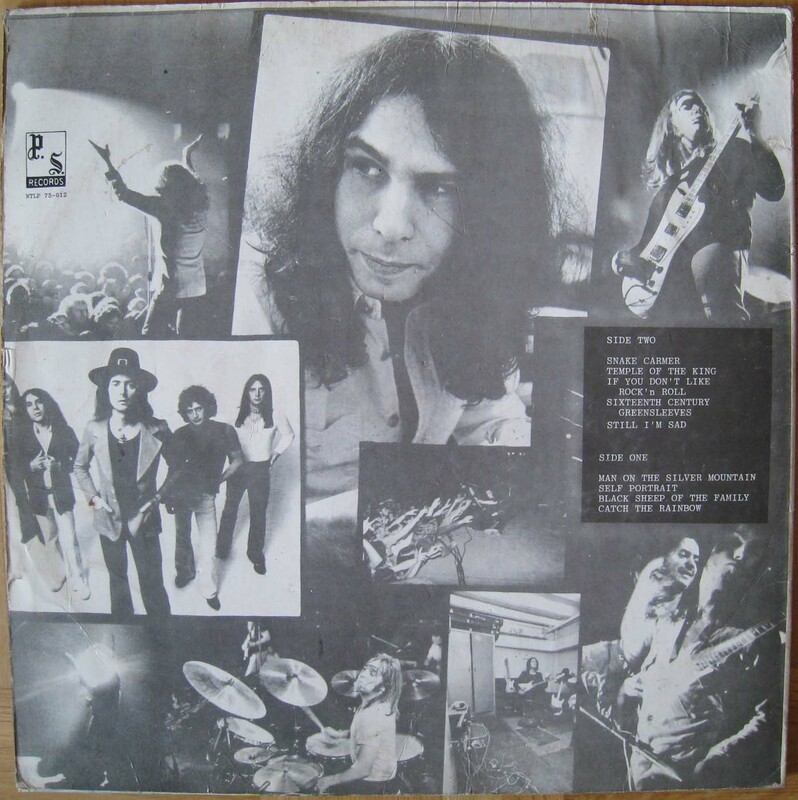 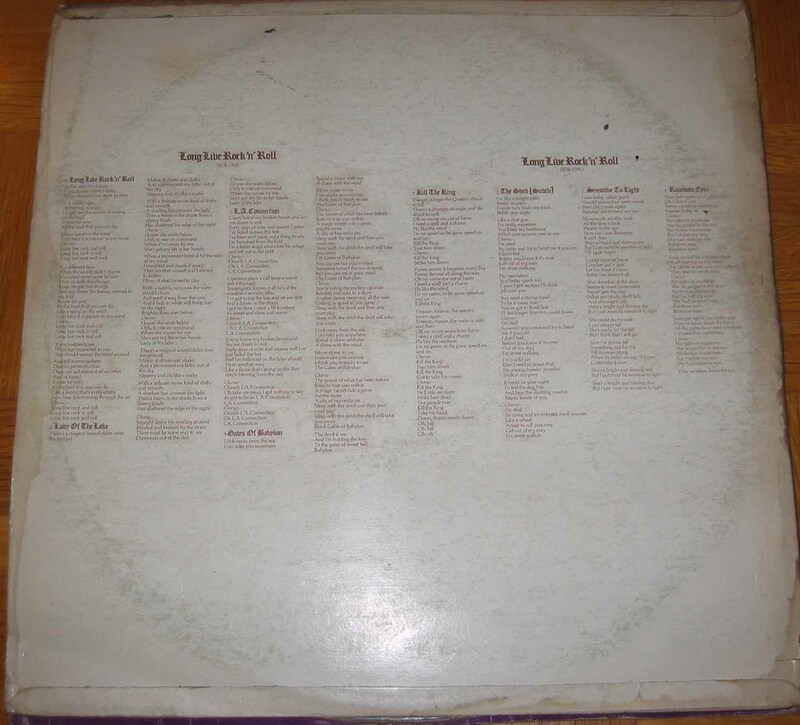 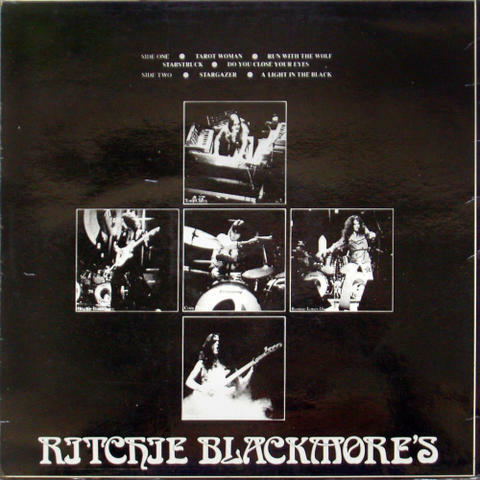 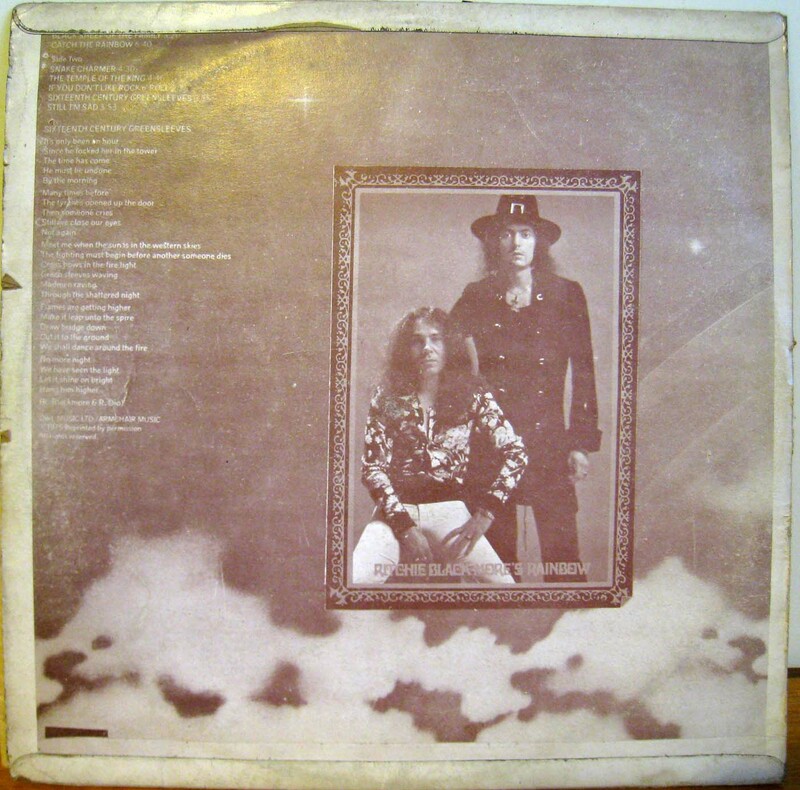 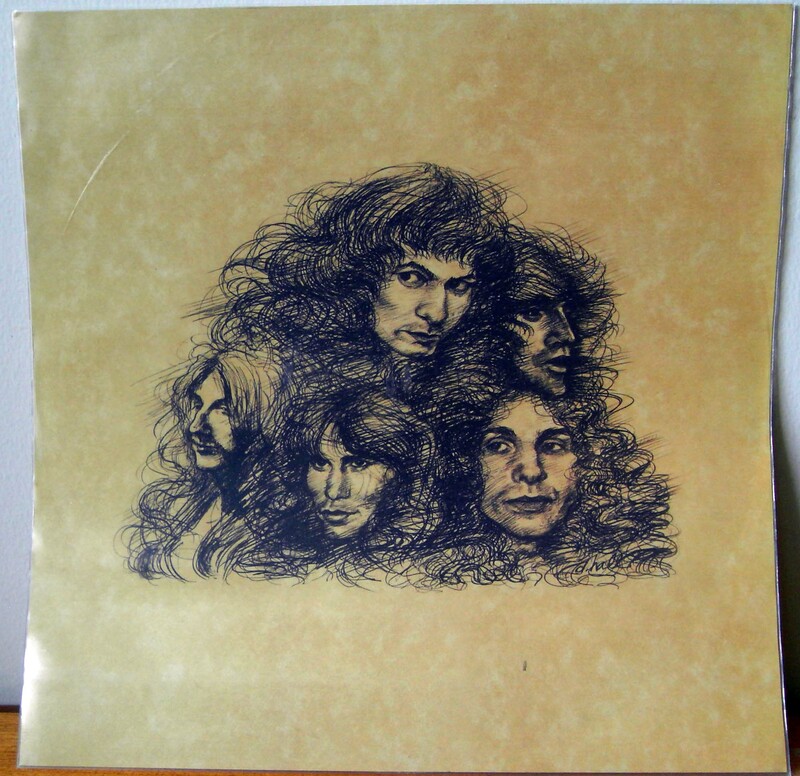 - Released at the same time with some other Deep Purple family picture disc counterfeits, showed up on Ebay first time in September 2011. 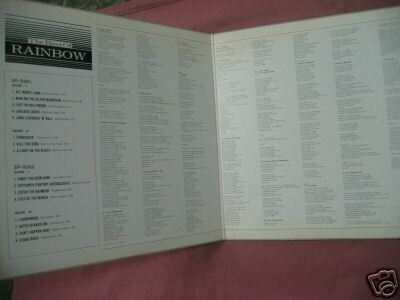 - Click here for first side of the insert picture. 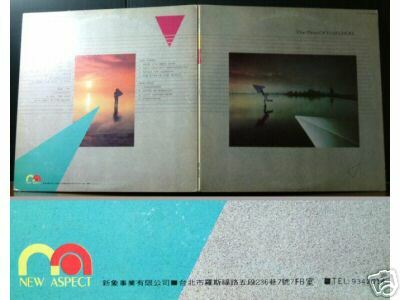 - Click here for second side of the insert picture. 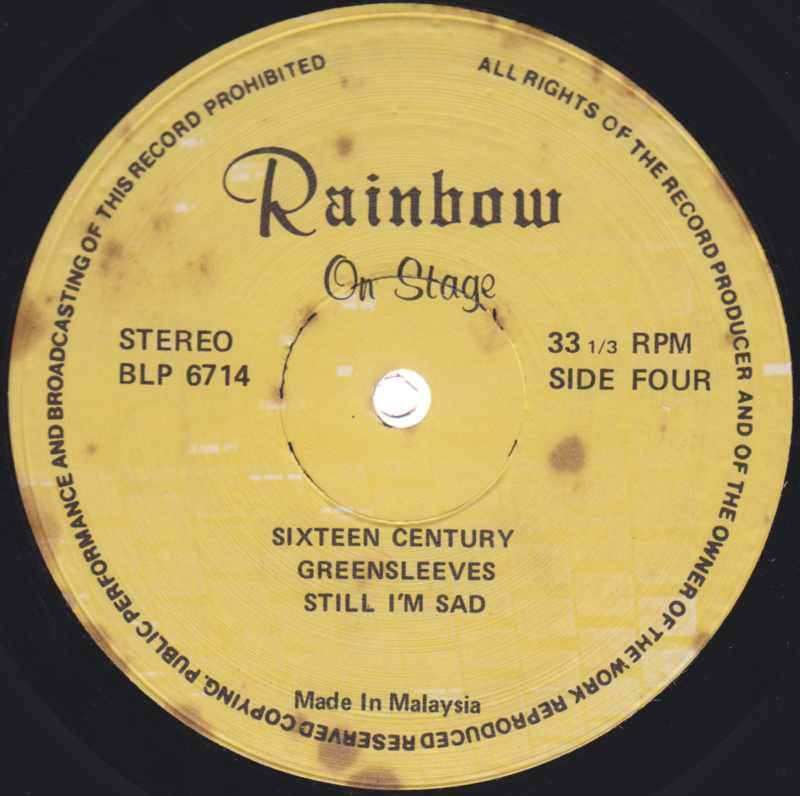 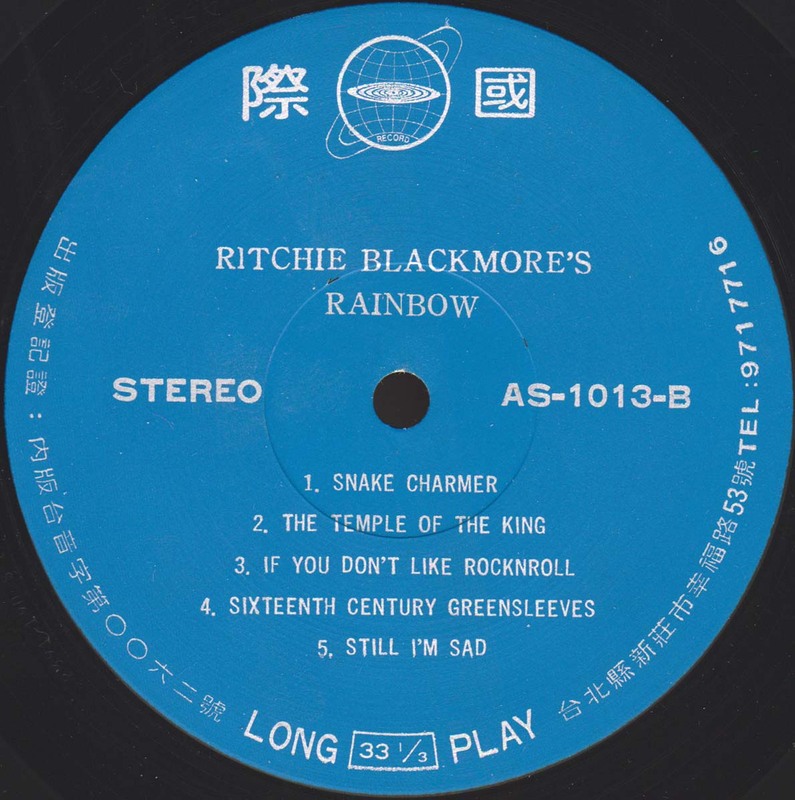 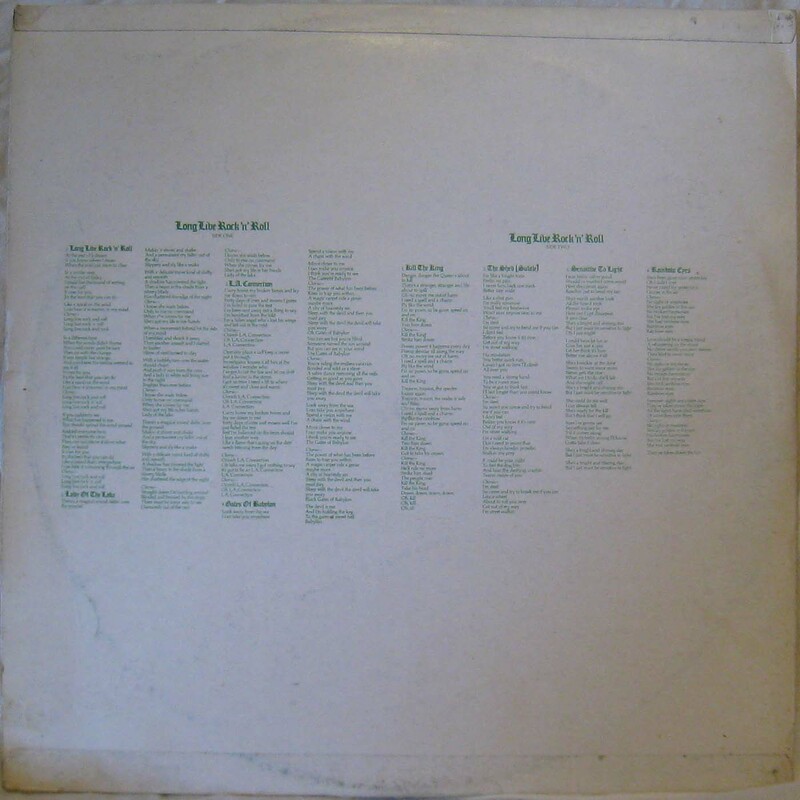 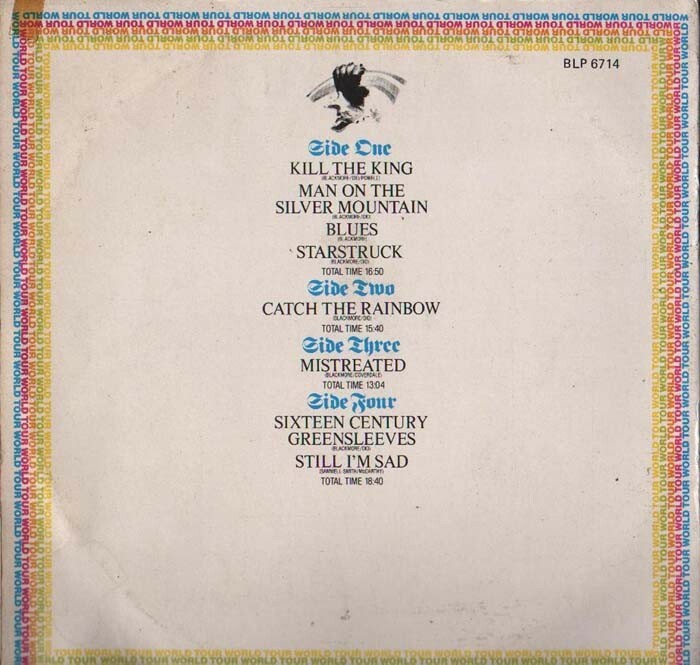 - Counterfeit release, green sleeves. 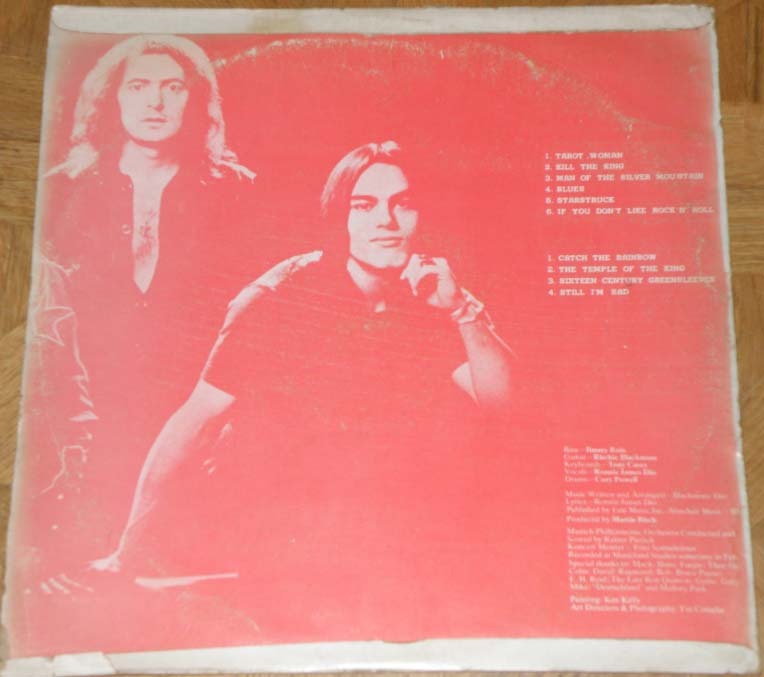 Click here for back sleeve picture. 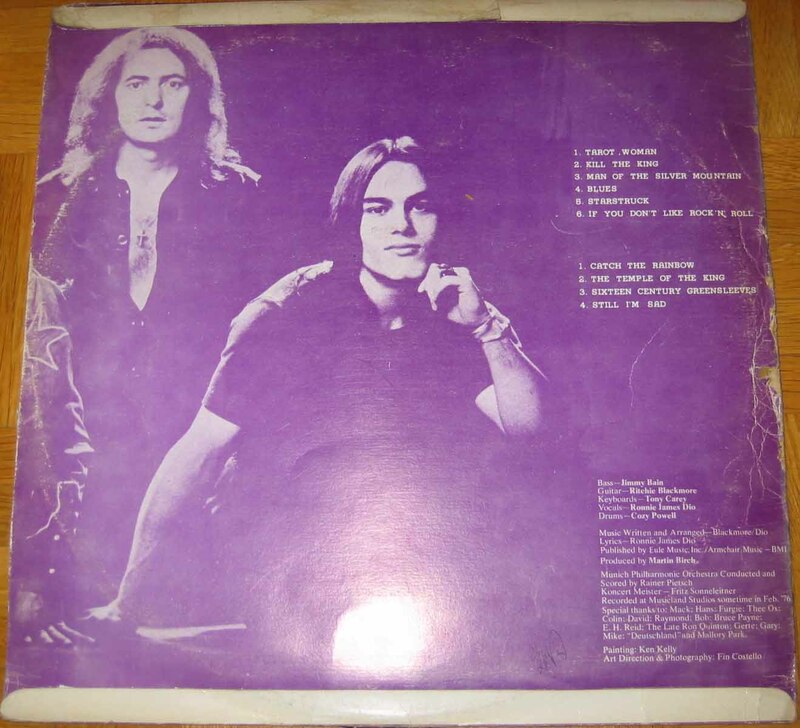 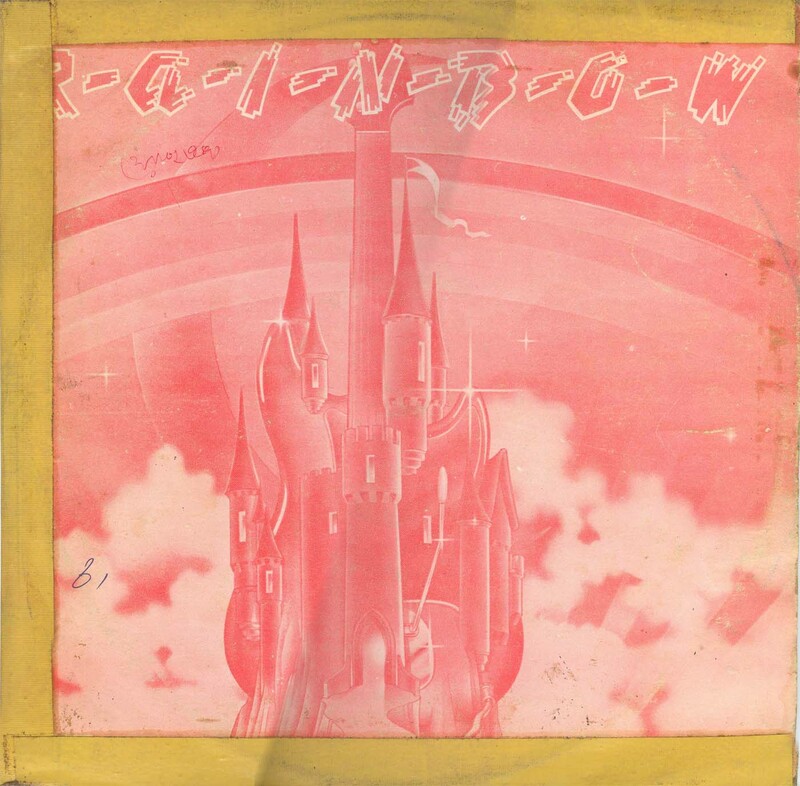 - Counterfeit release, purple sleeves. 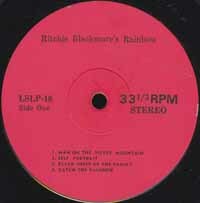 Click here for back sleeve picture. 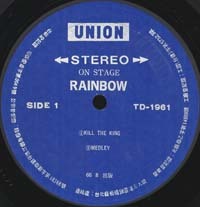 Click here for label picture. 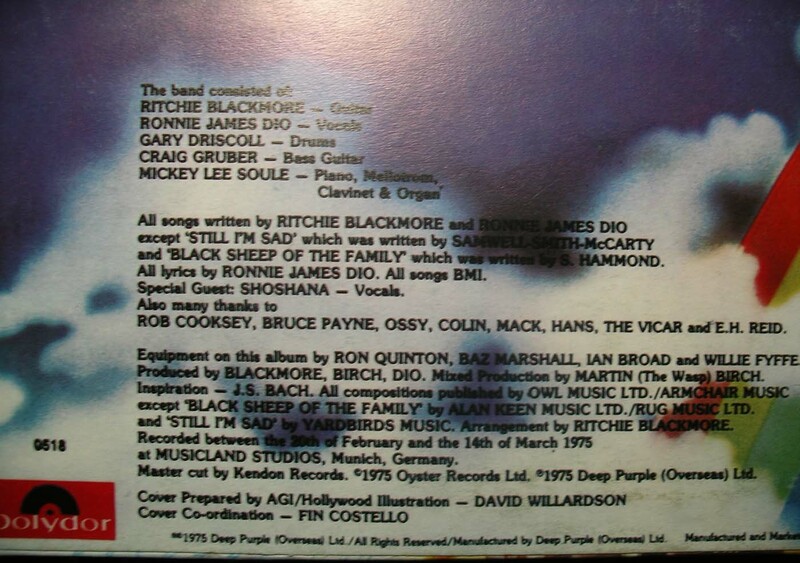 - Counterfeit release, purple sleeves. - Counterfeit release, red sleeves. 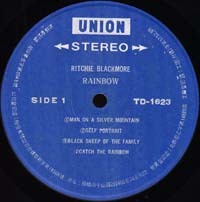 Click here for label picture. 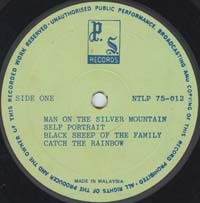 Click here for back sleeve picture. 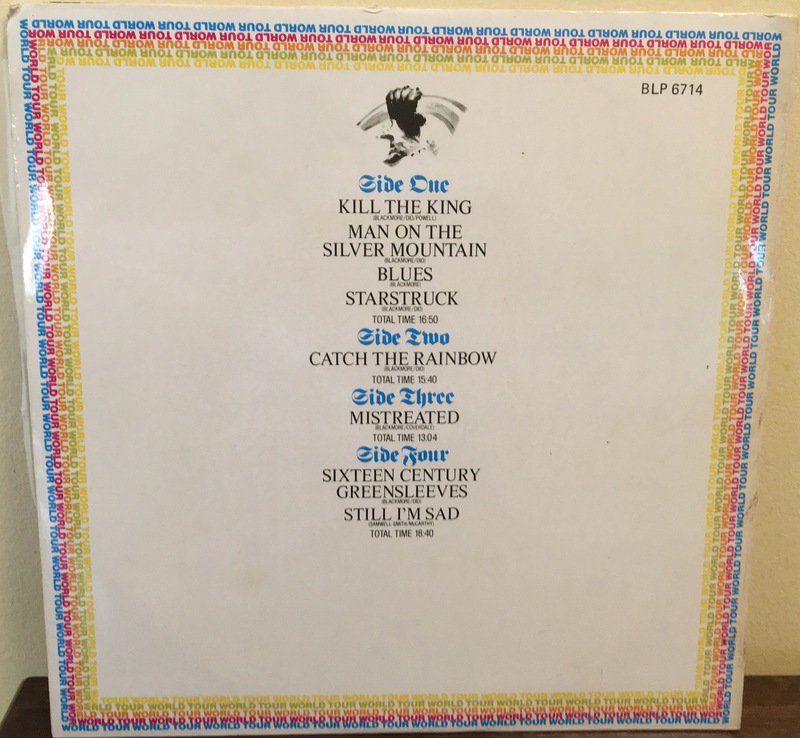 The page has been updated on 2017-07-18.